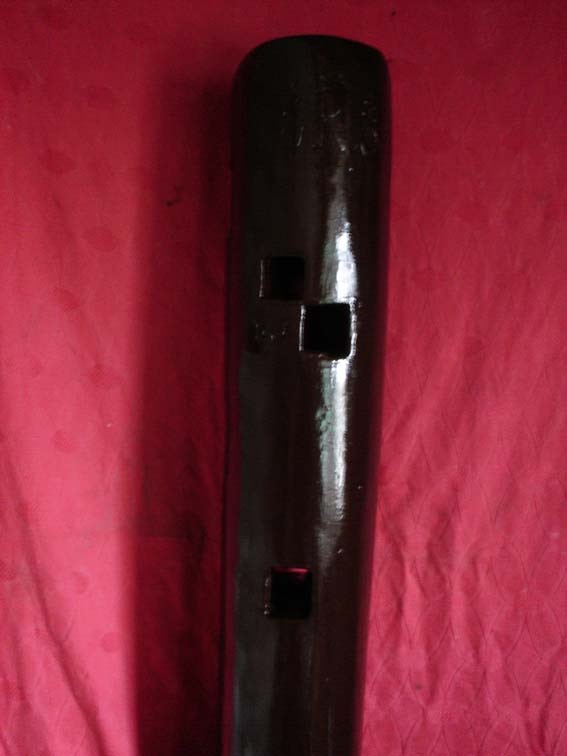 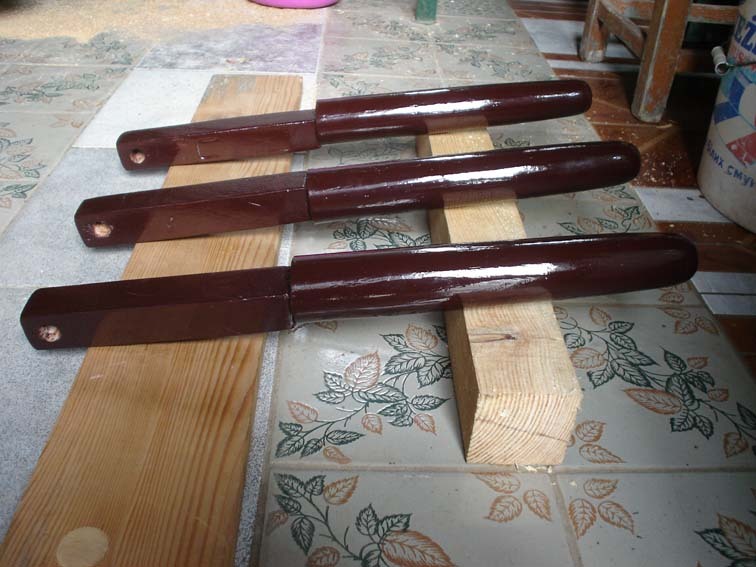 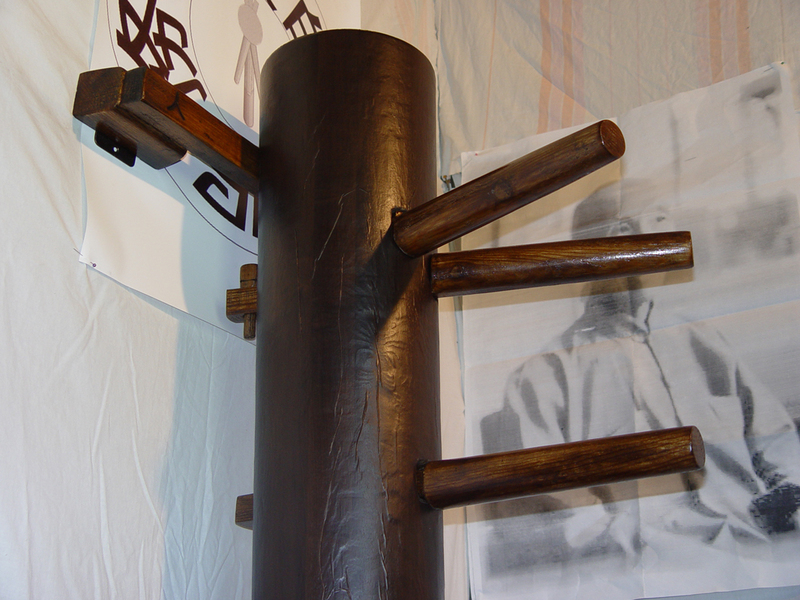 The first wooden dummy models have been developed. 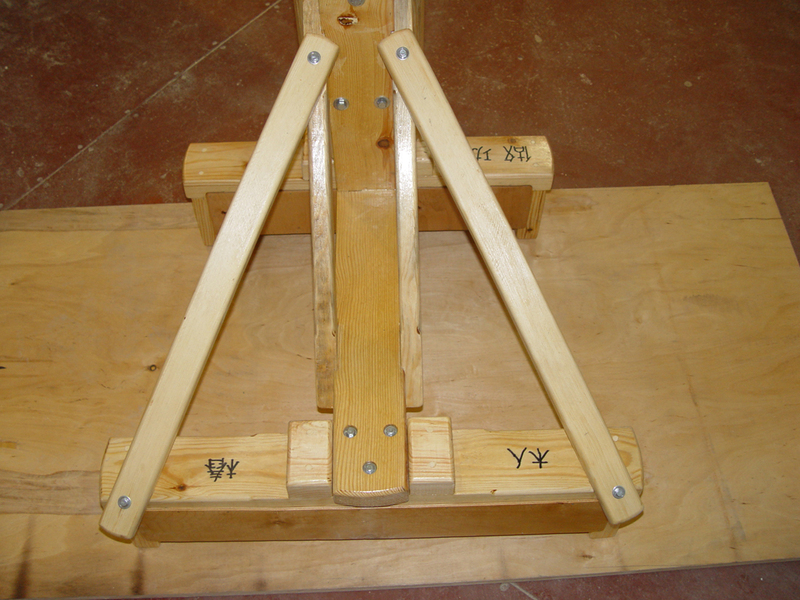 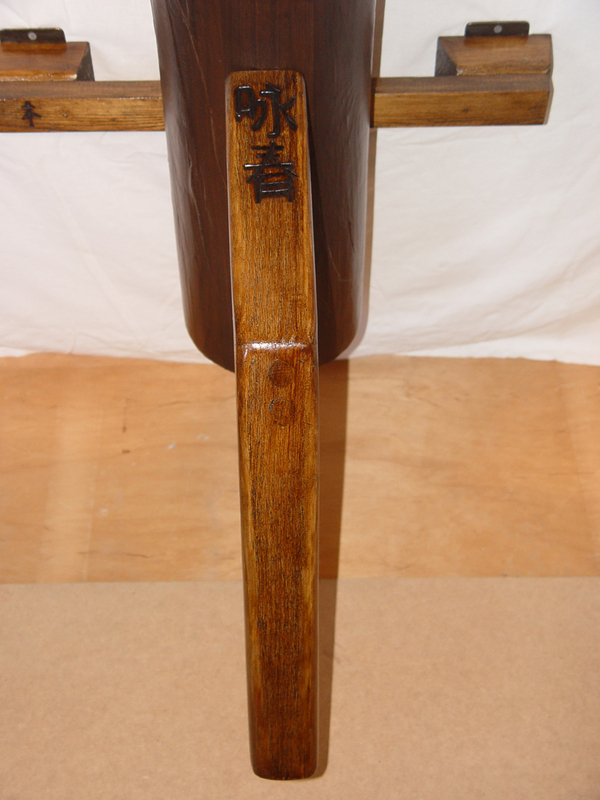 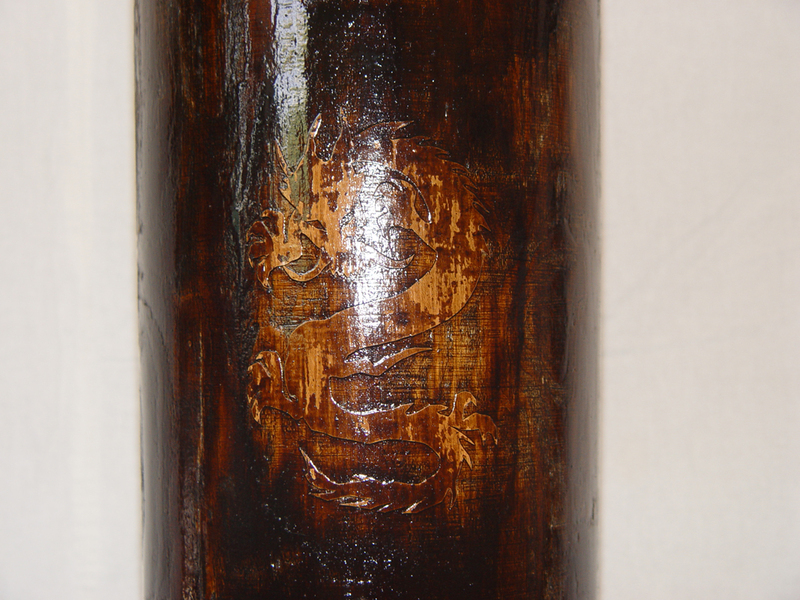 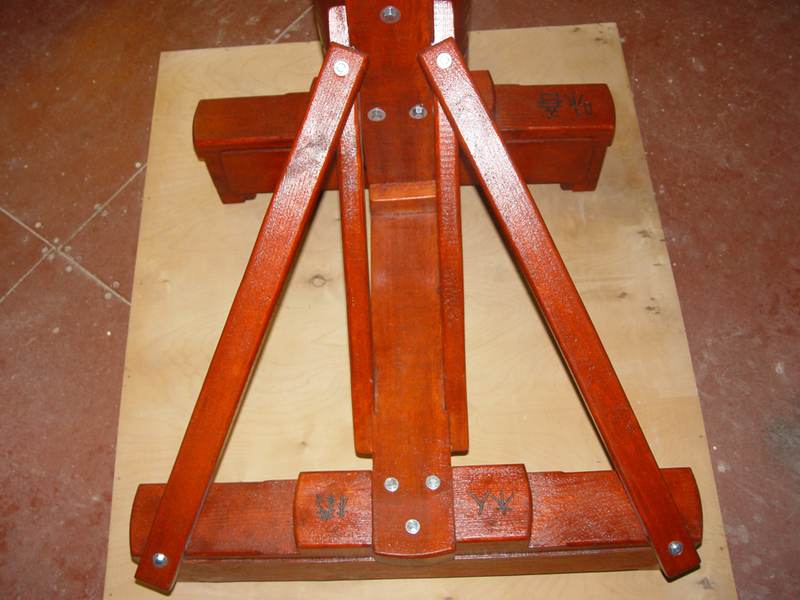 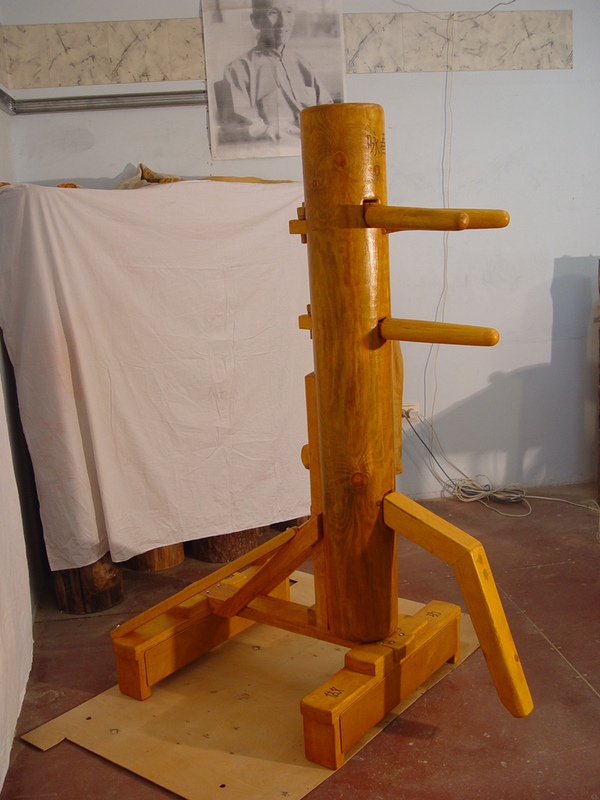 The trial version was made of poplar wood. 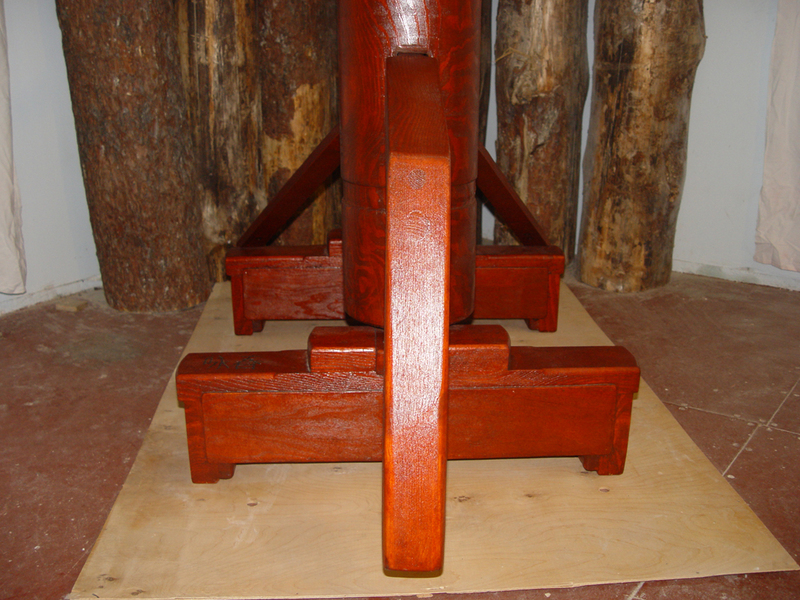 In the manufacture of one unit, took 2 months. 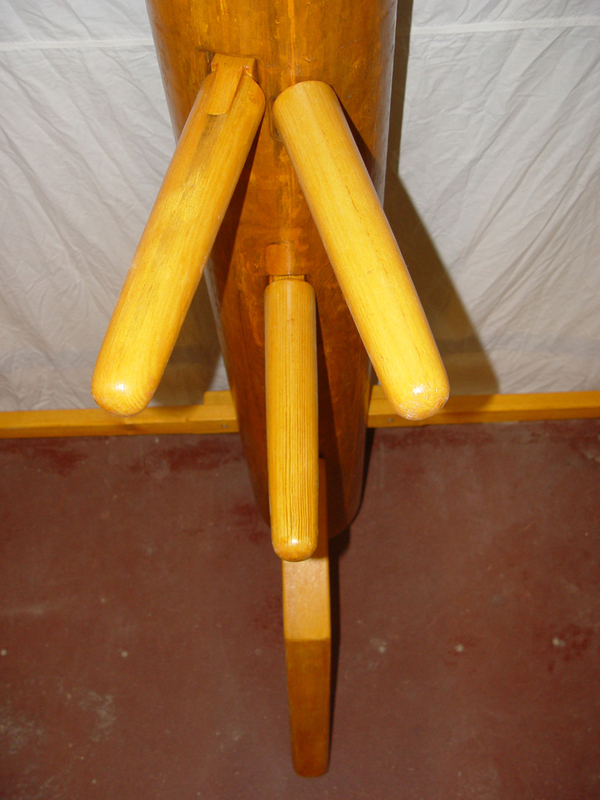 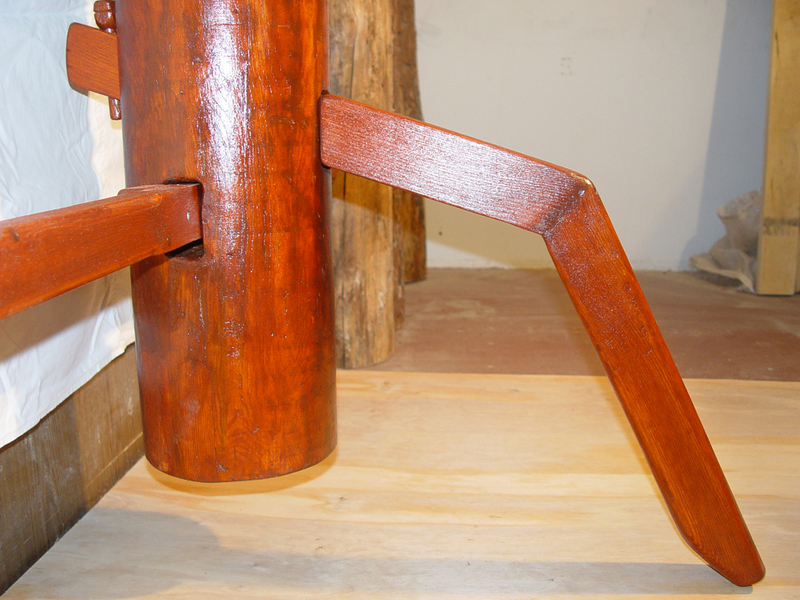 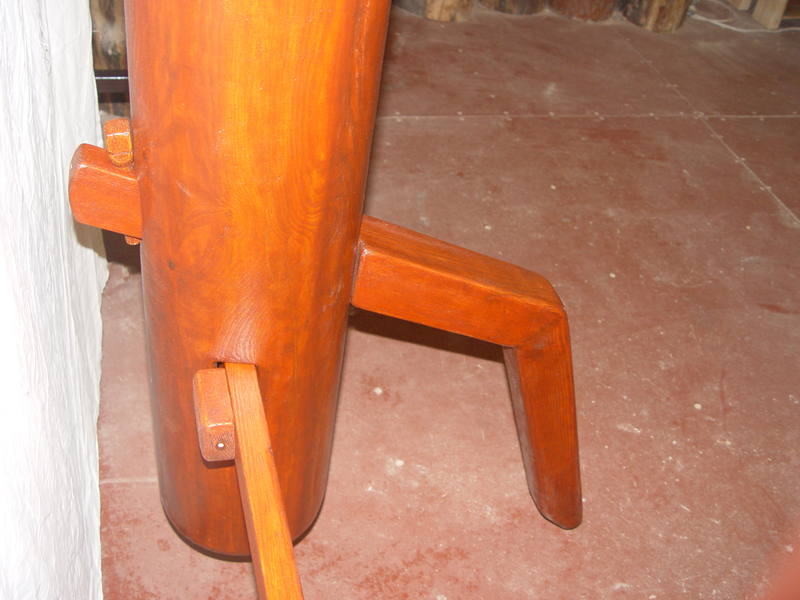 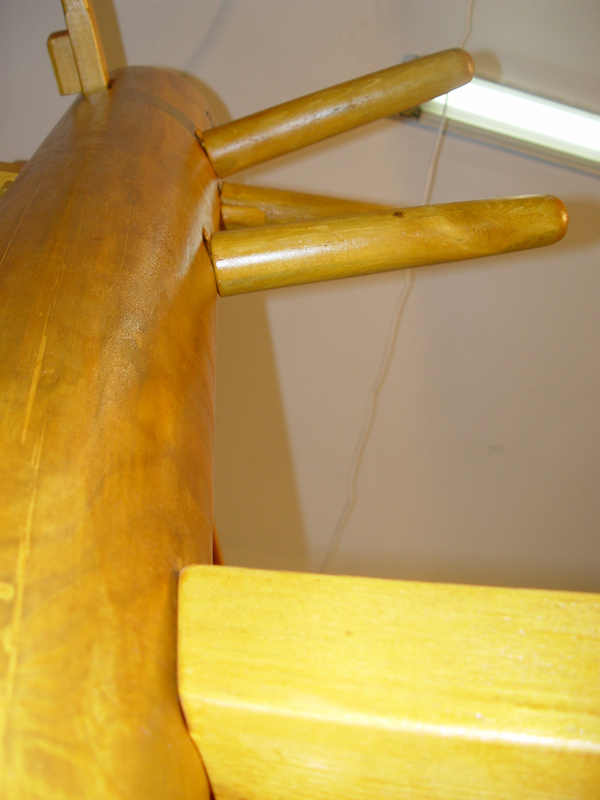 The work was conducted with solid wood - a time-consuming process of production. 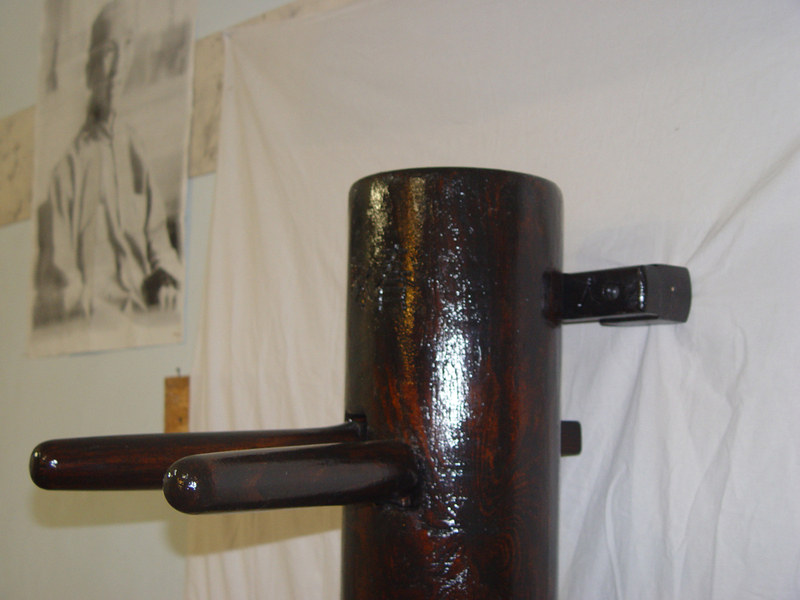 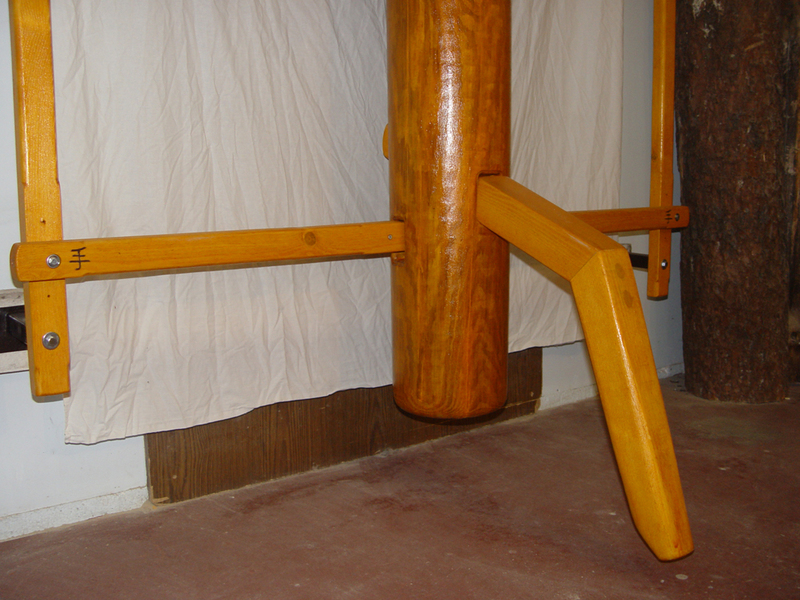 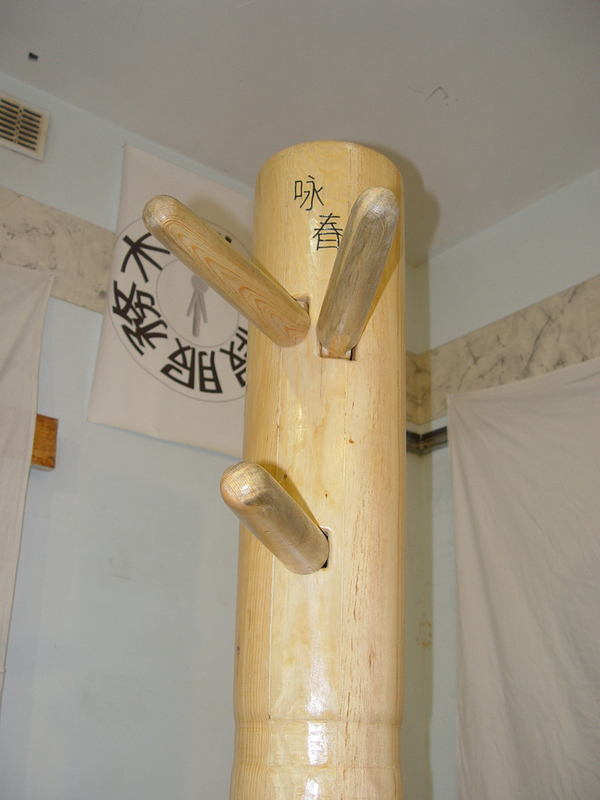 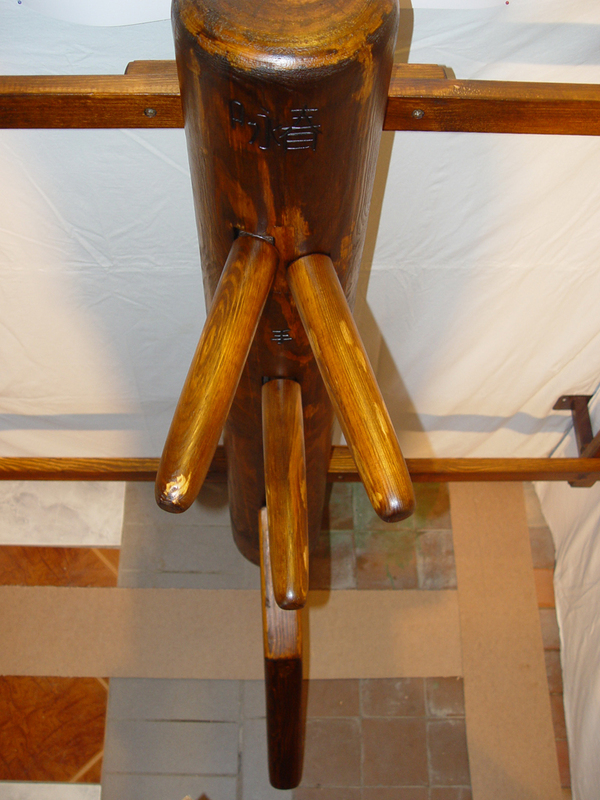 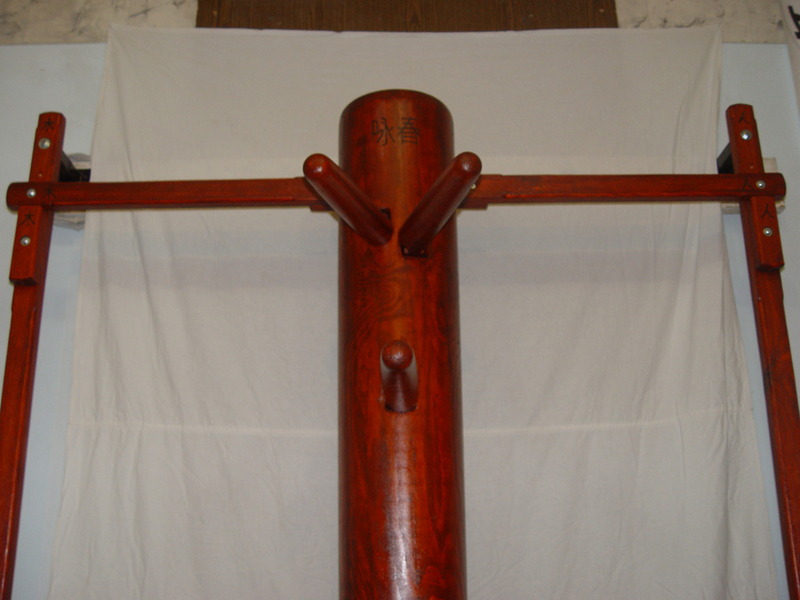 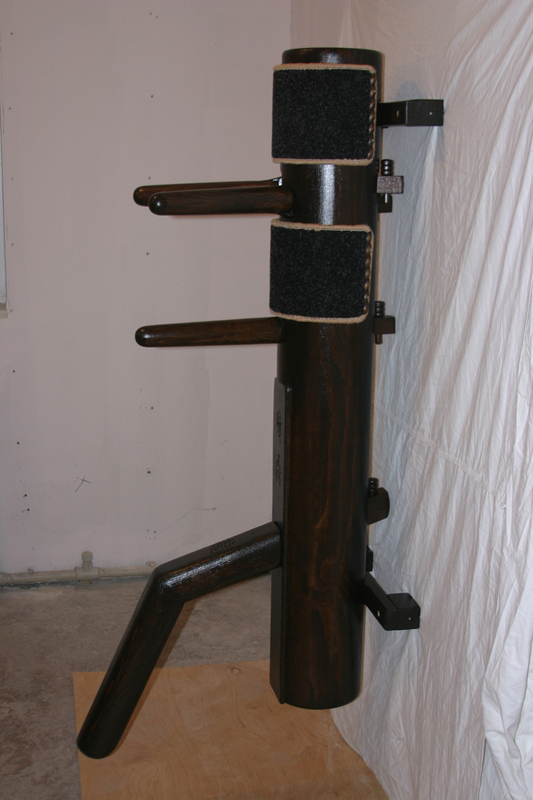 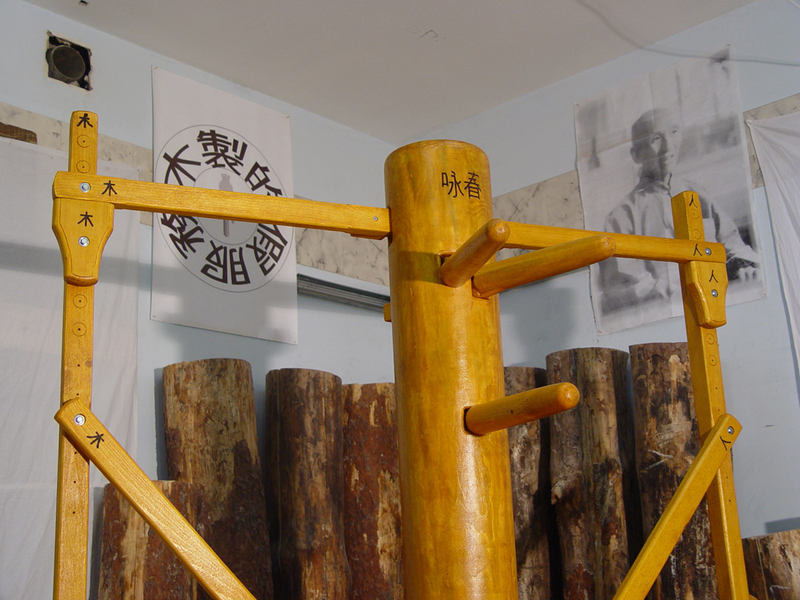 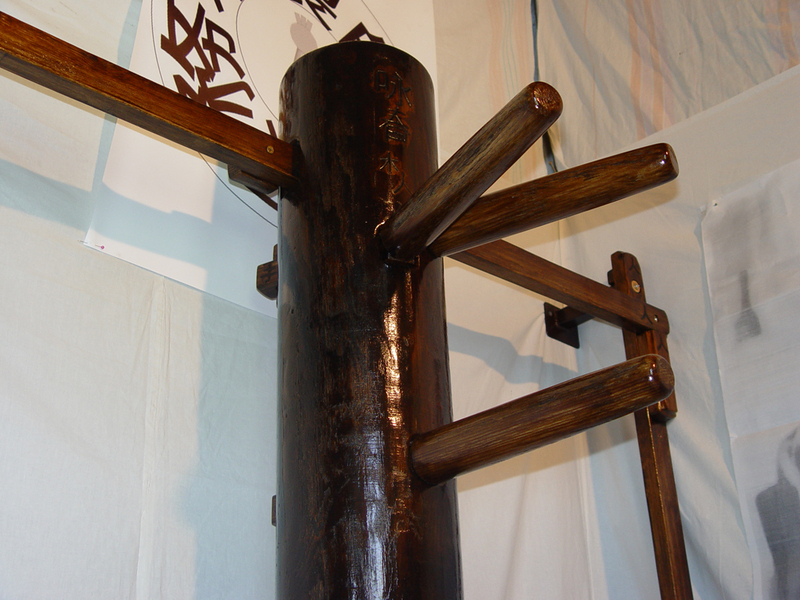 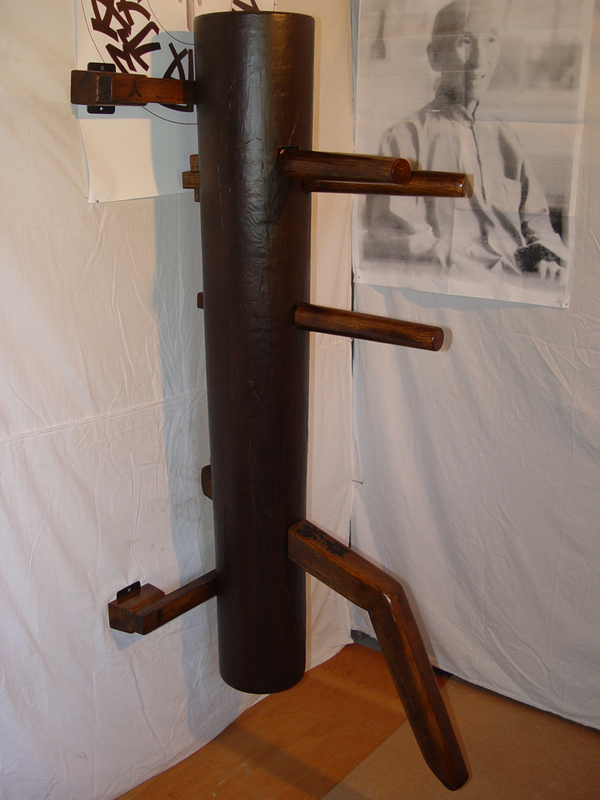 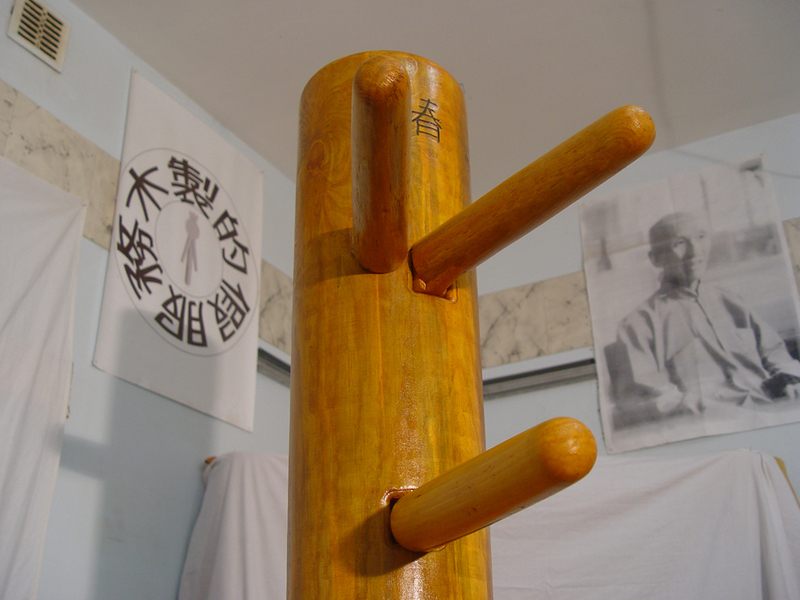 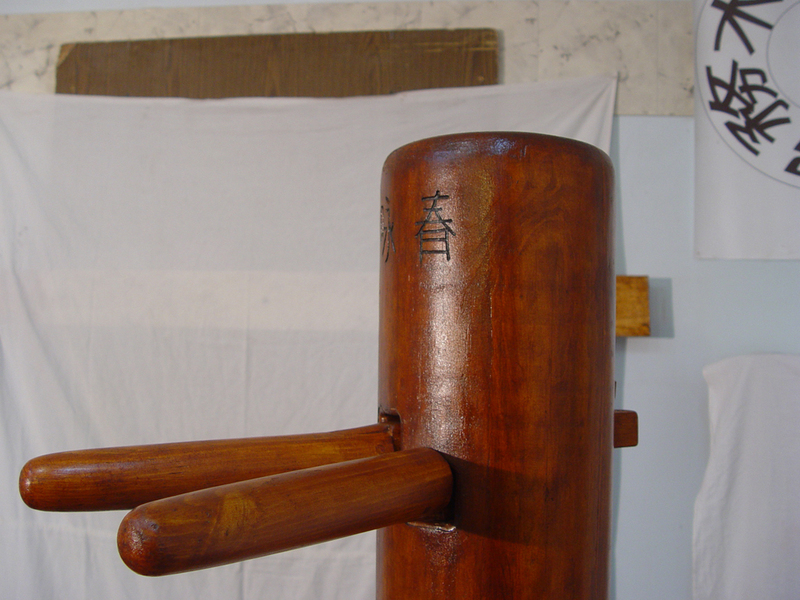 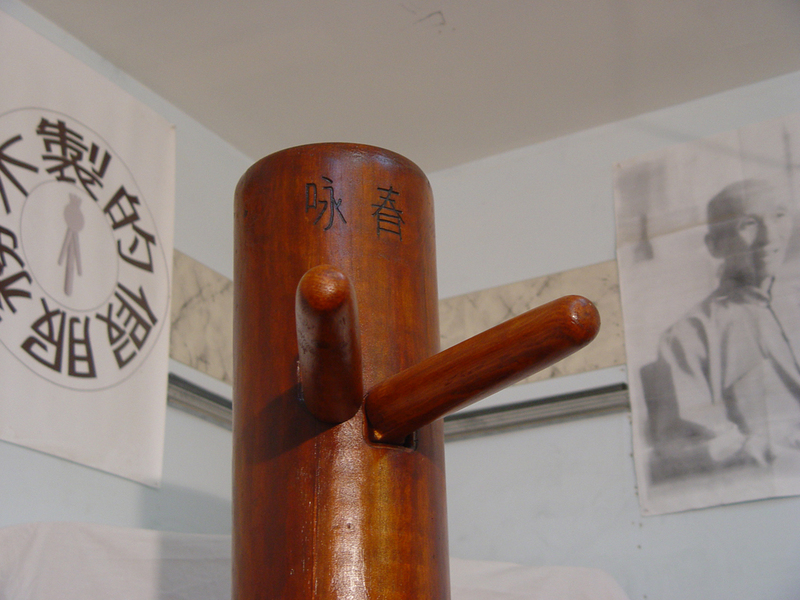 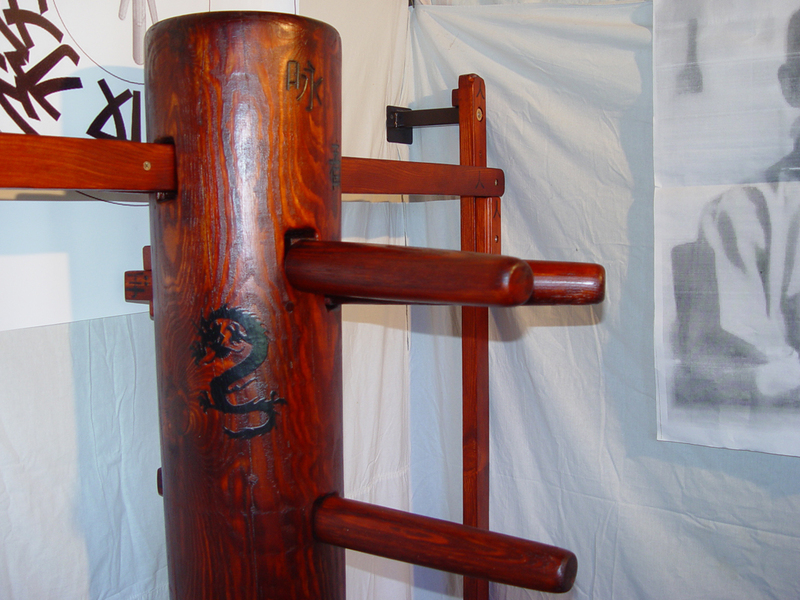 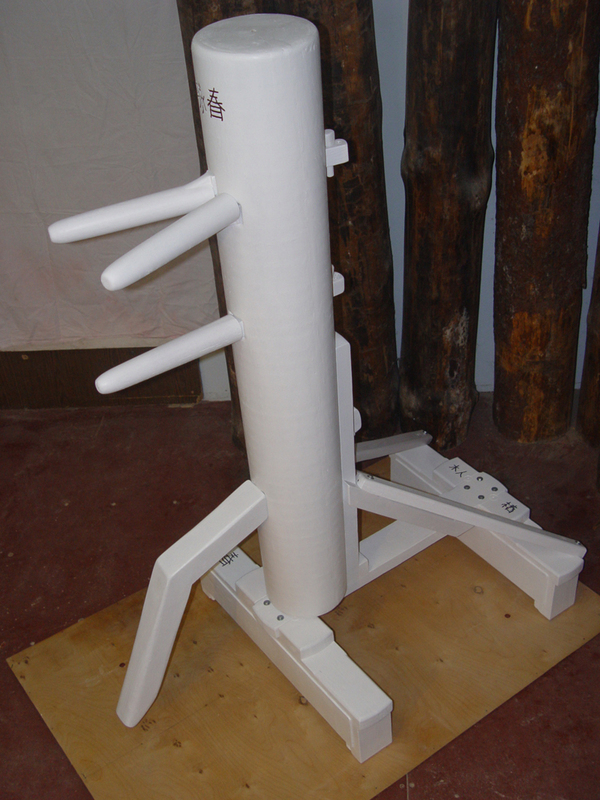 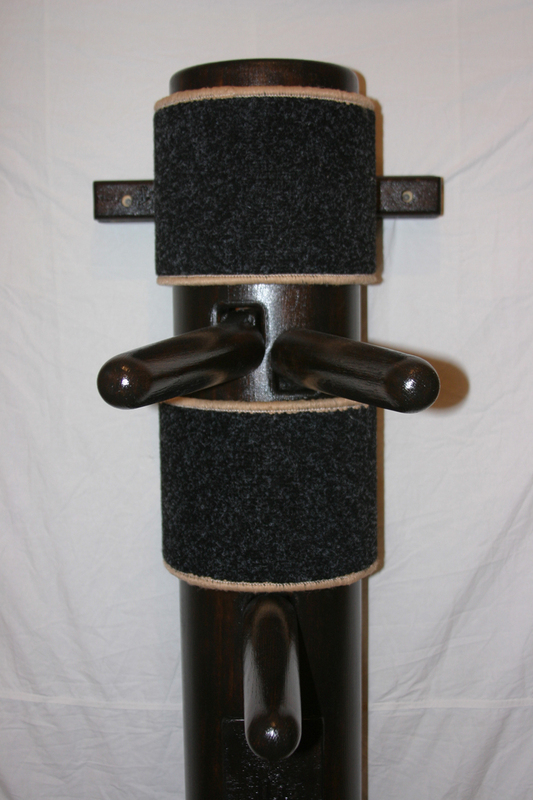 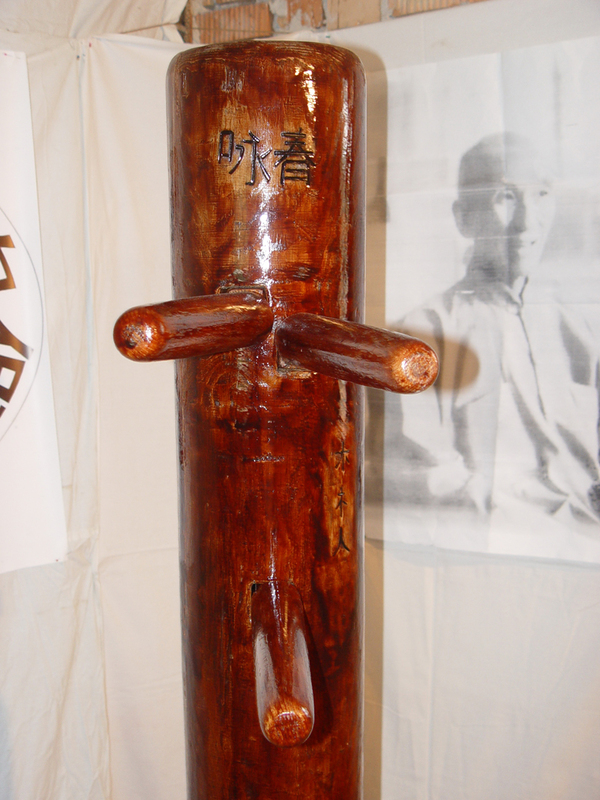 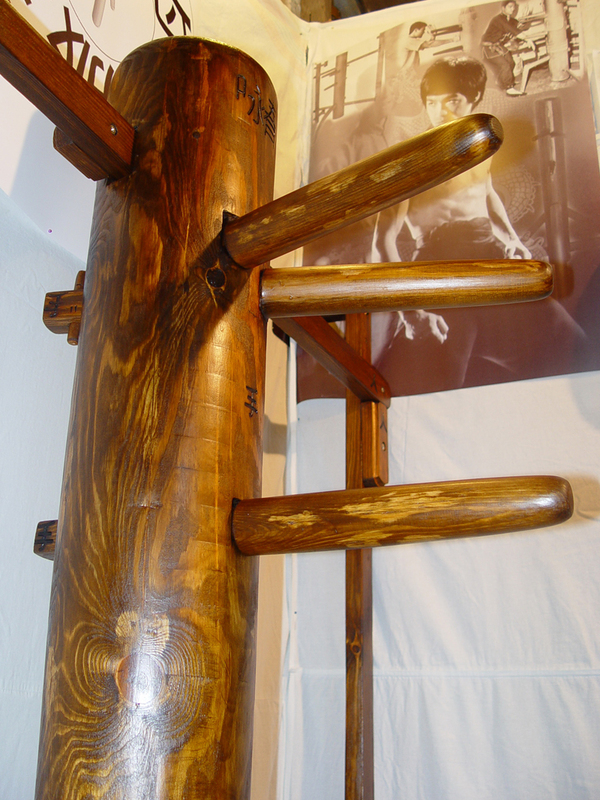 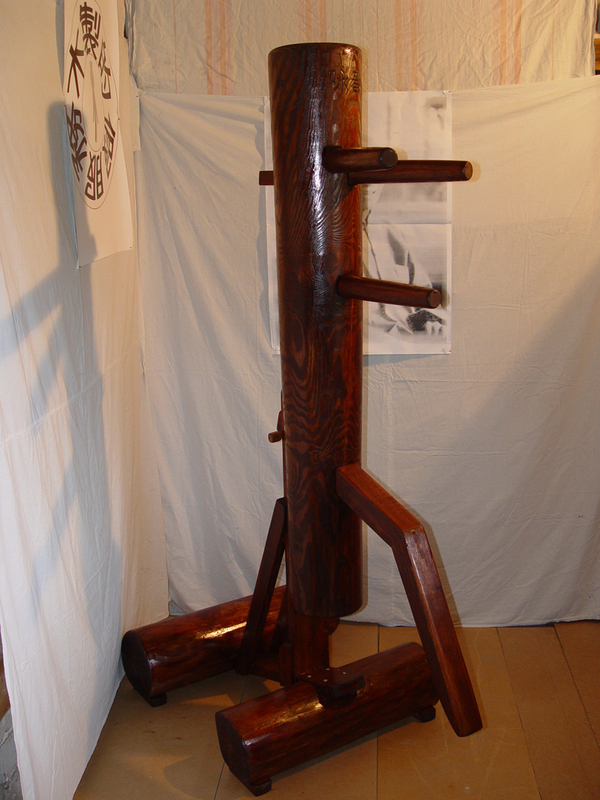 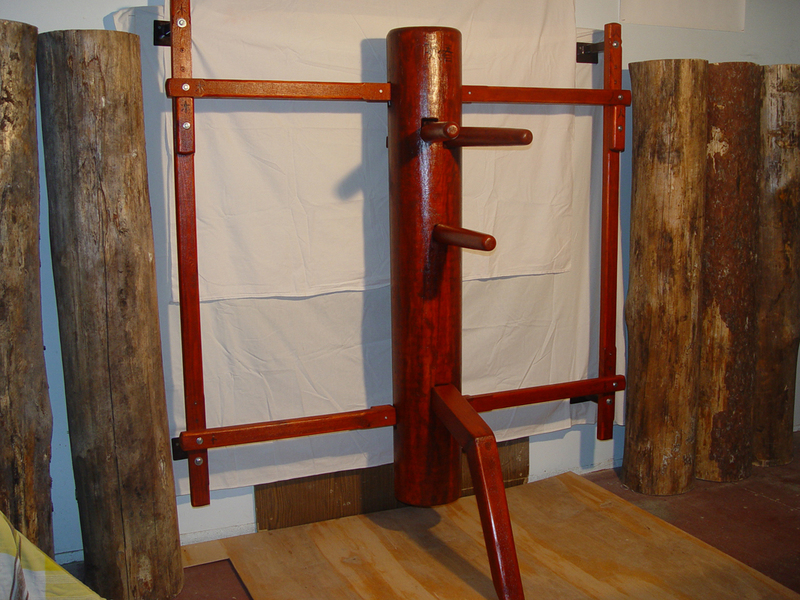 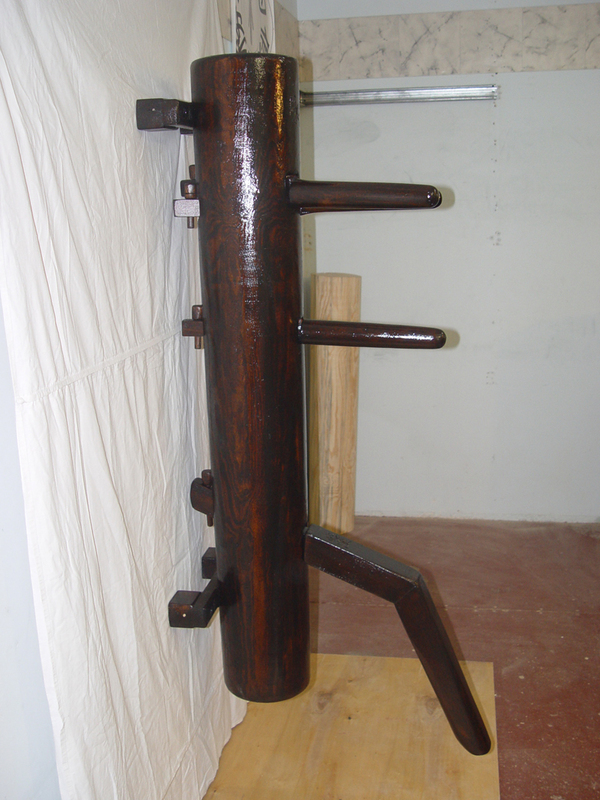 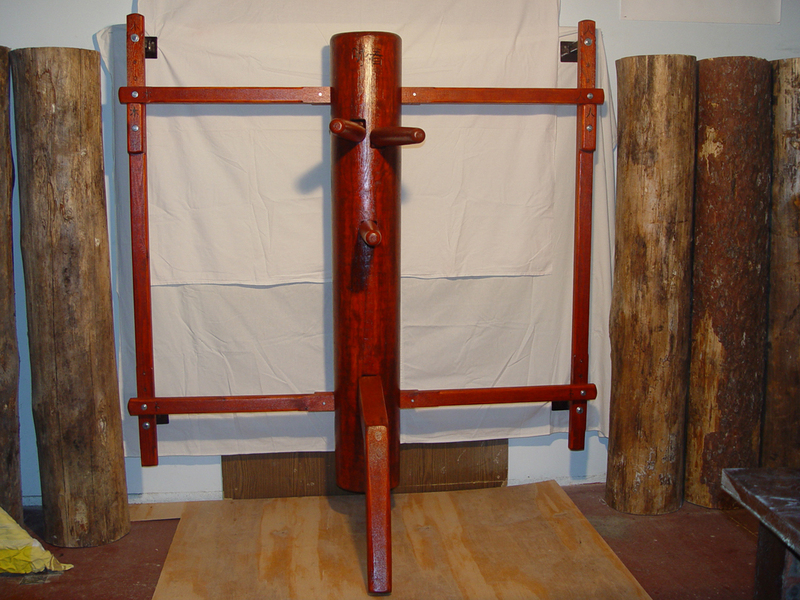 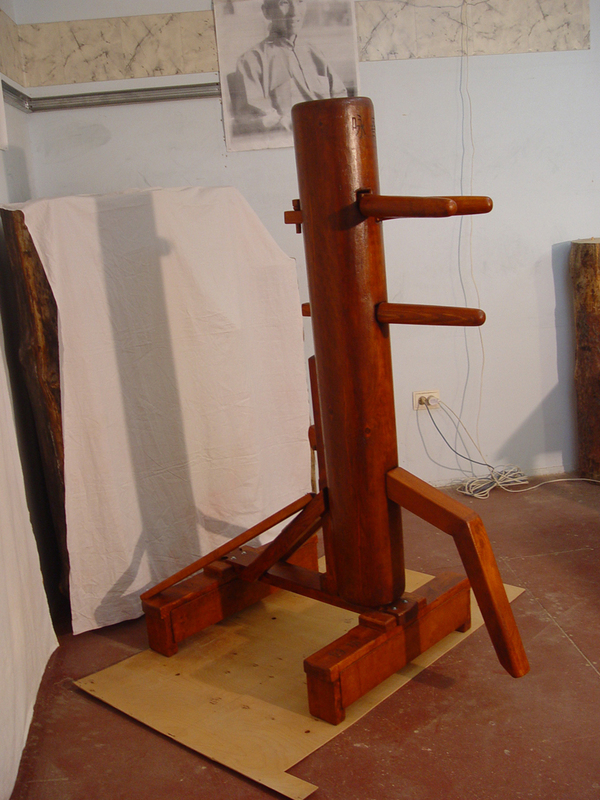 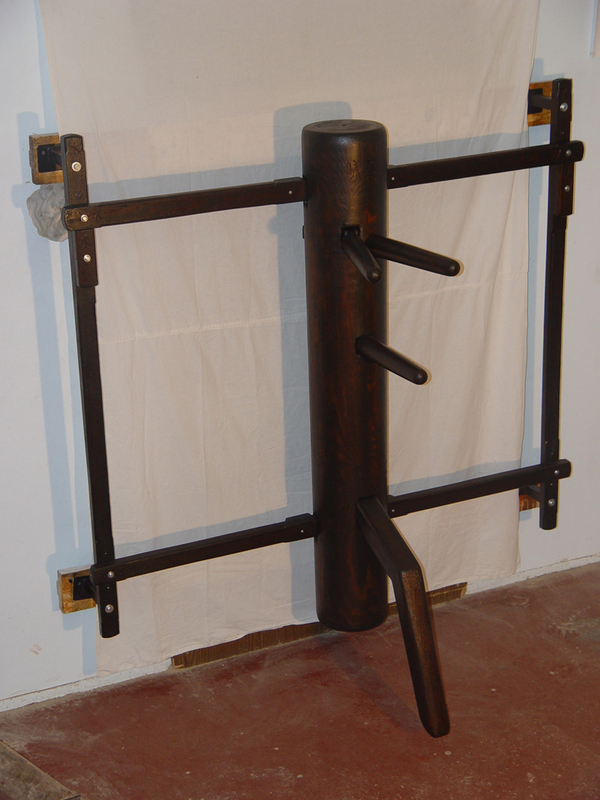 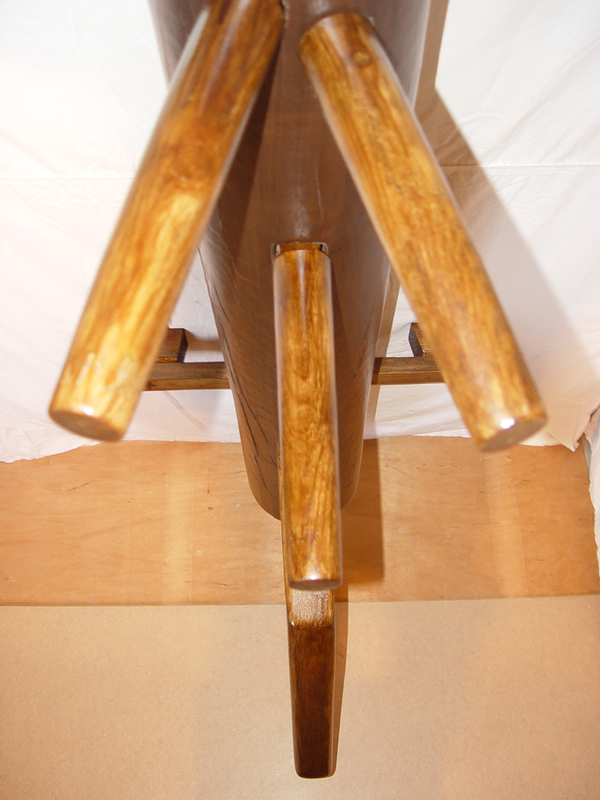 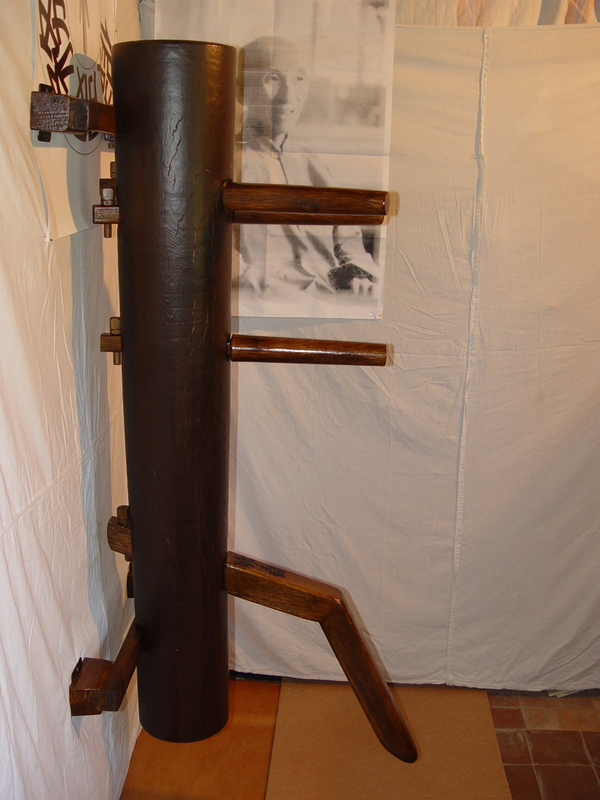 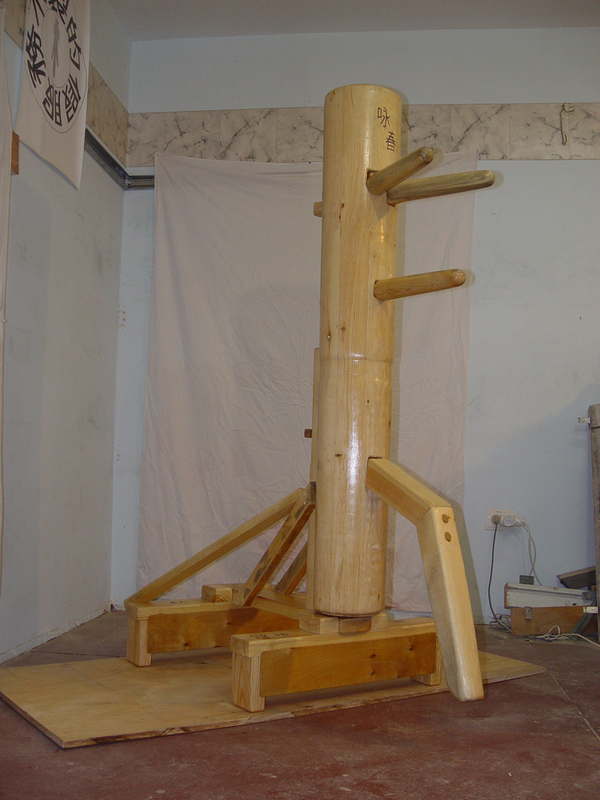 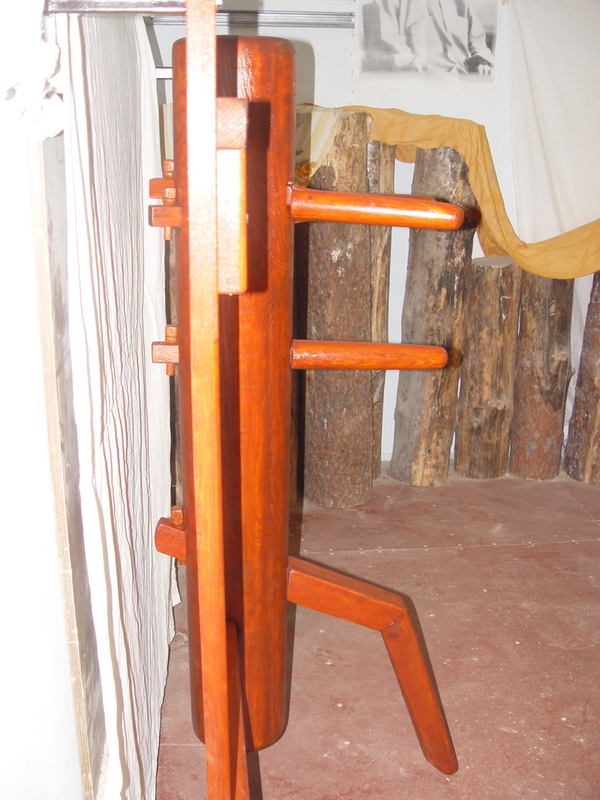 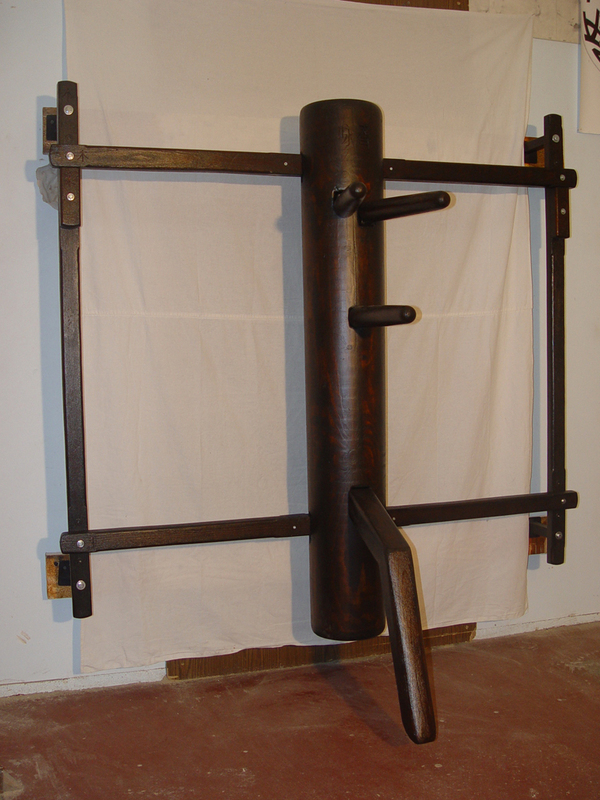 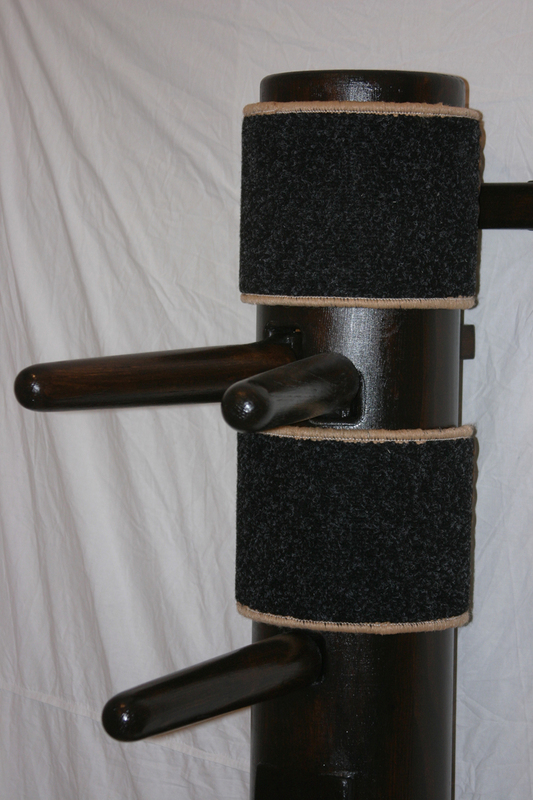 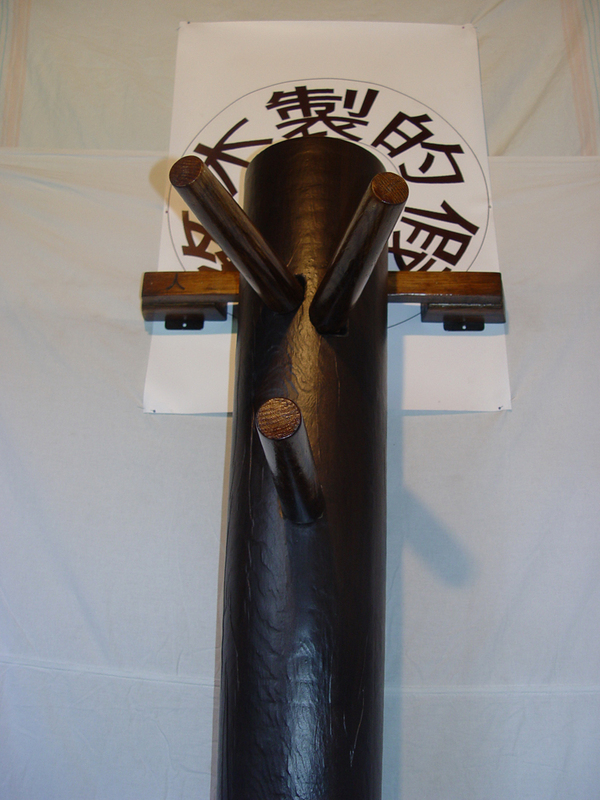 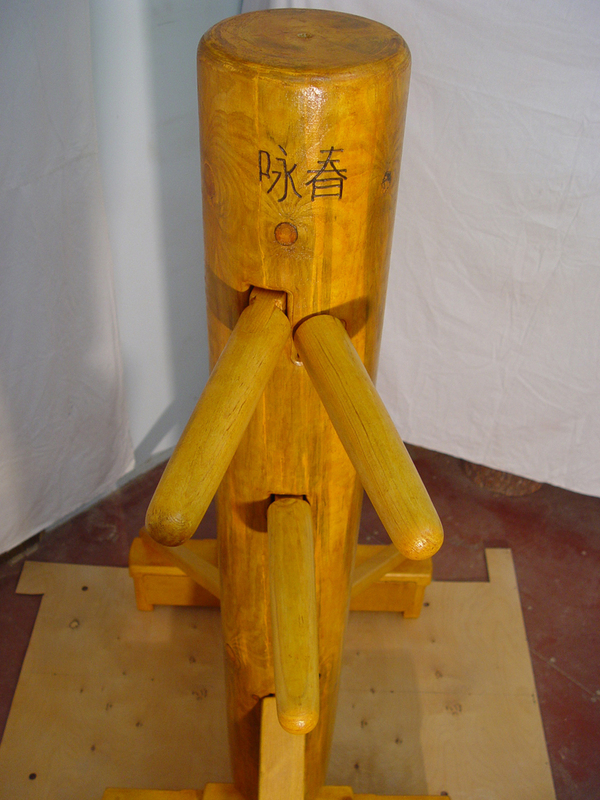 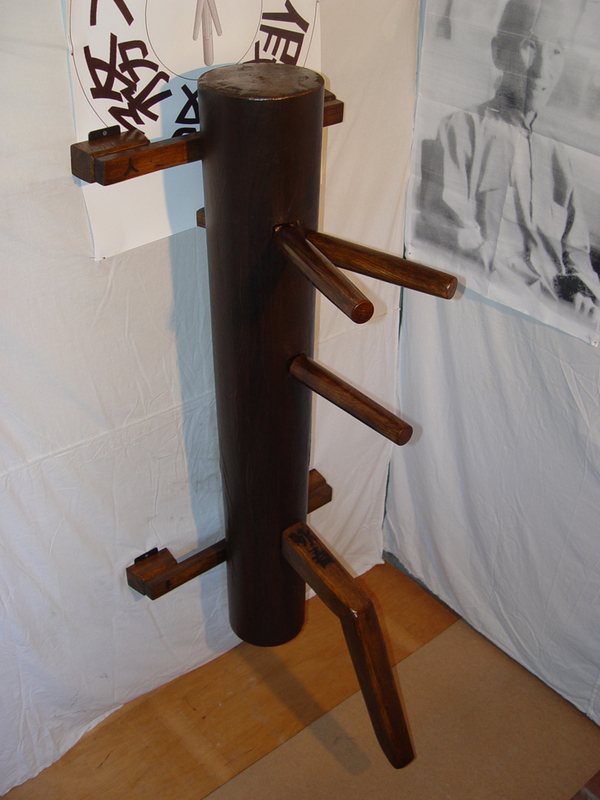 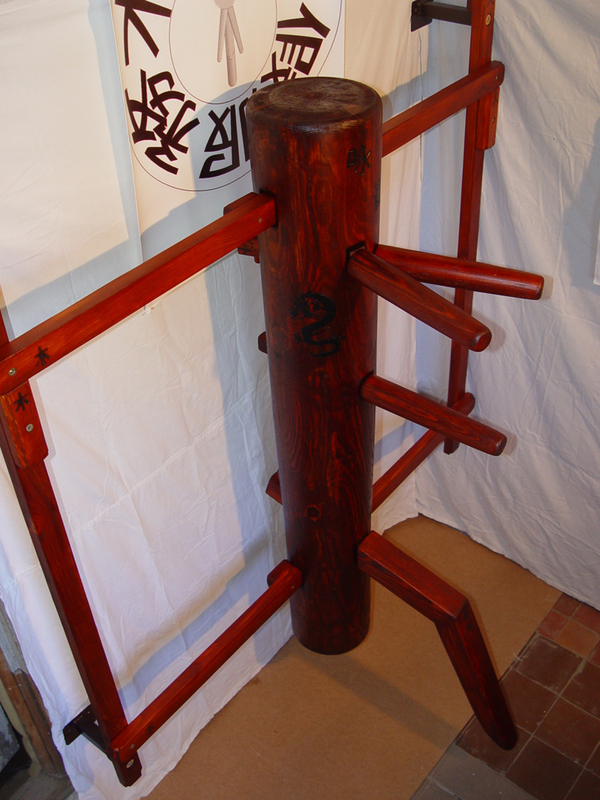 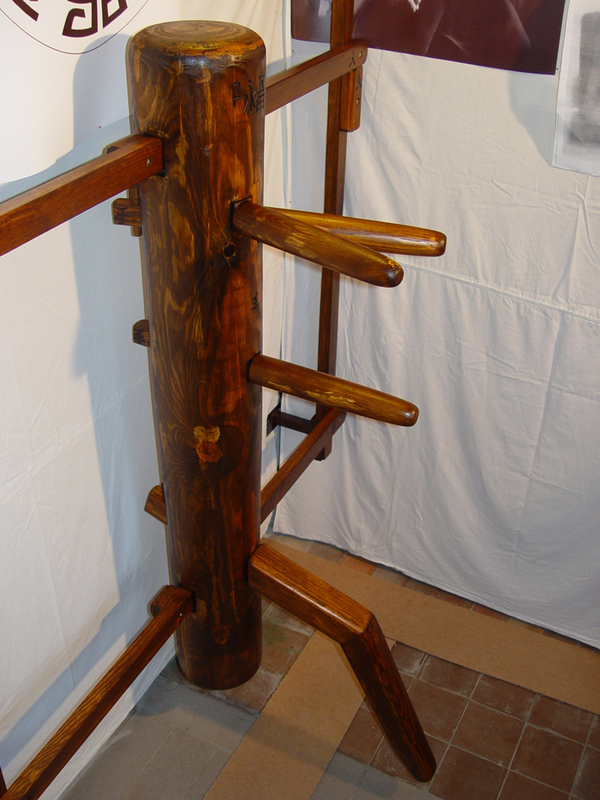 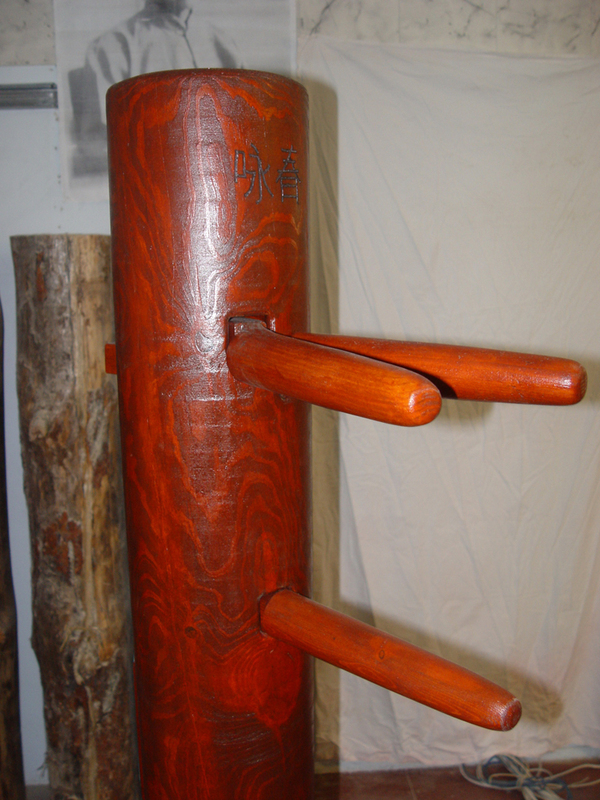 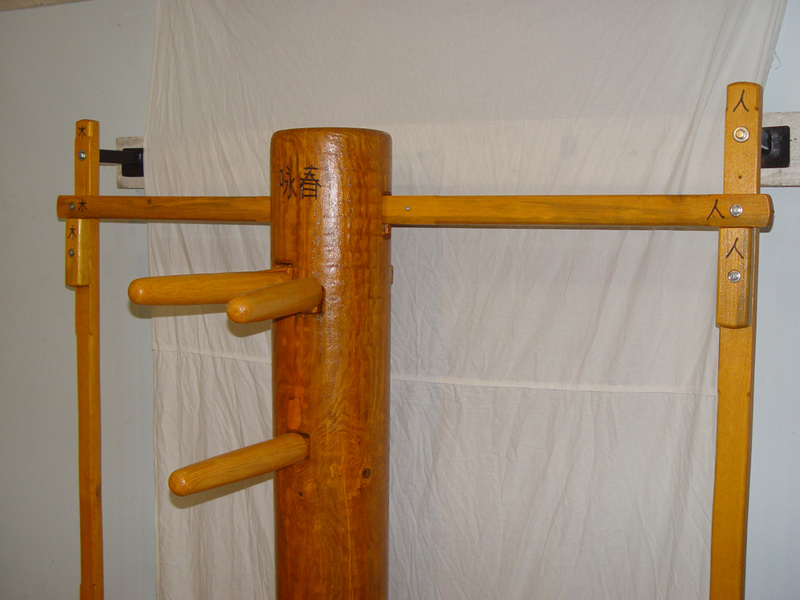 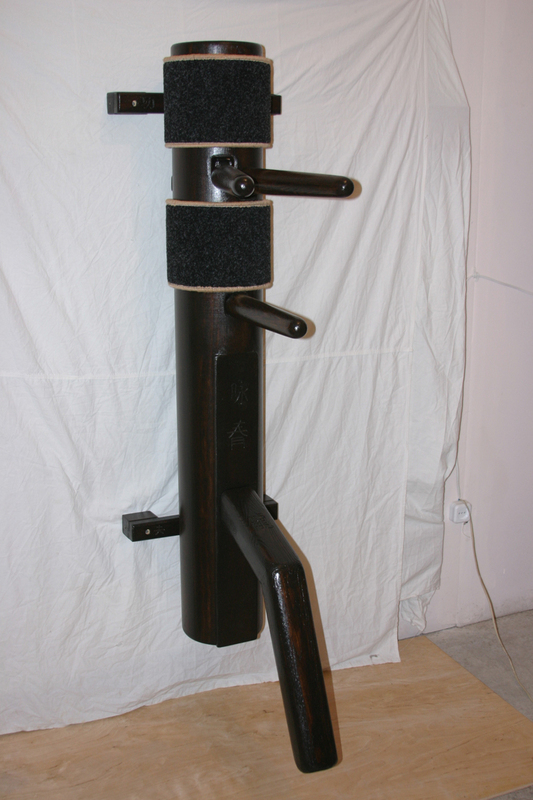 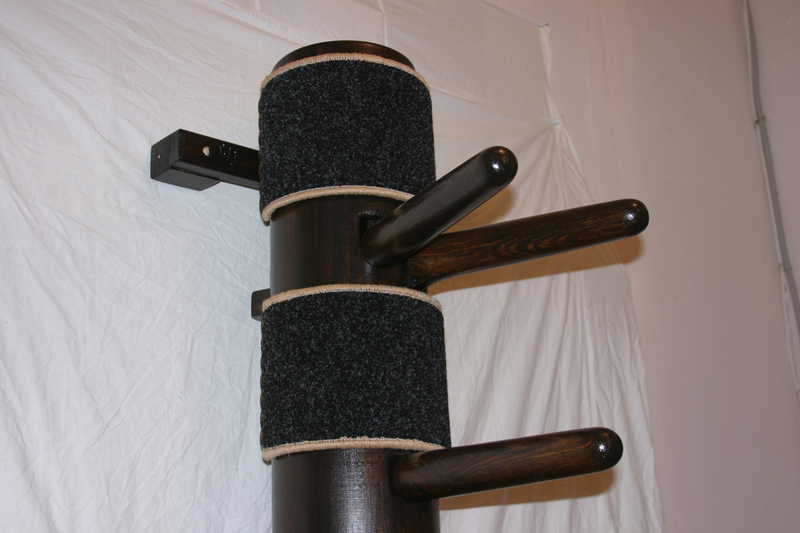 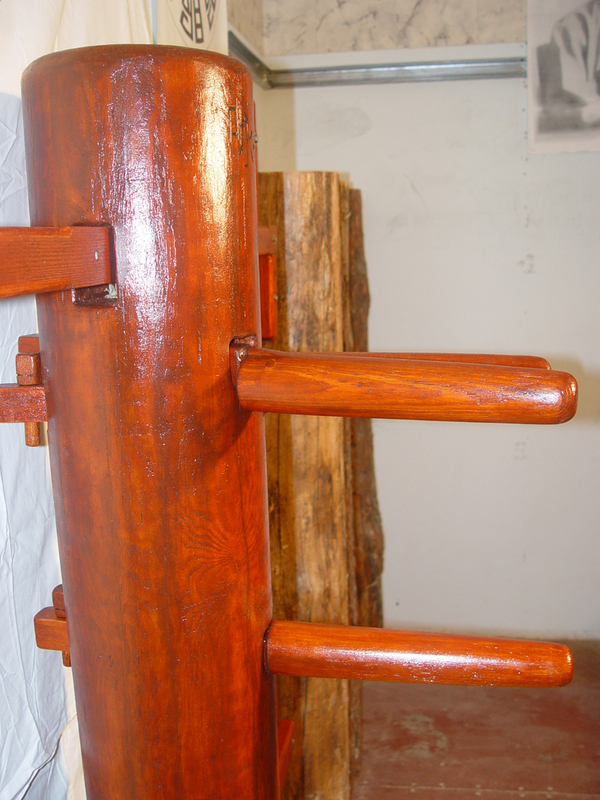 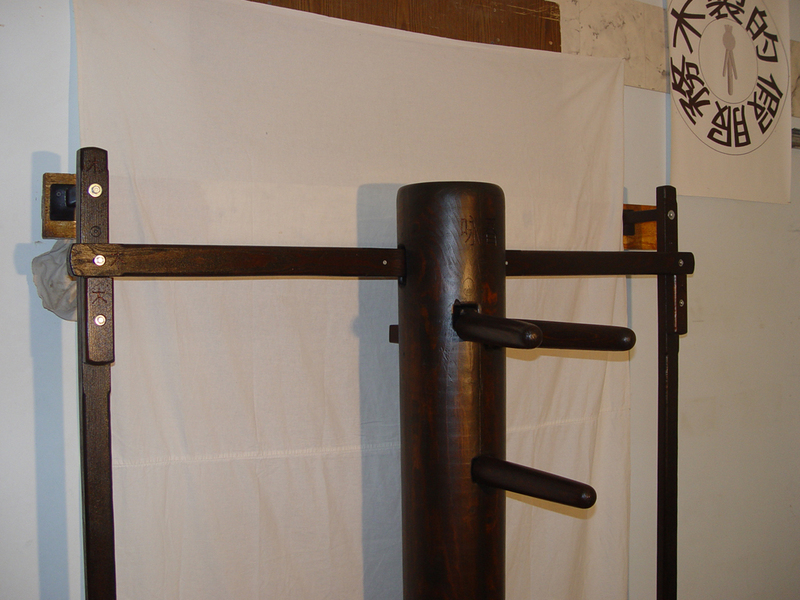 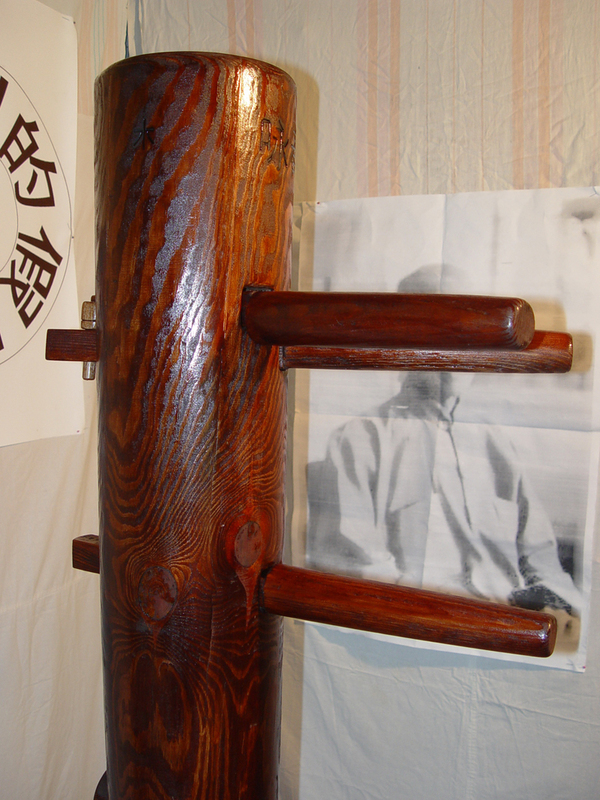 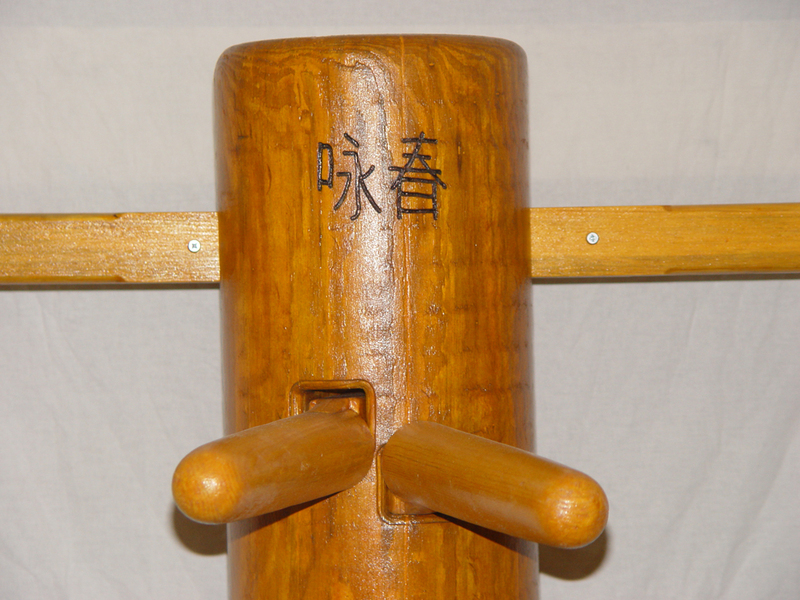 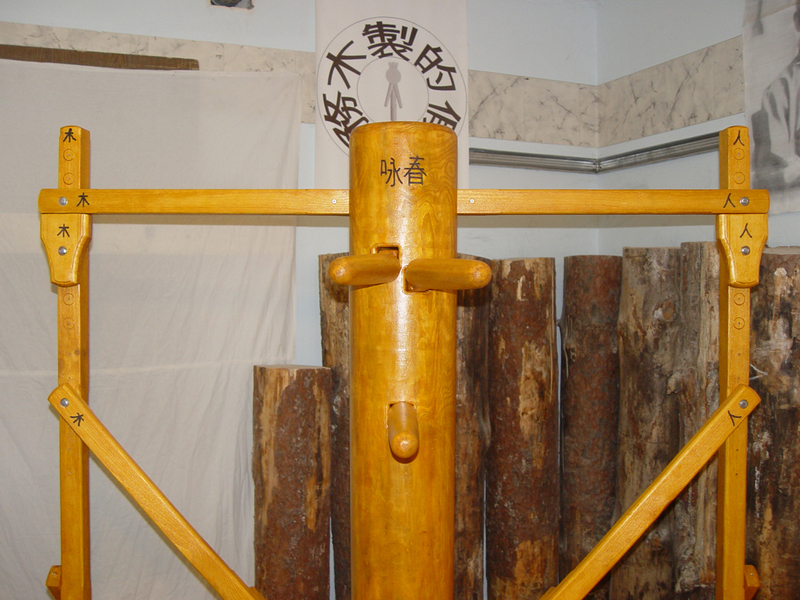 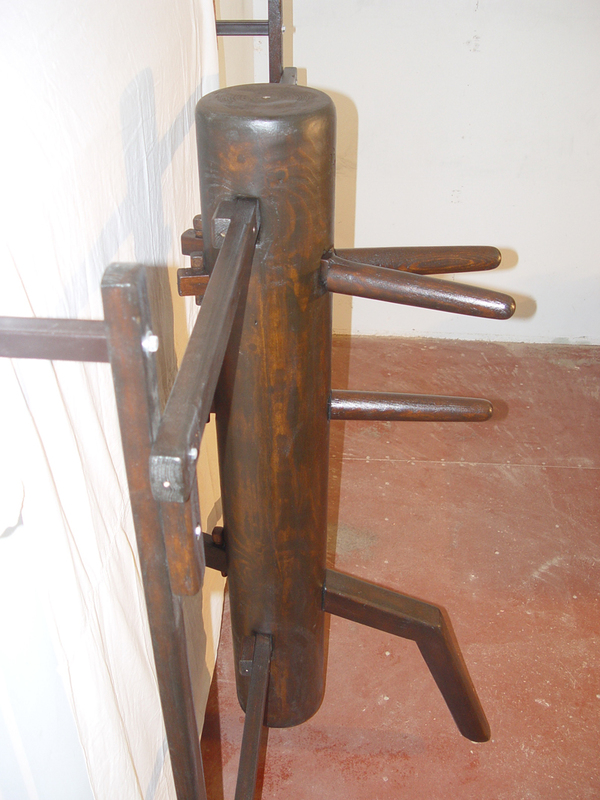 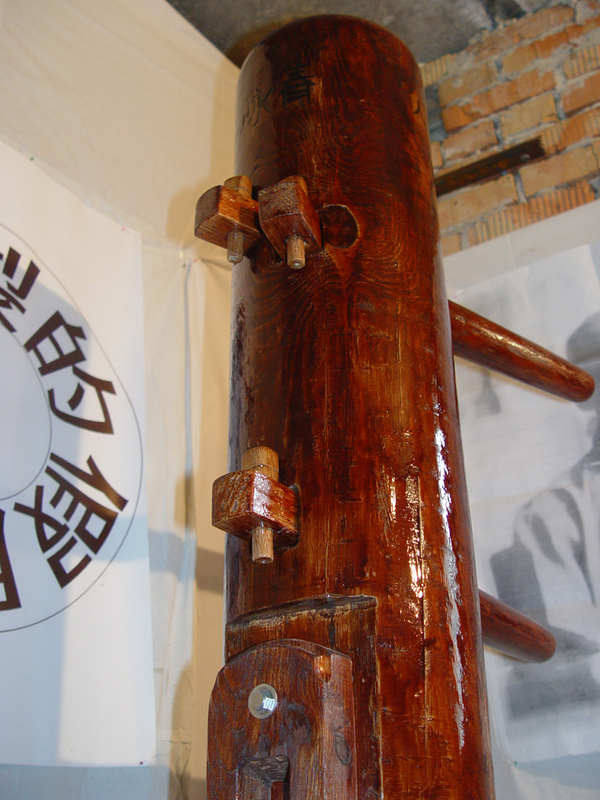 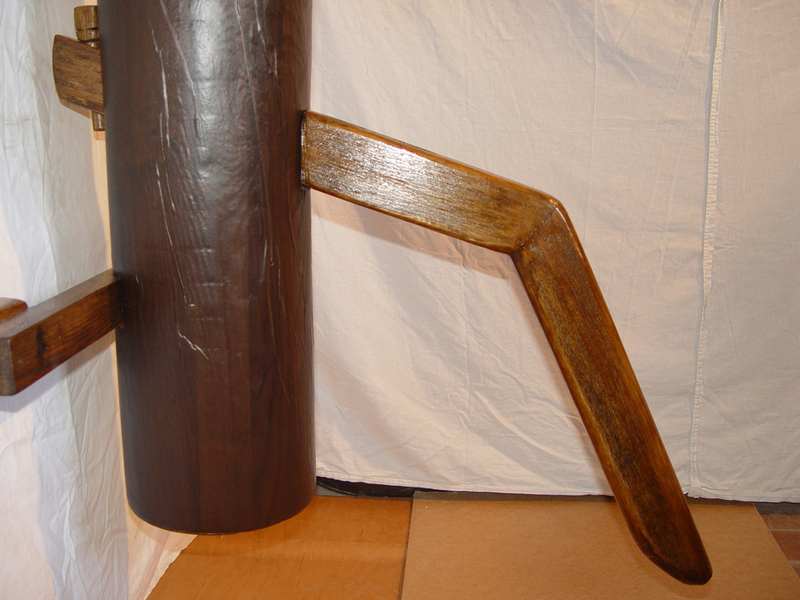 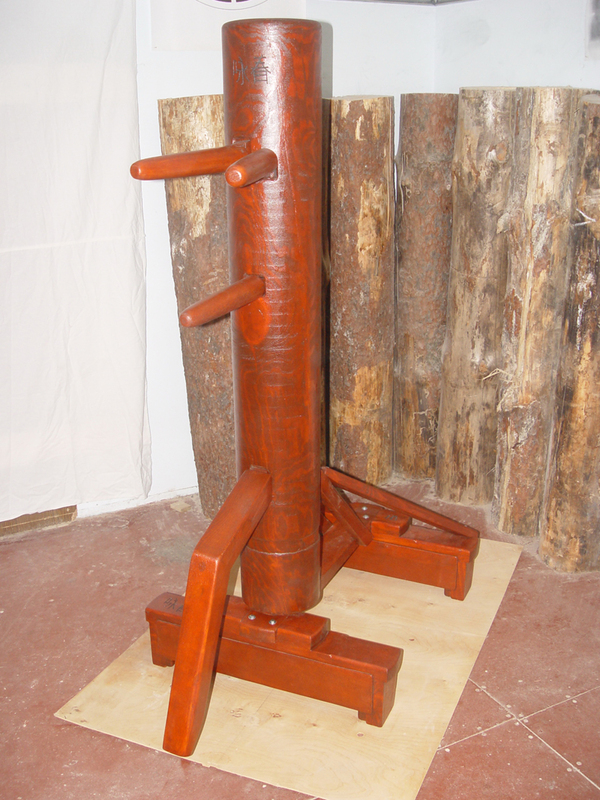 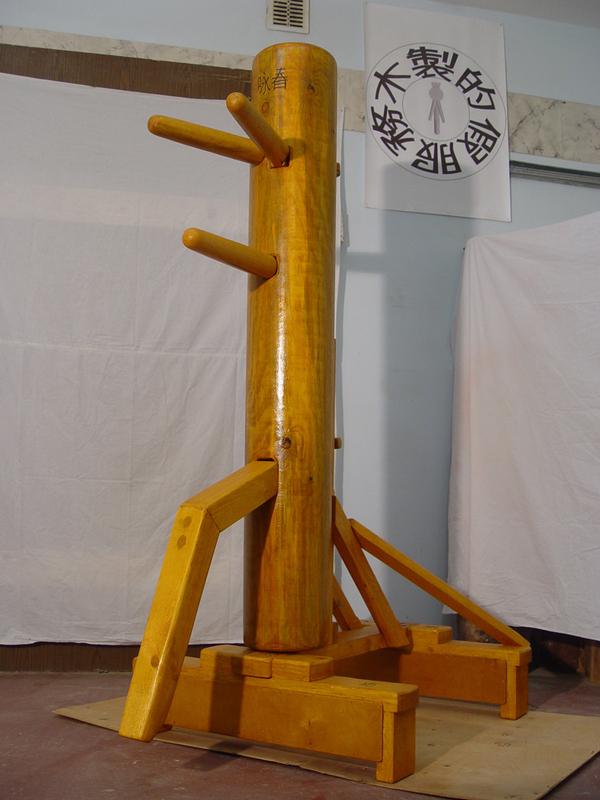 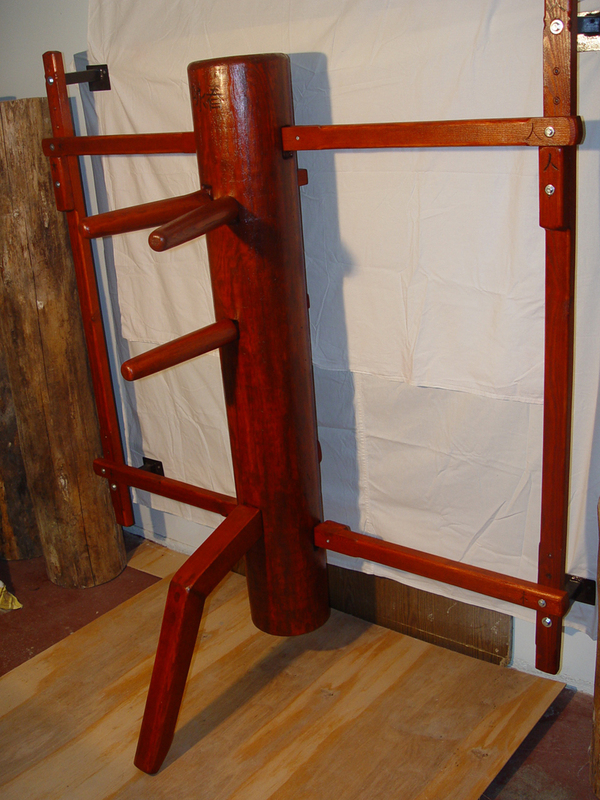 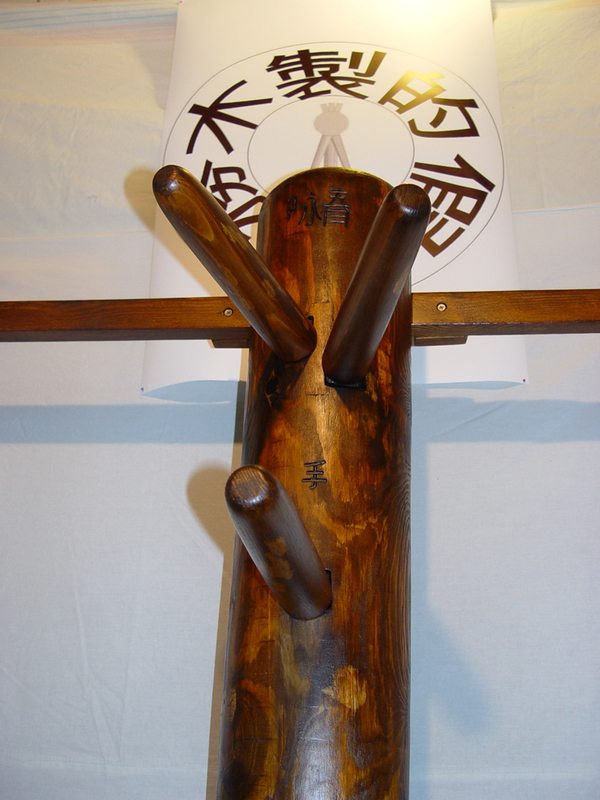 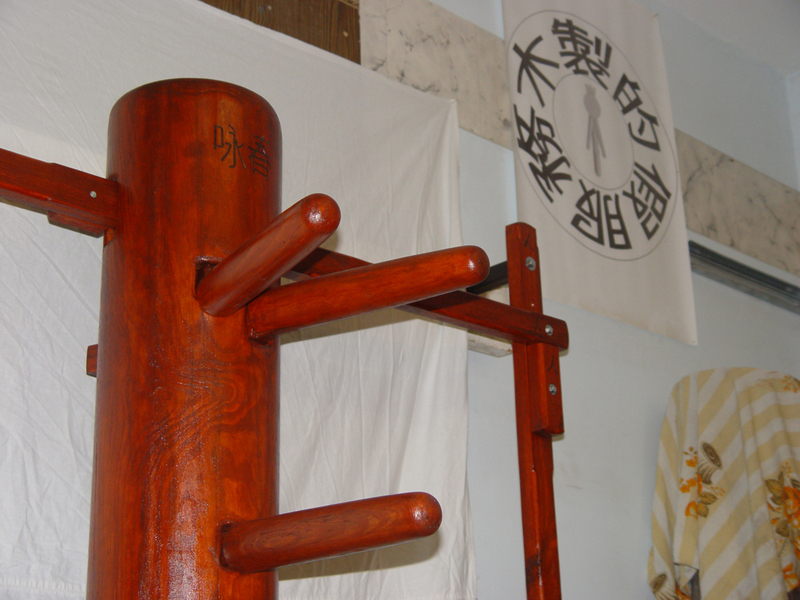 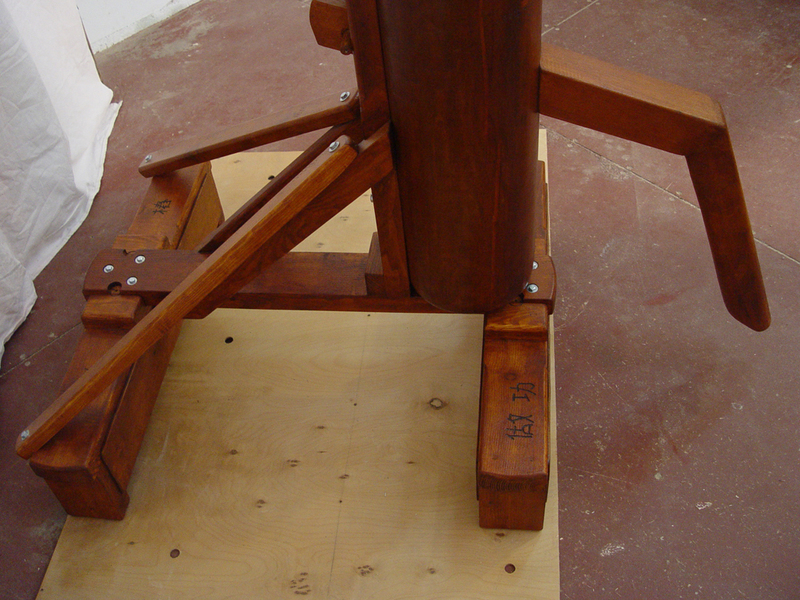 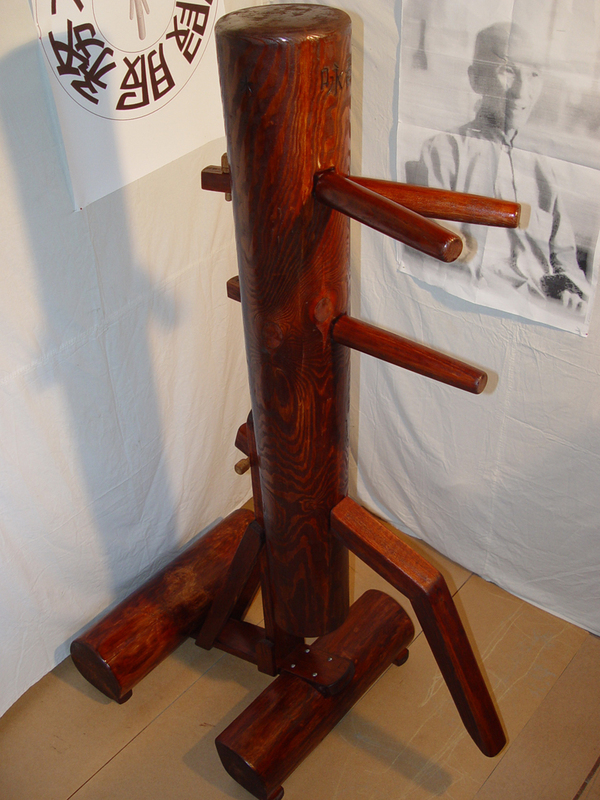 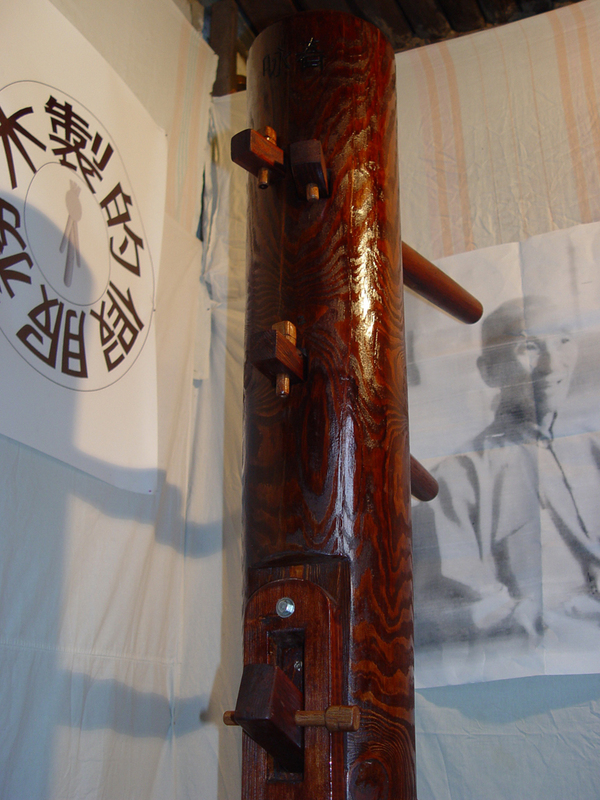 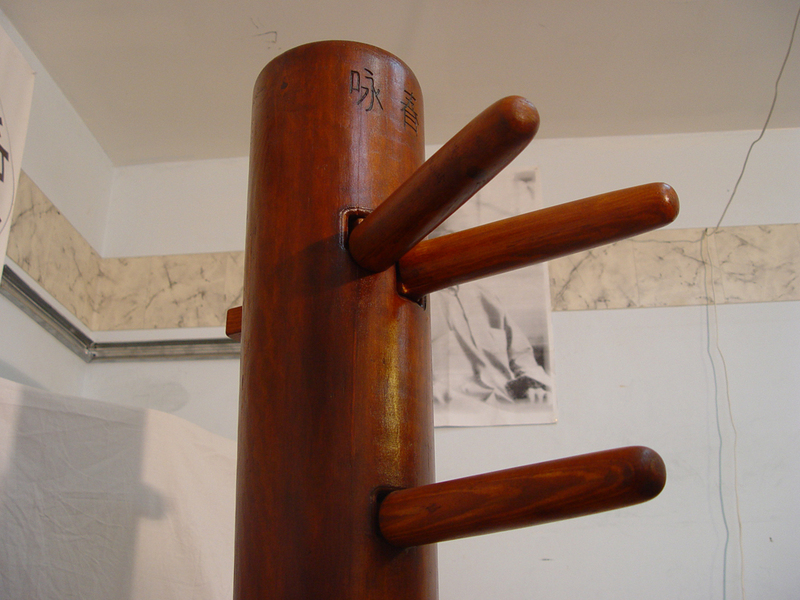 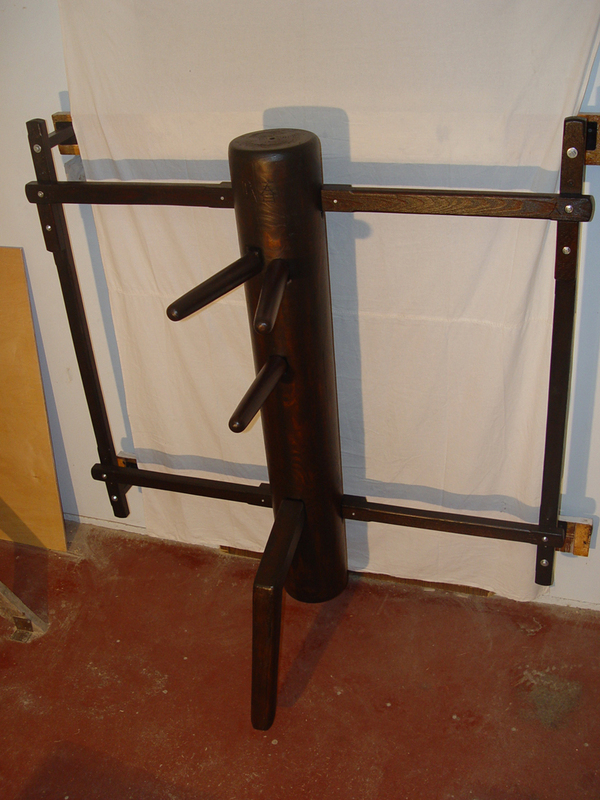 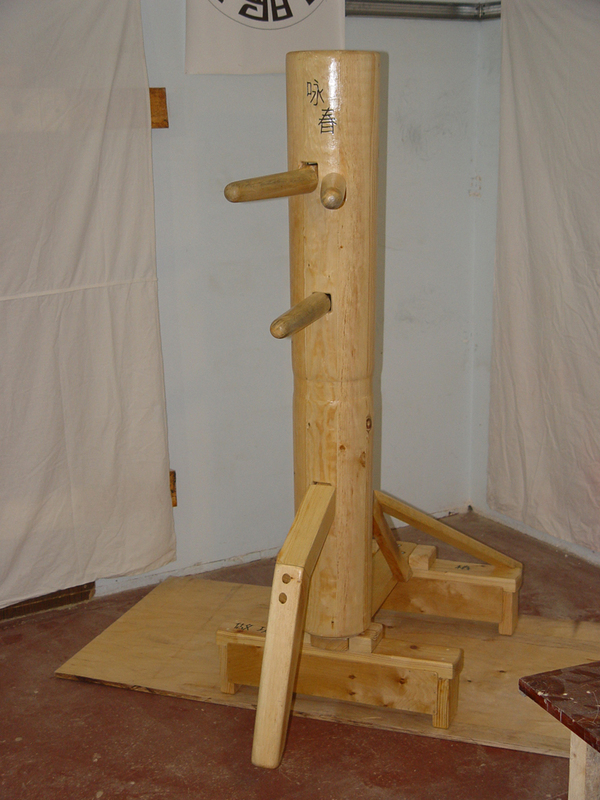 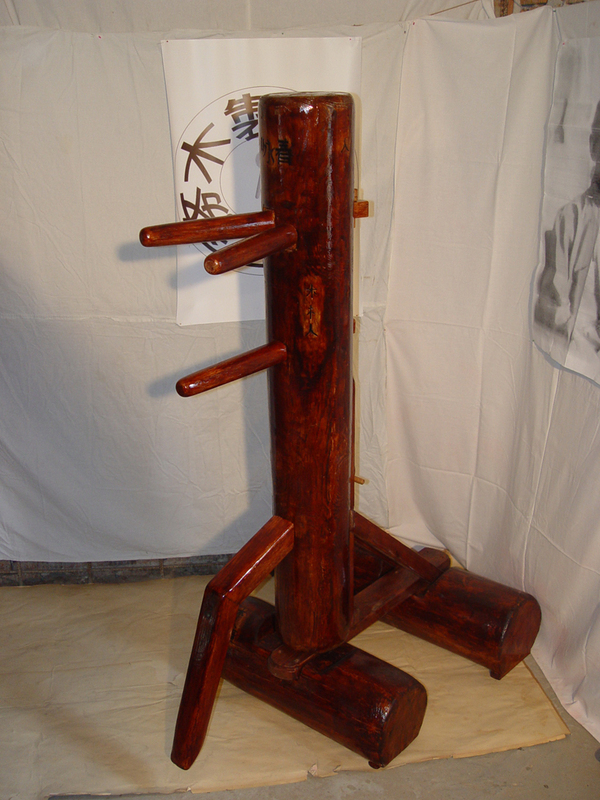 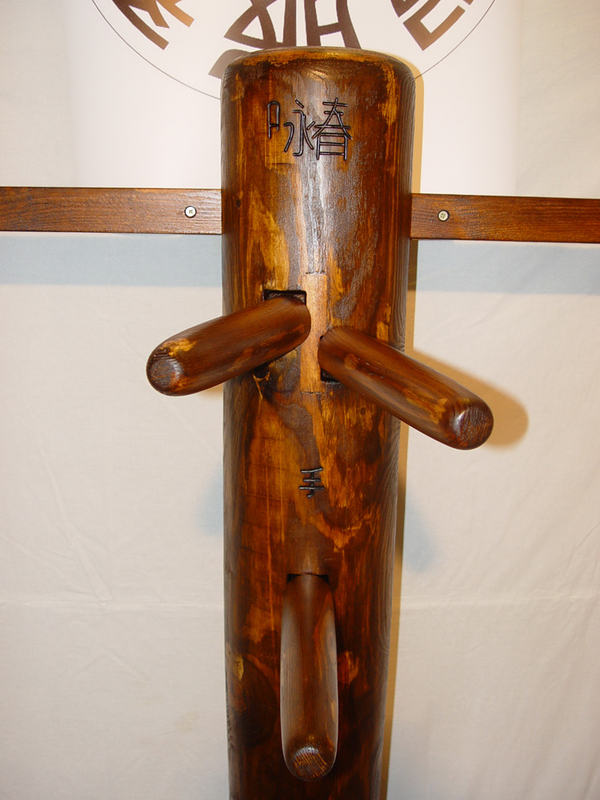 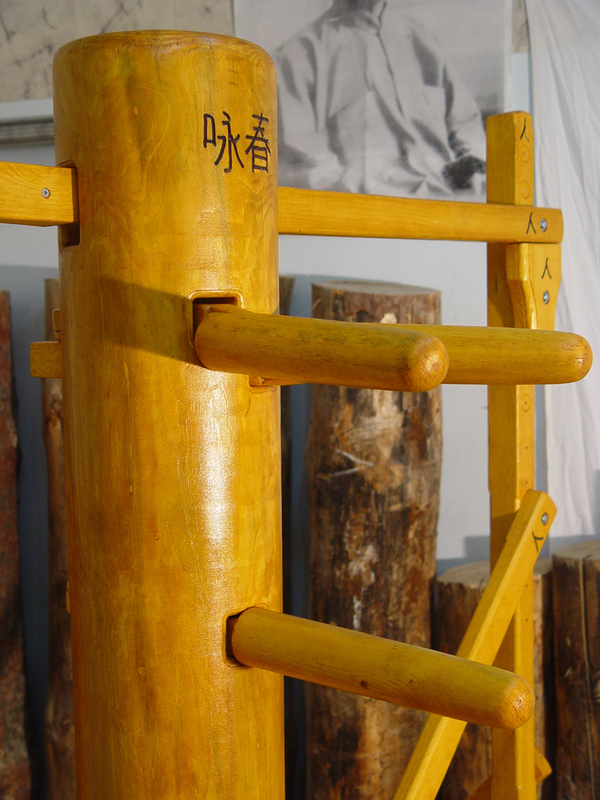 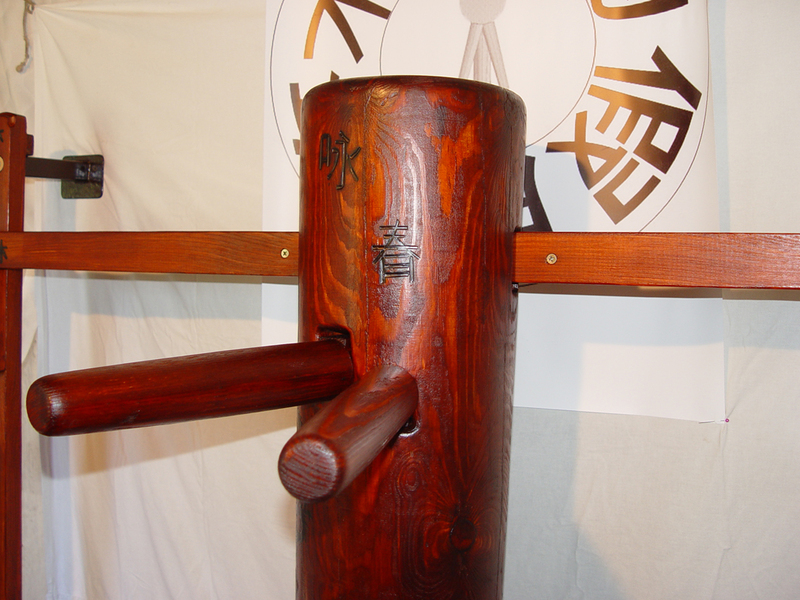 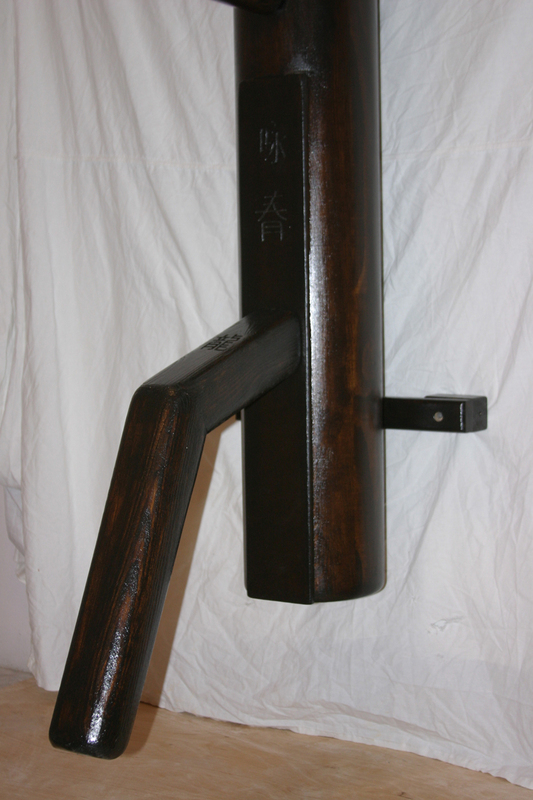 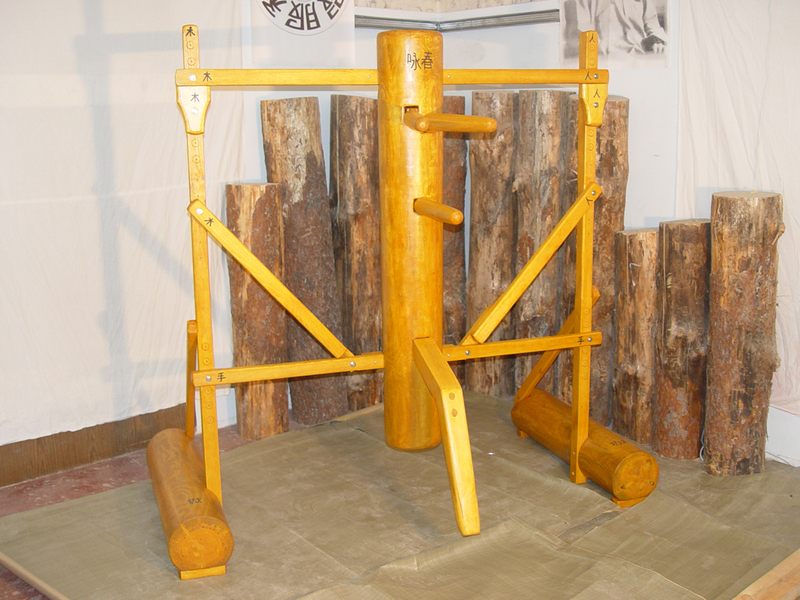 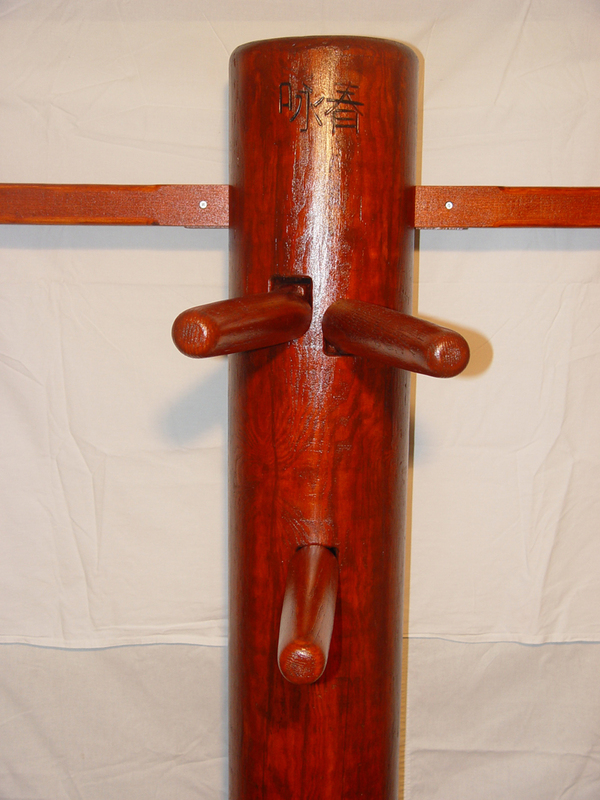 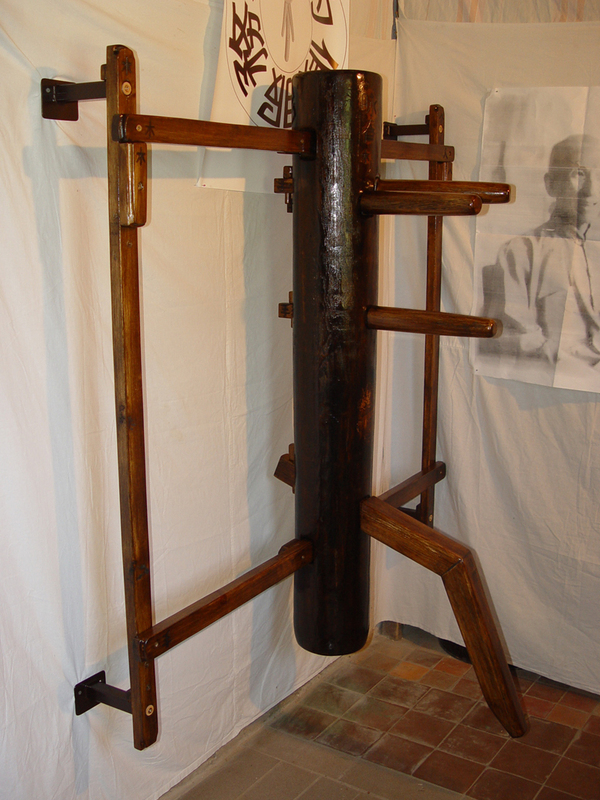 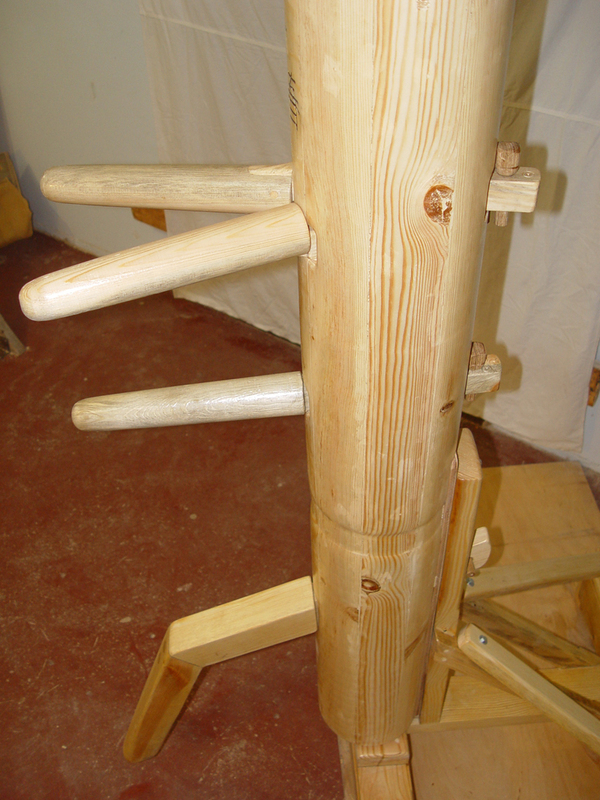 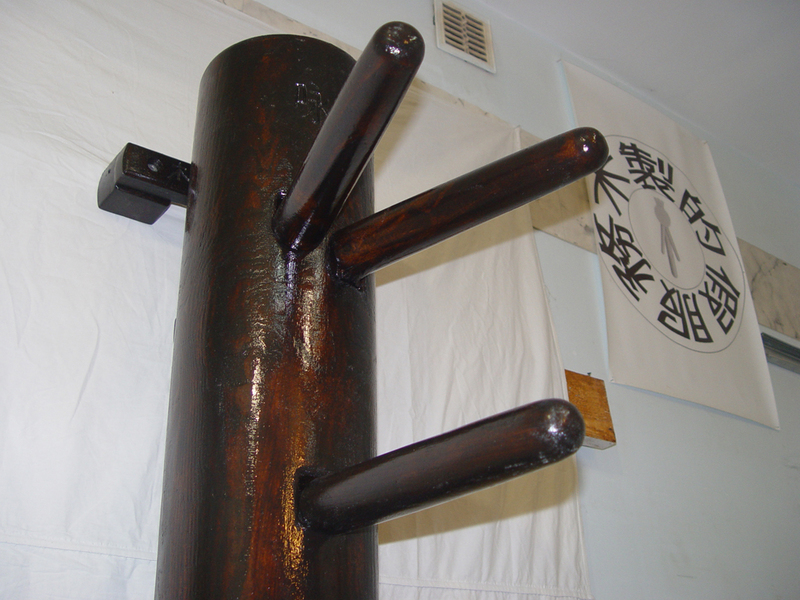 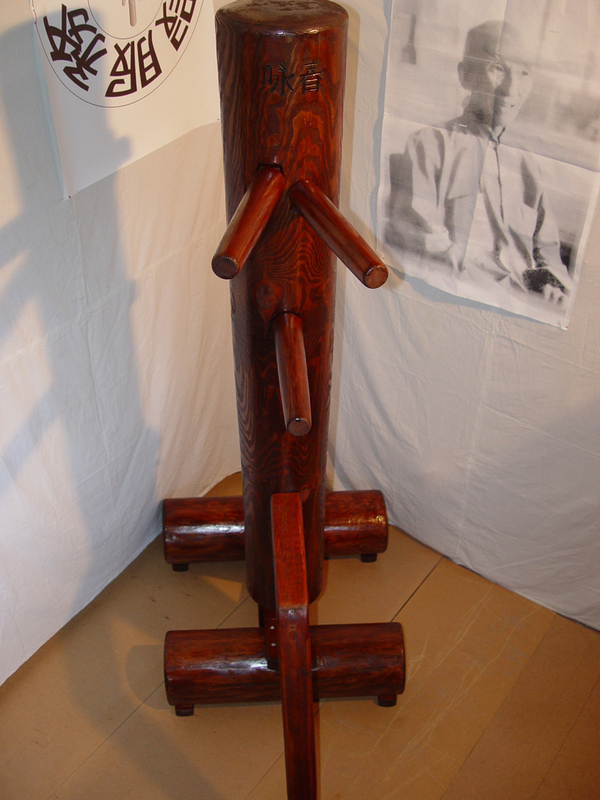 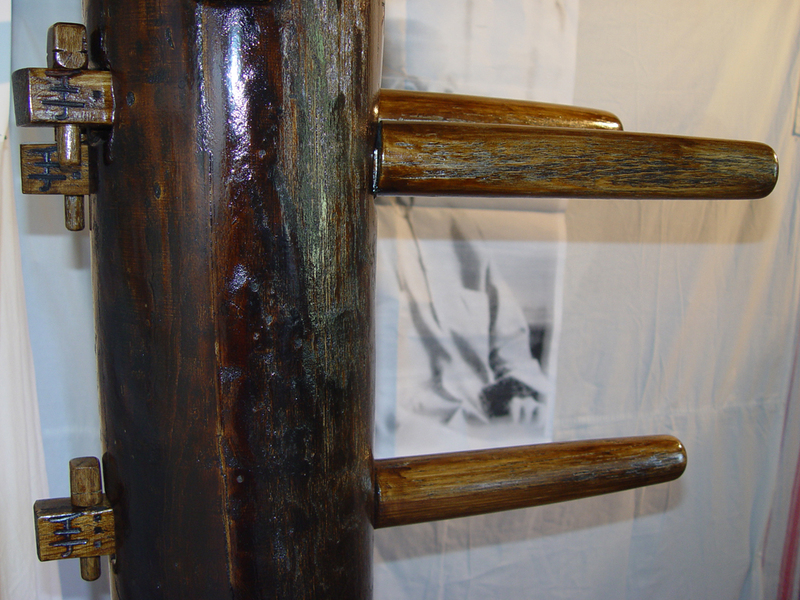 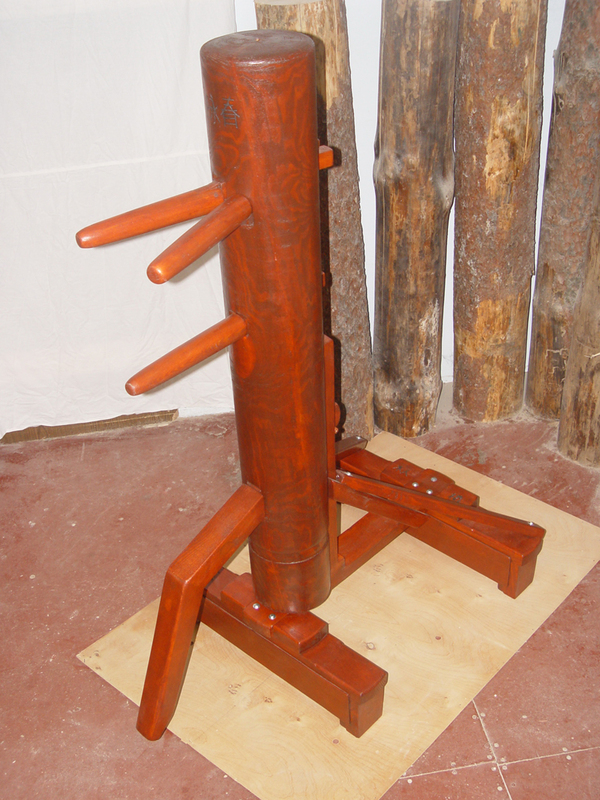 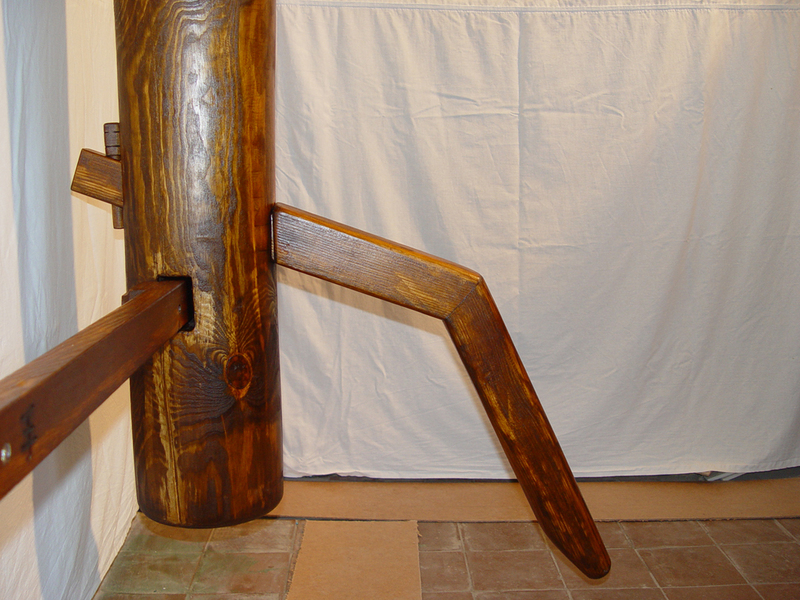 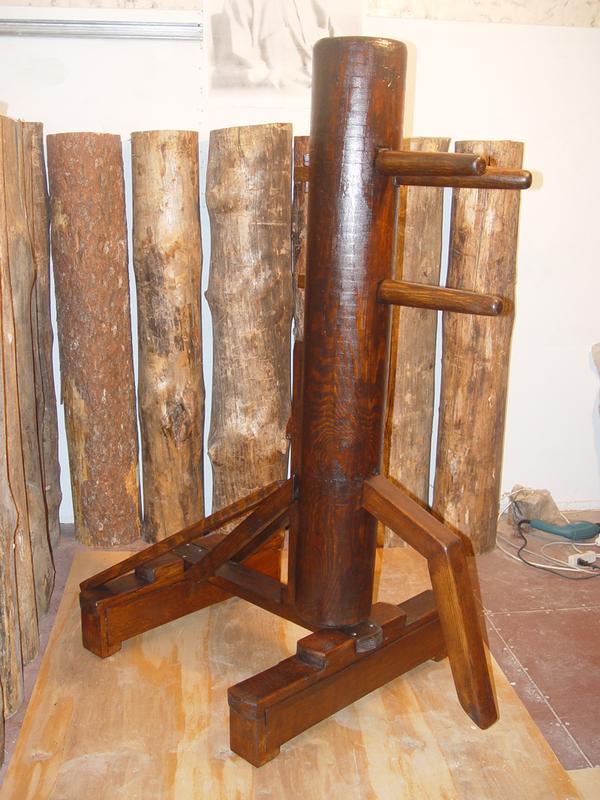 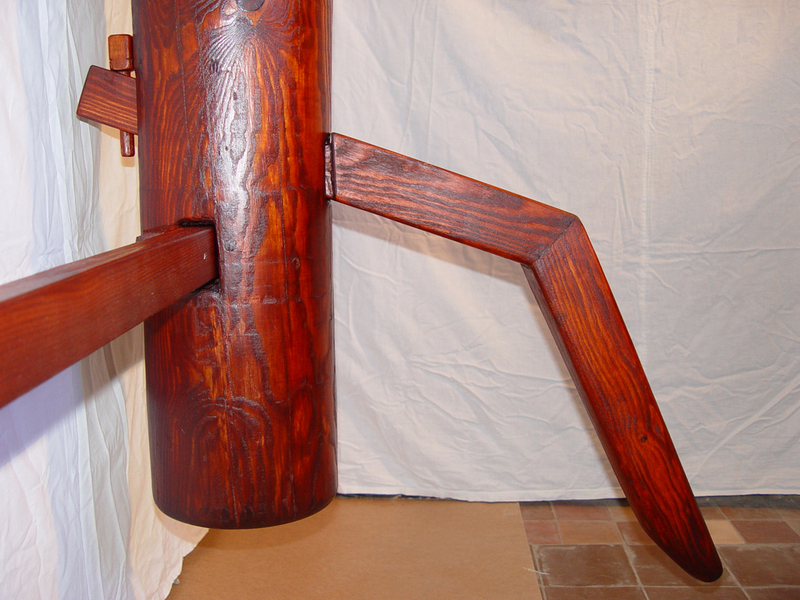 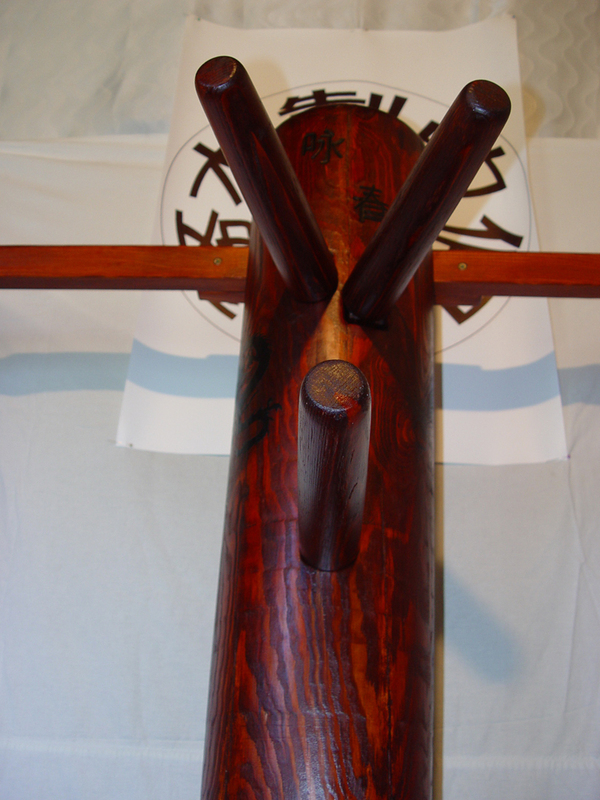 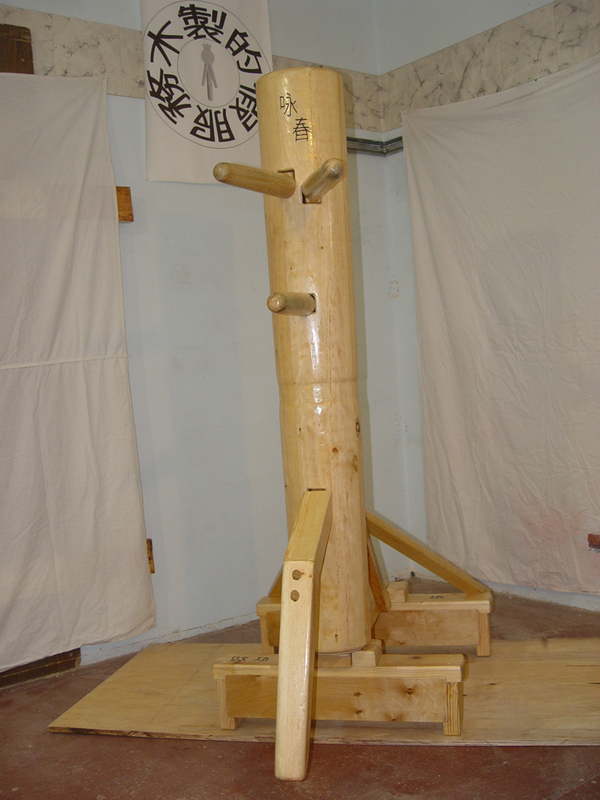 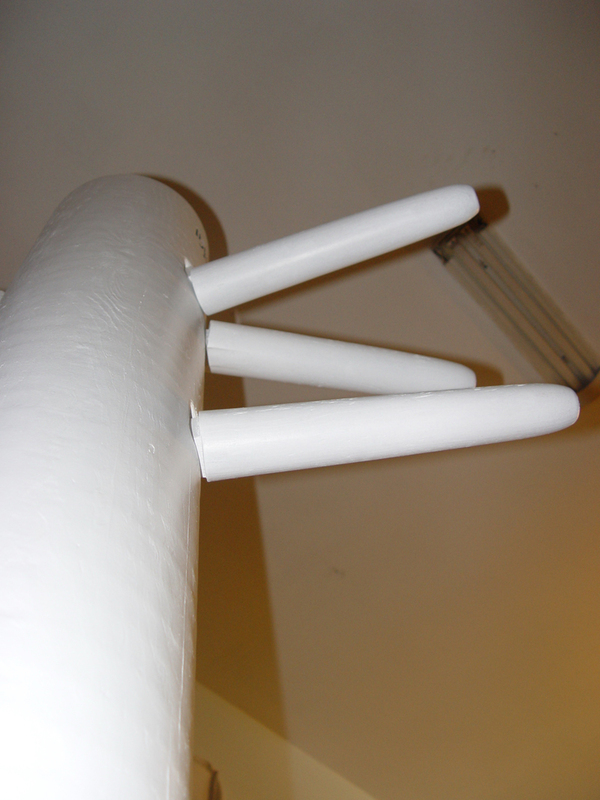 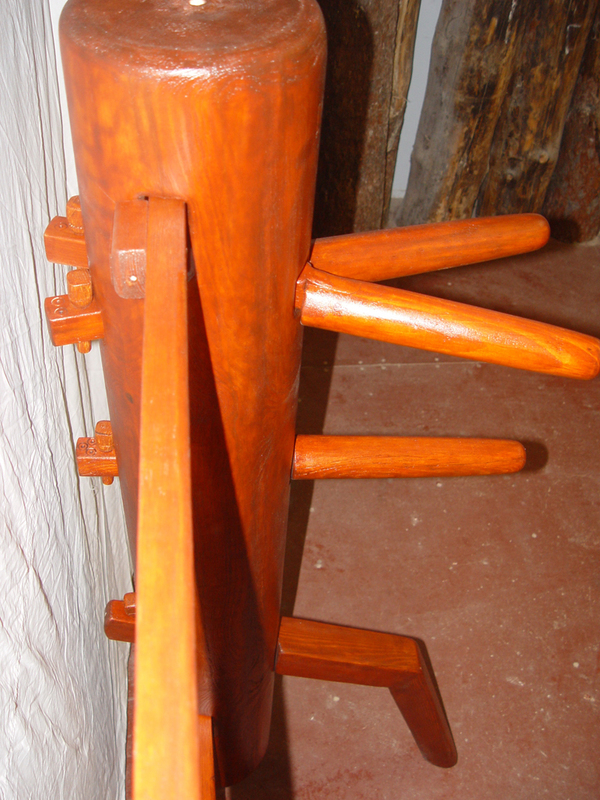 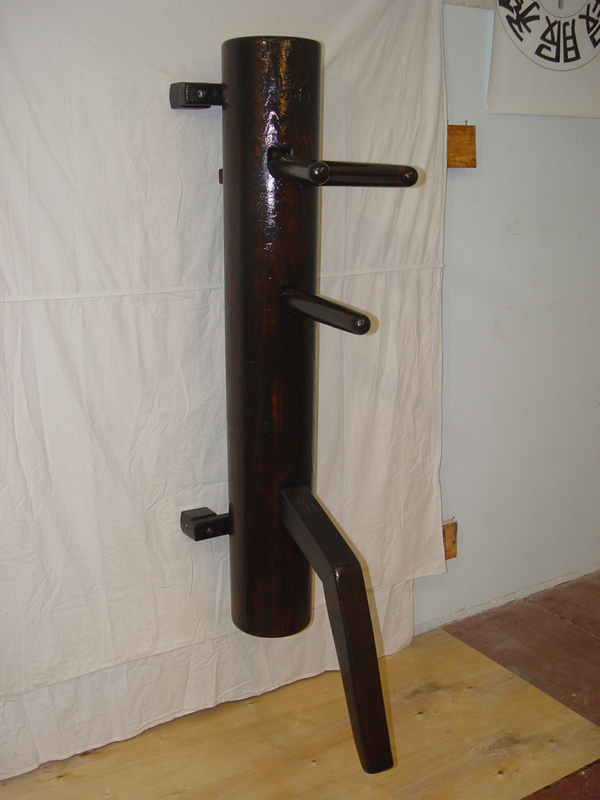 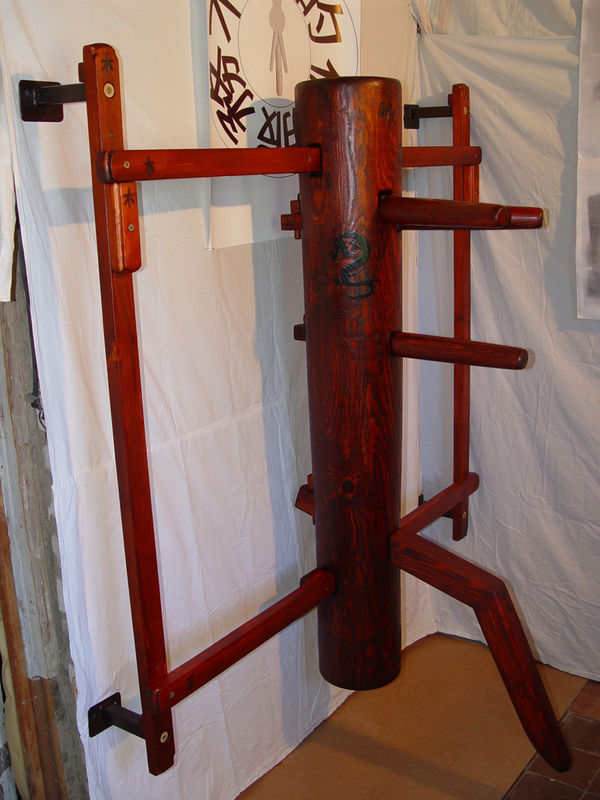 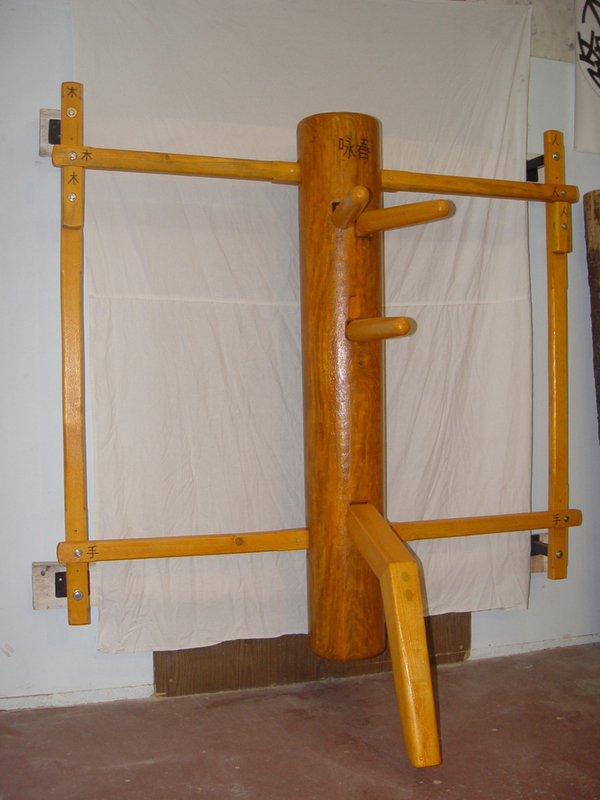 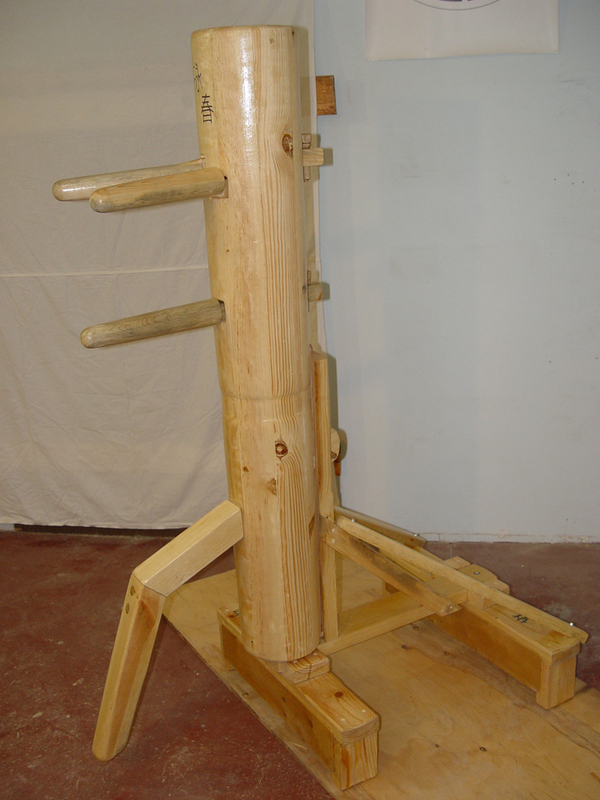 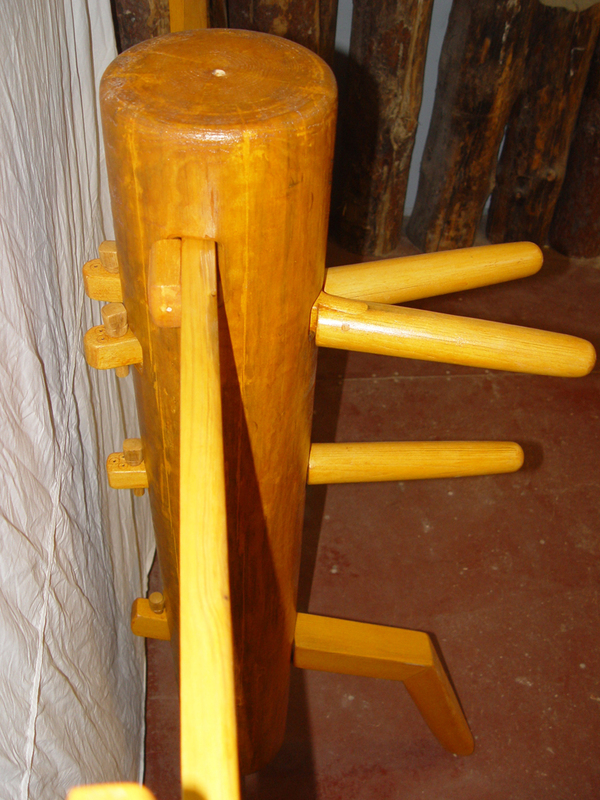 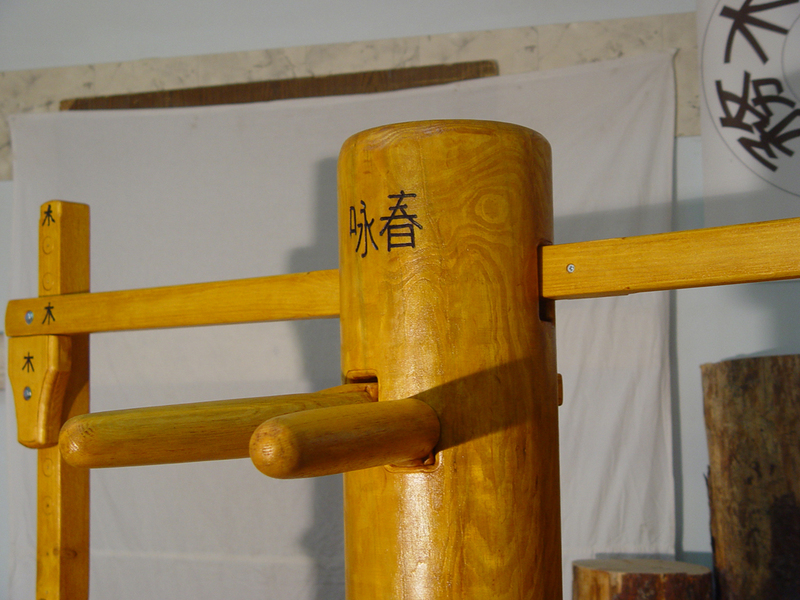 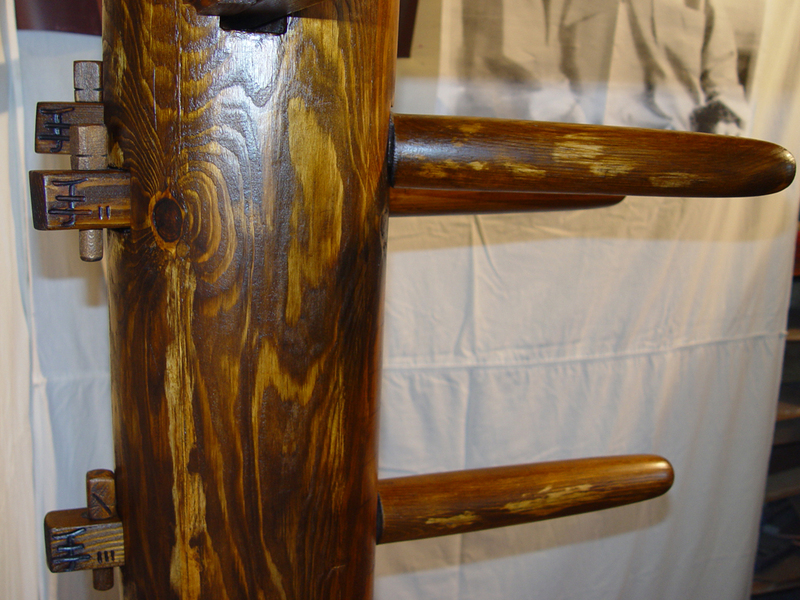 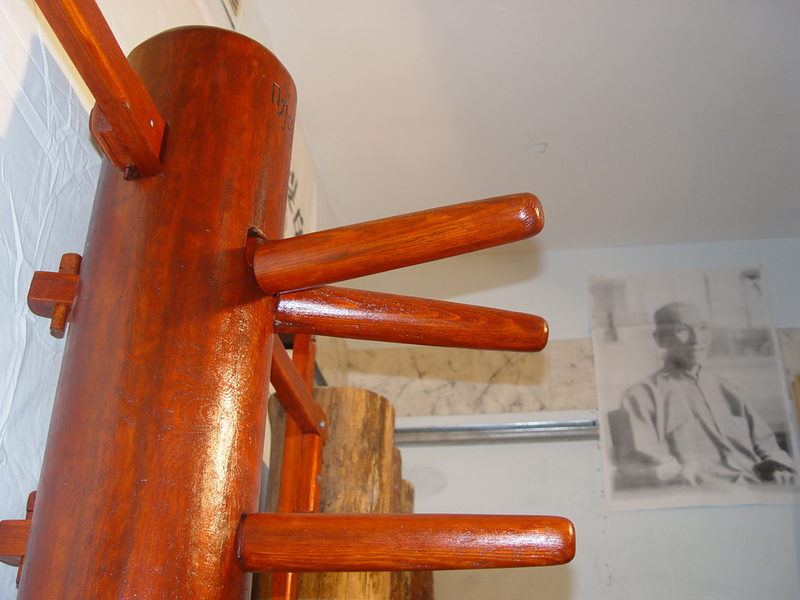 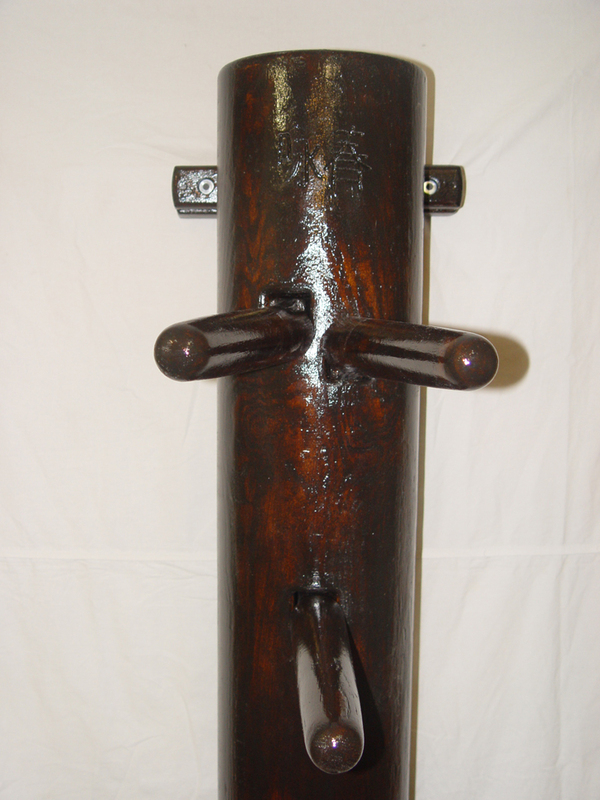 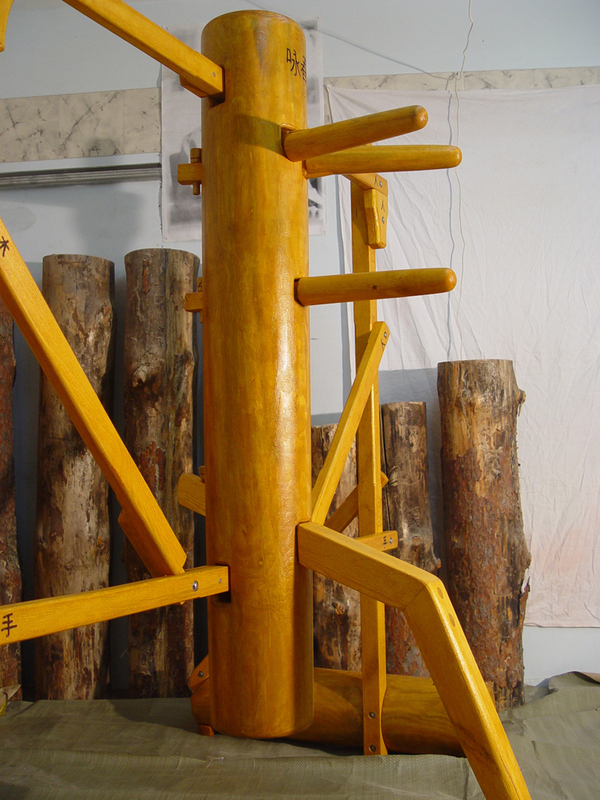 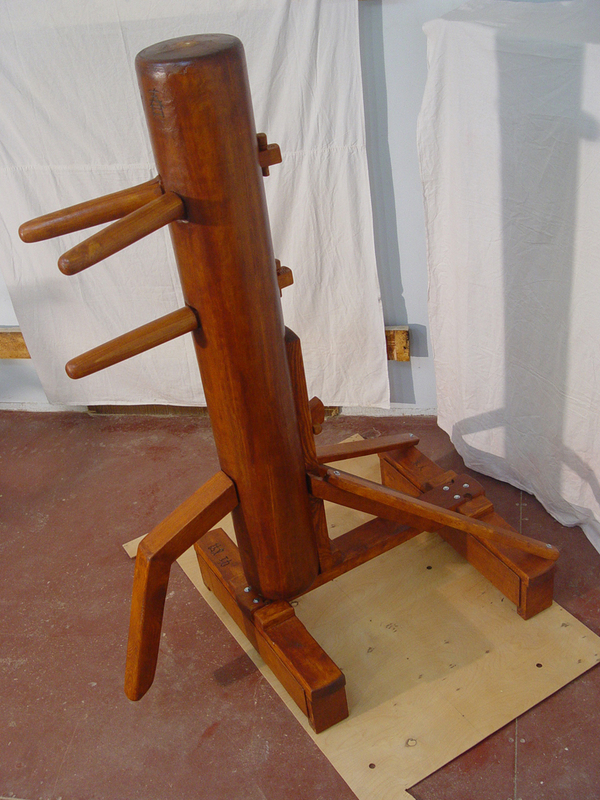 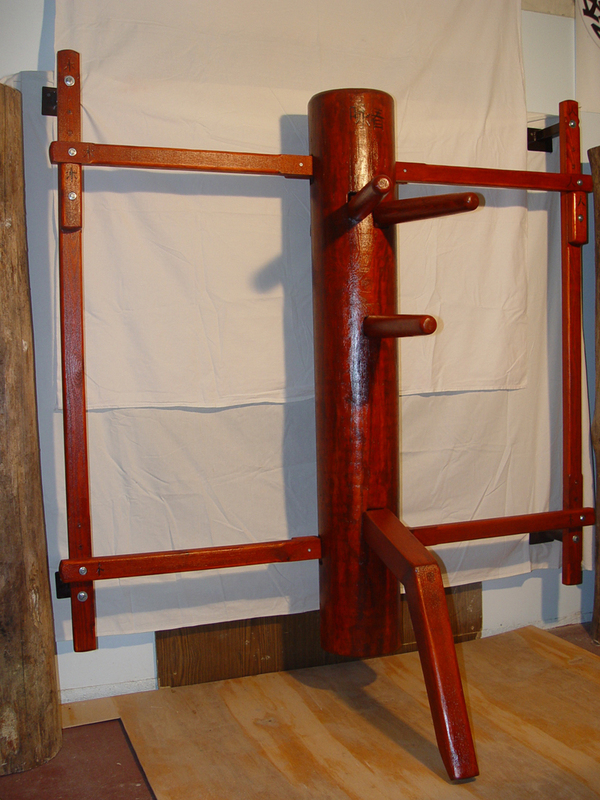 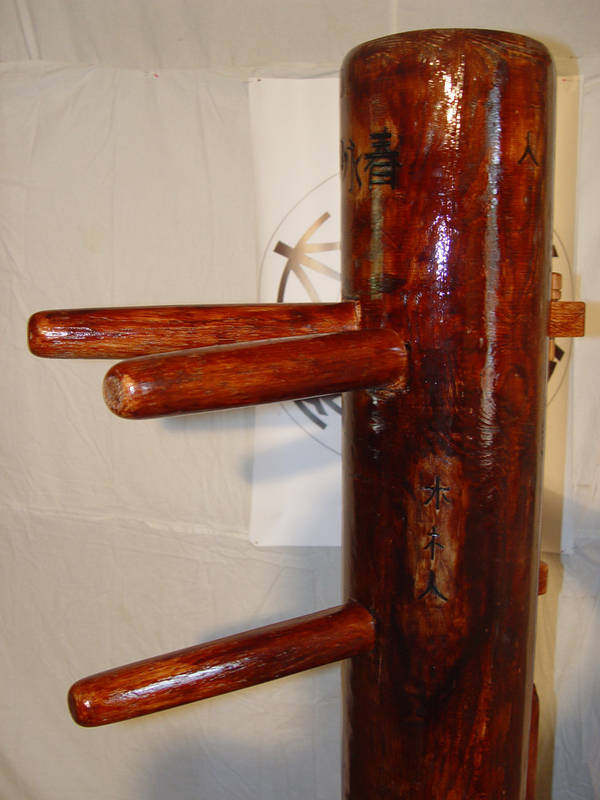 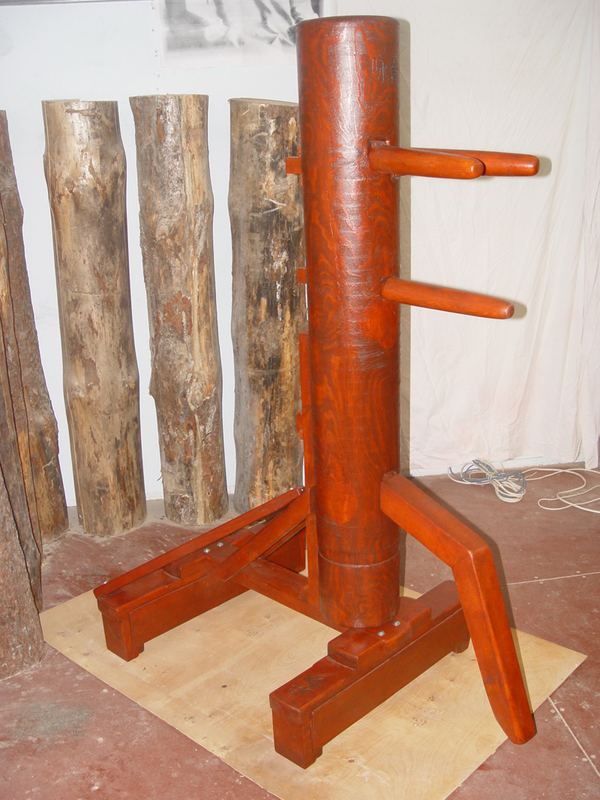 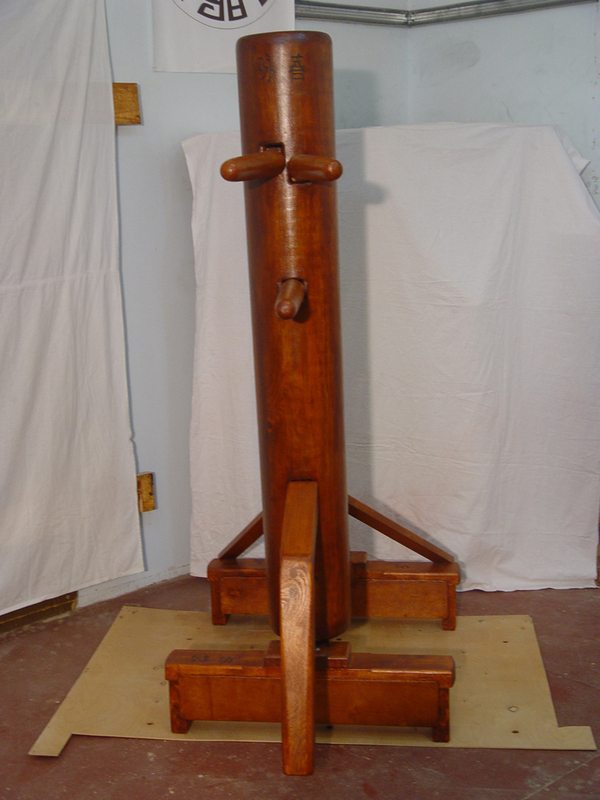 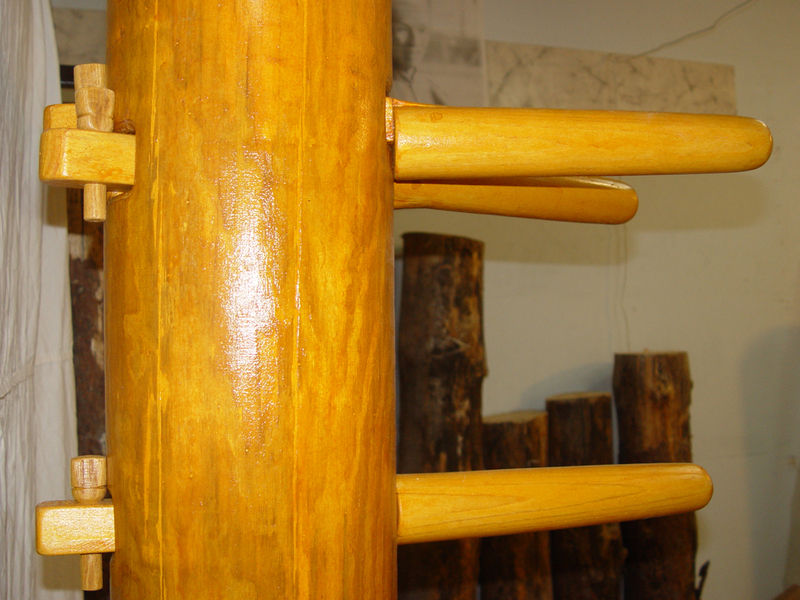 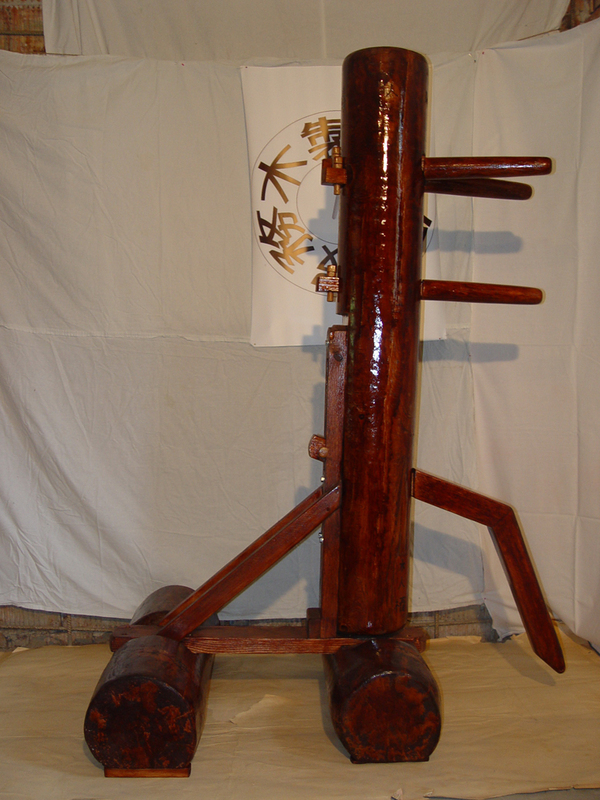 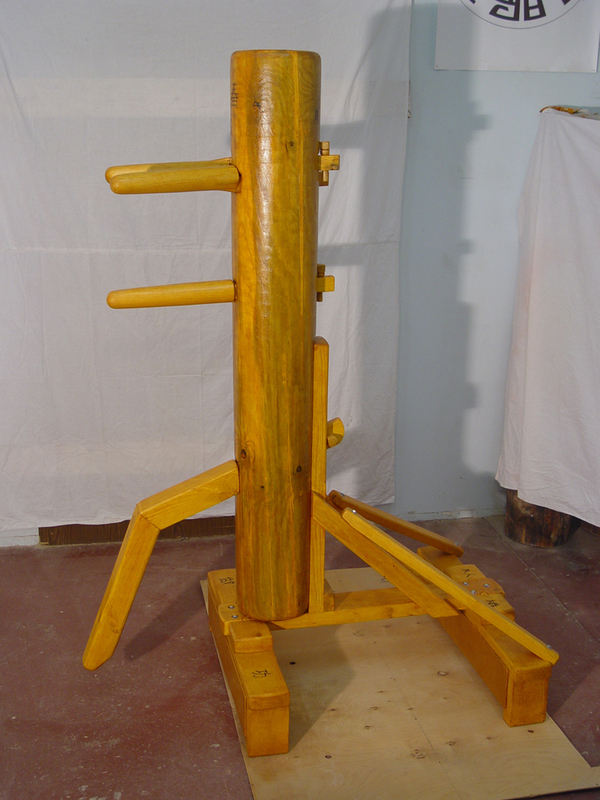 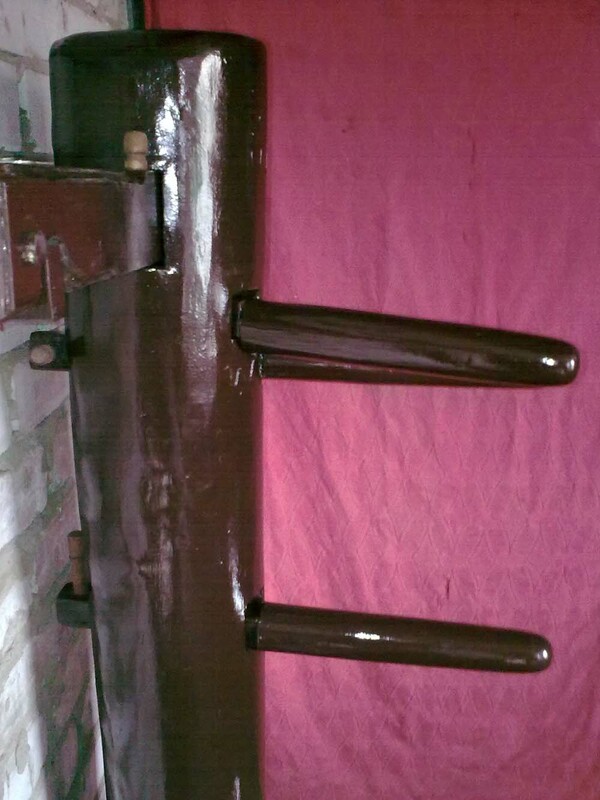 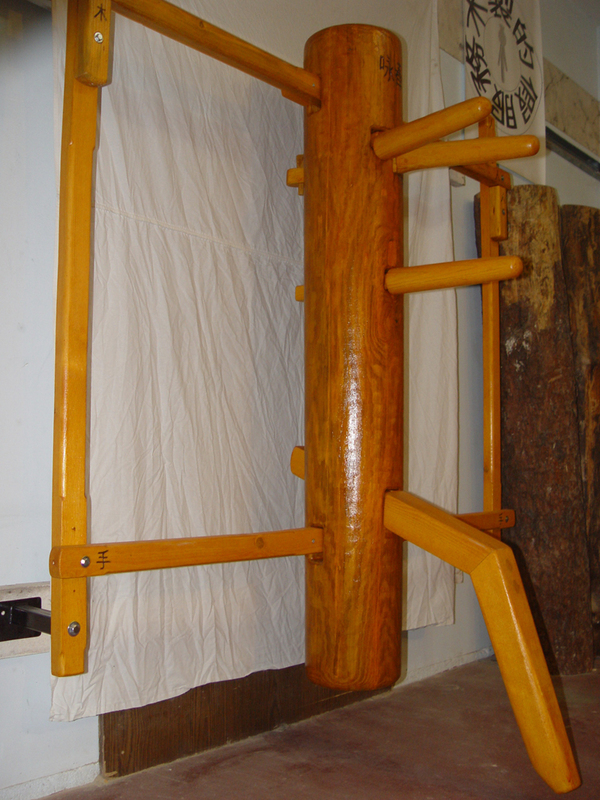 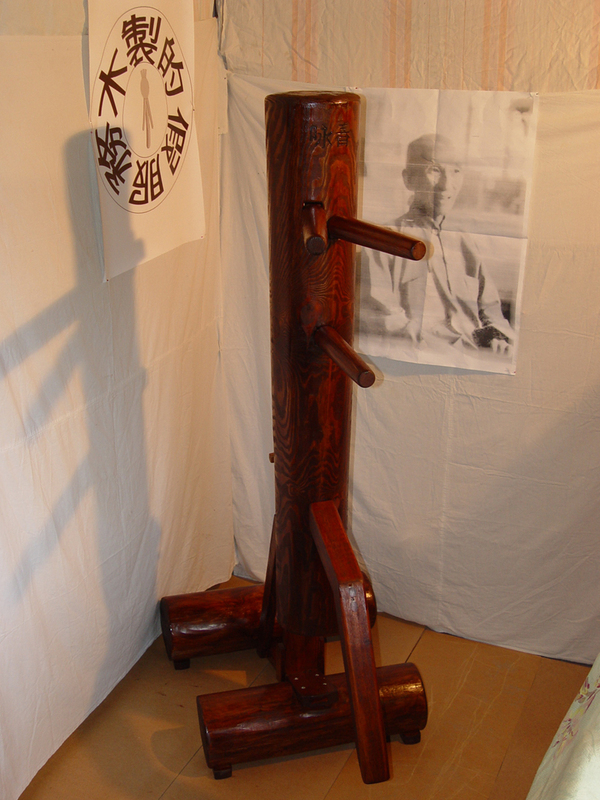 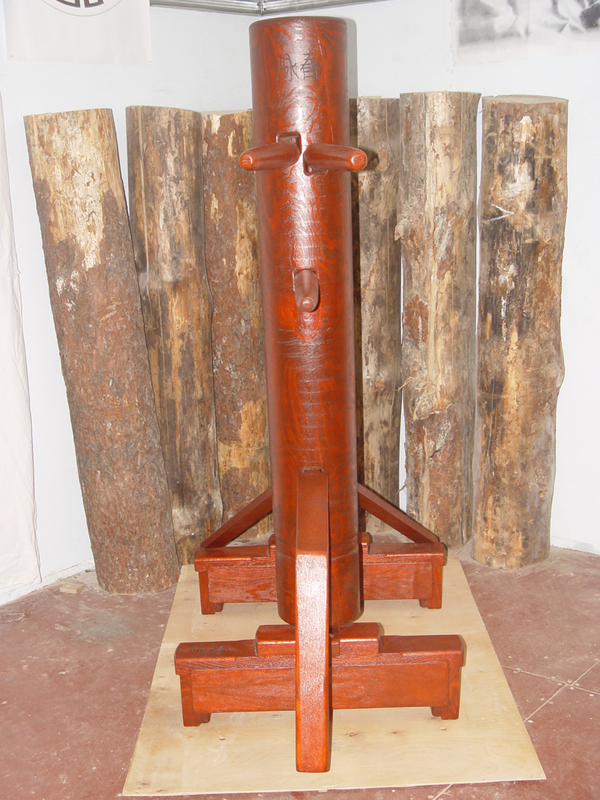 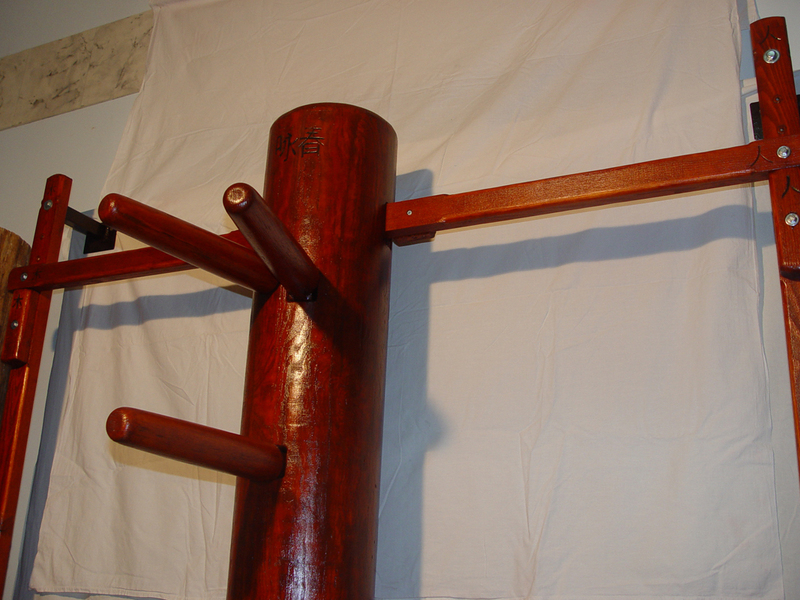 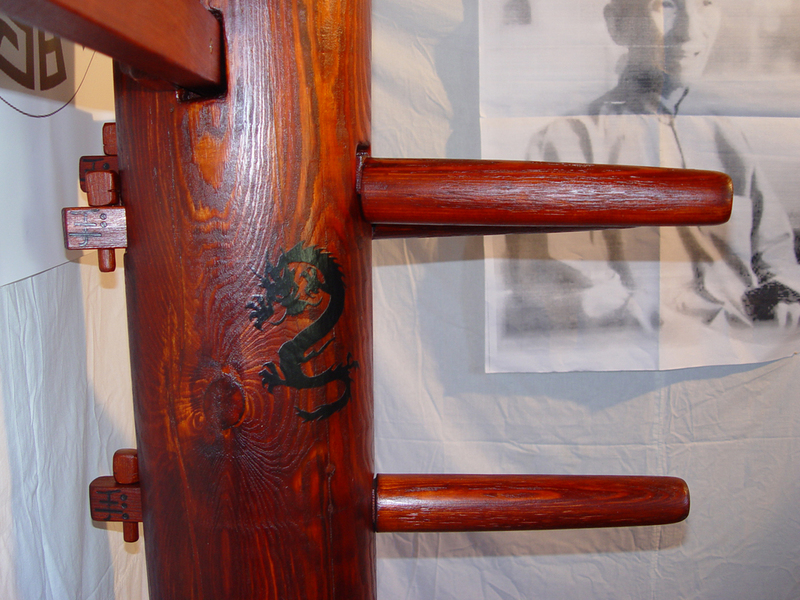 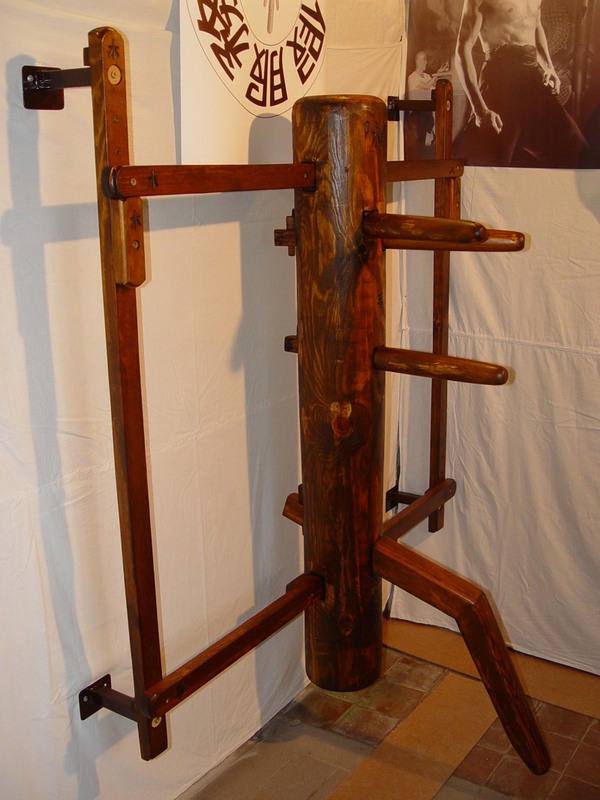 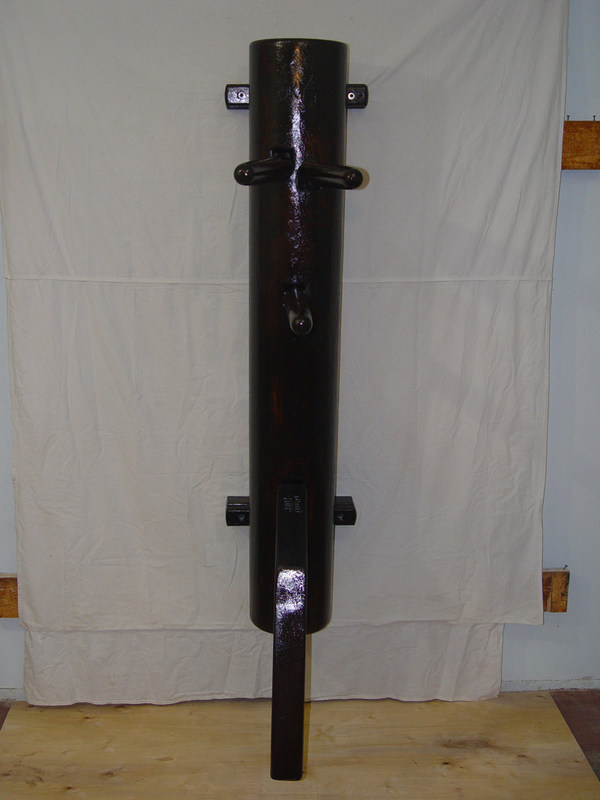 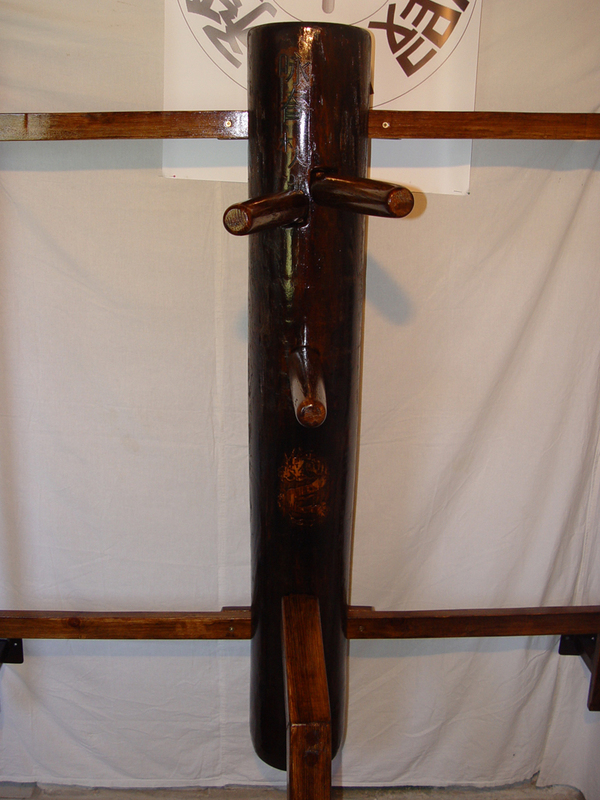 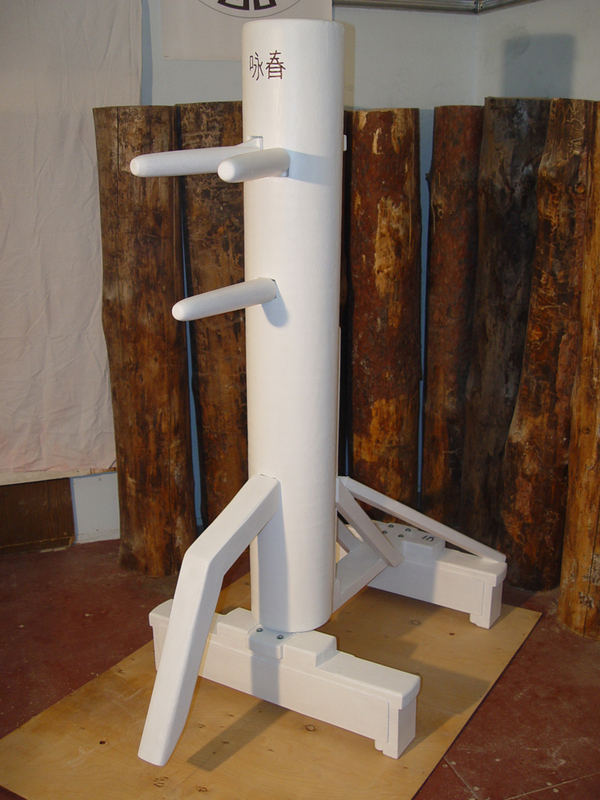 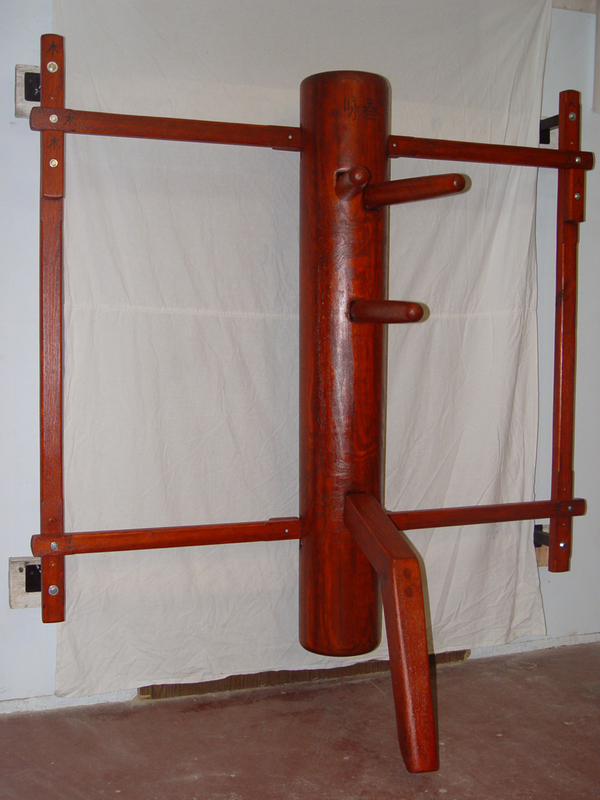 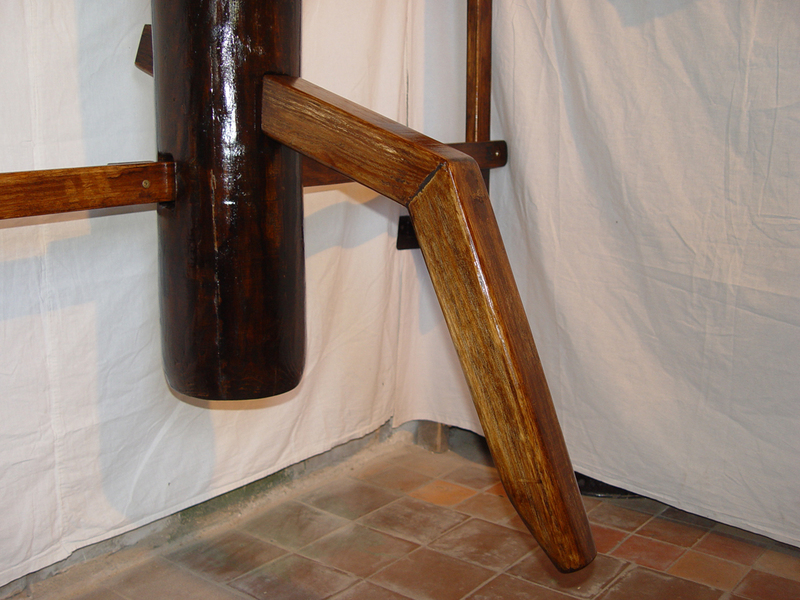 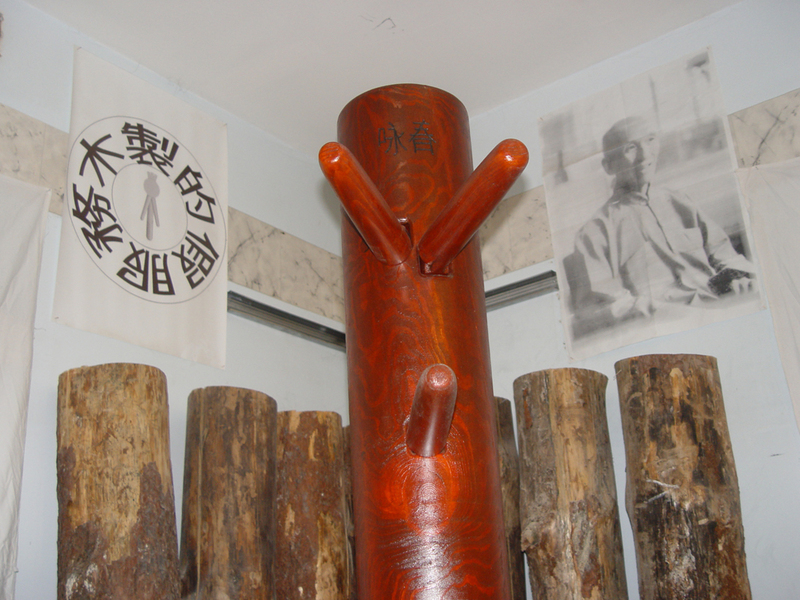 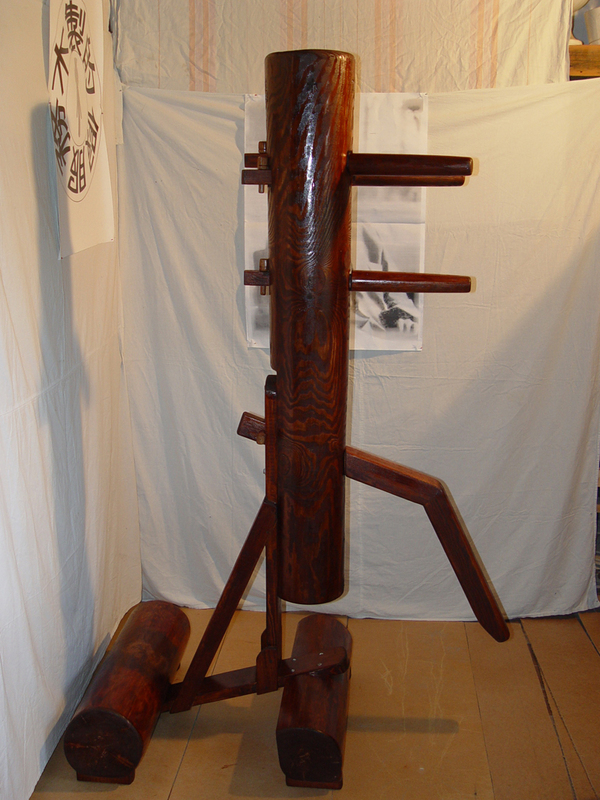 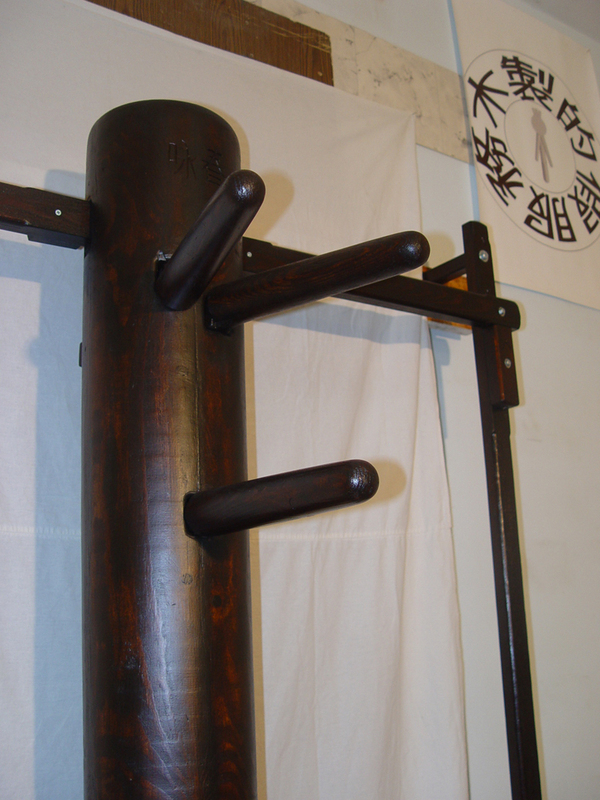 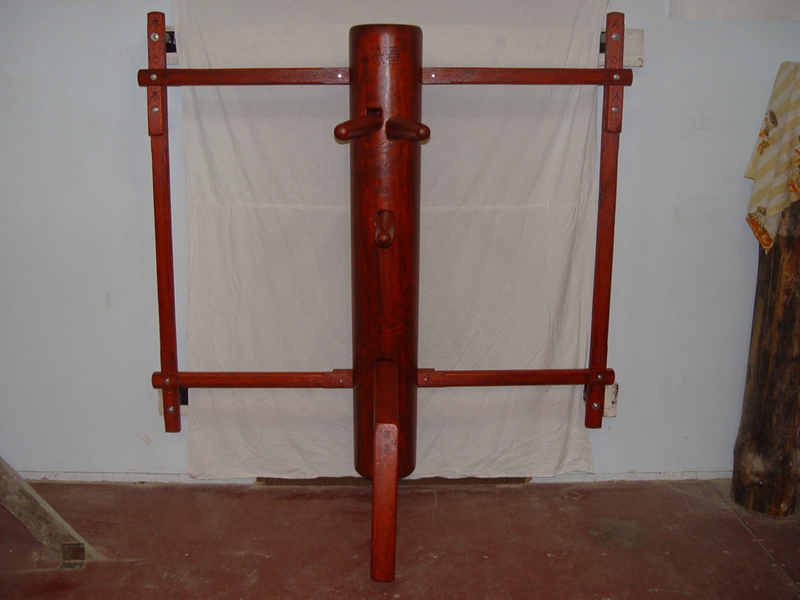 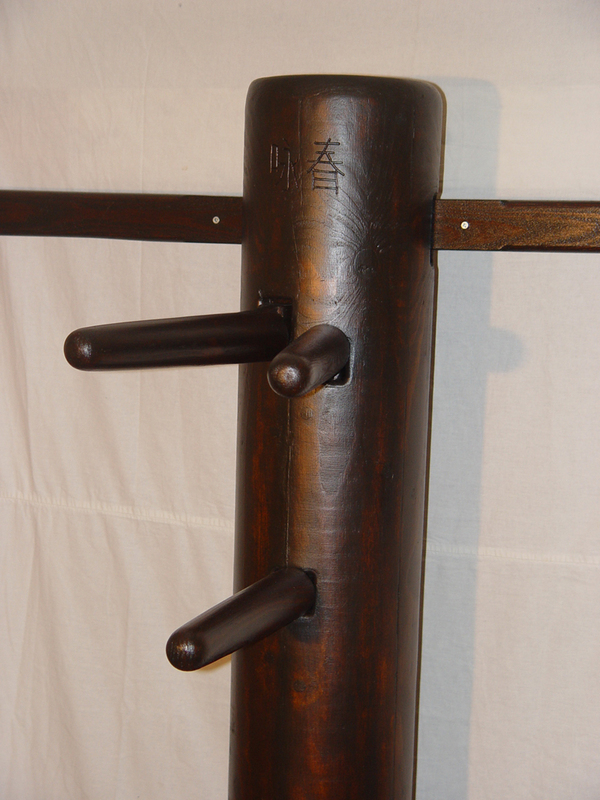 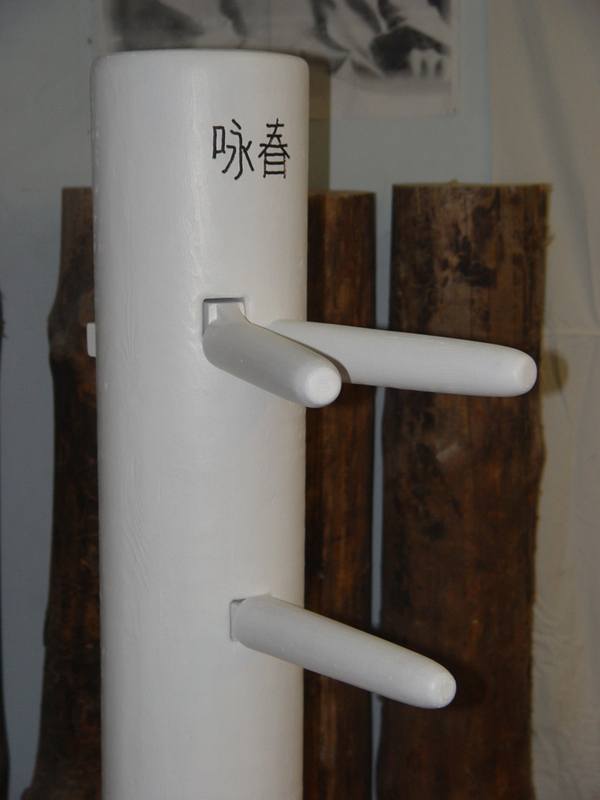 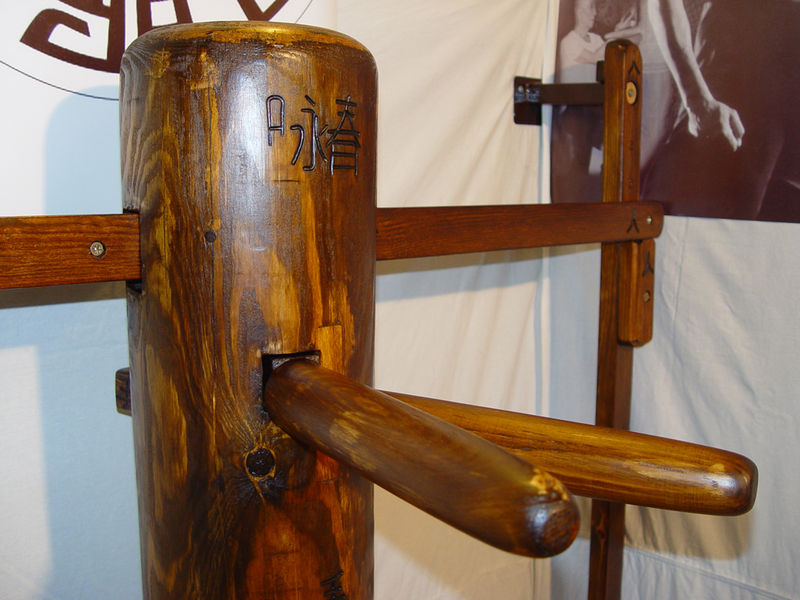 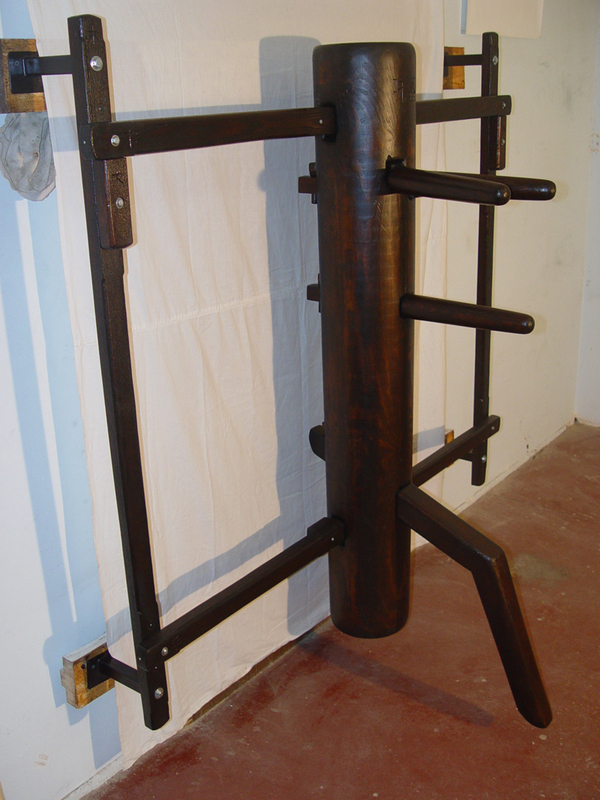 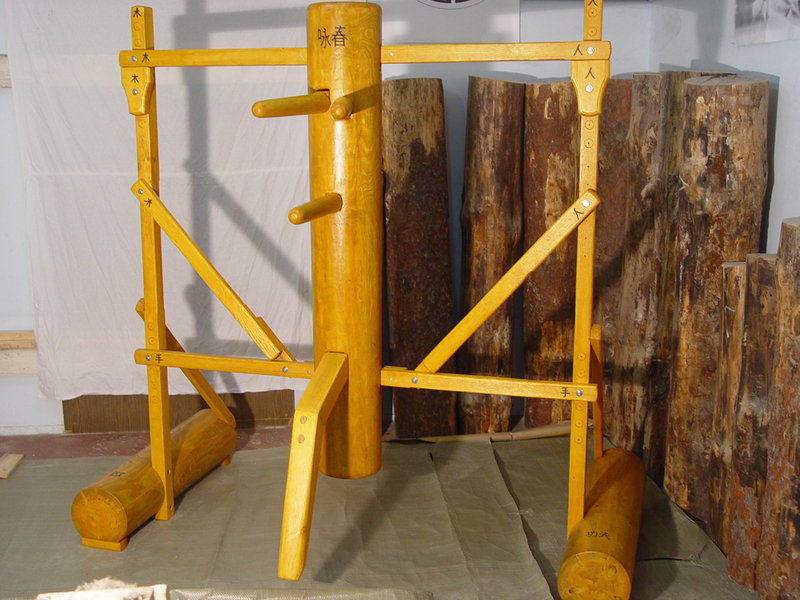 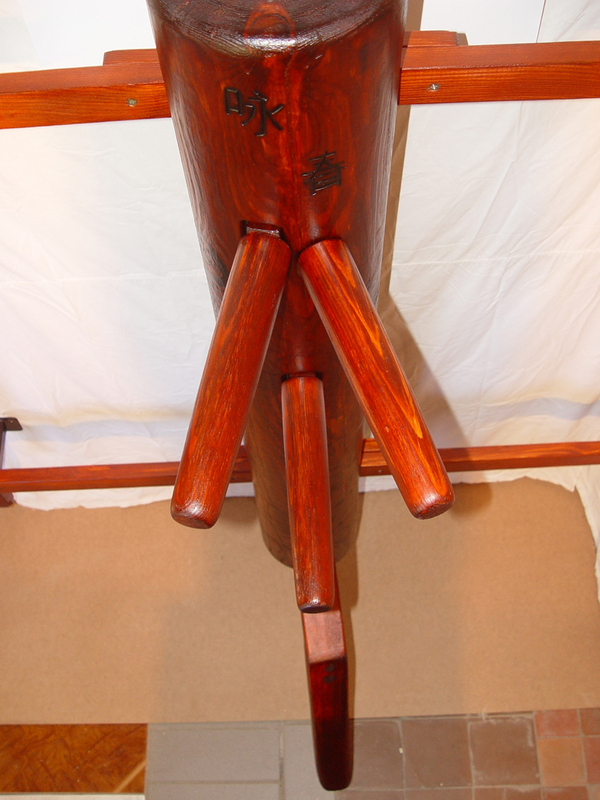 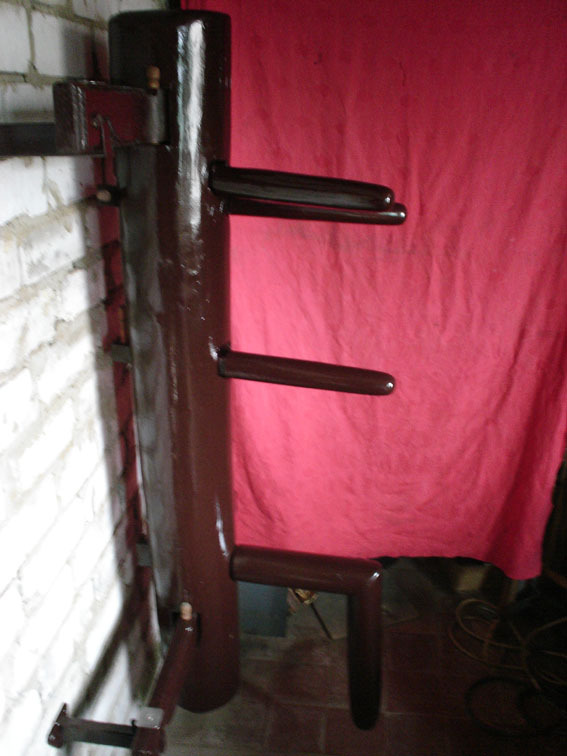 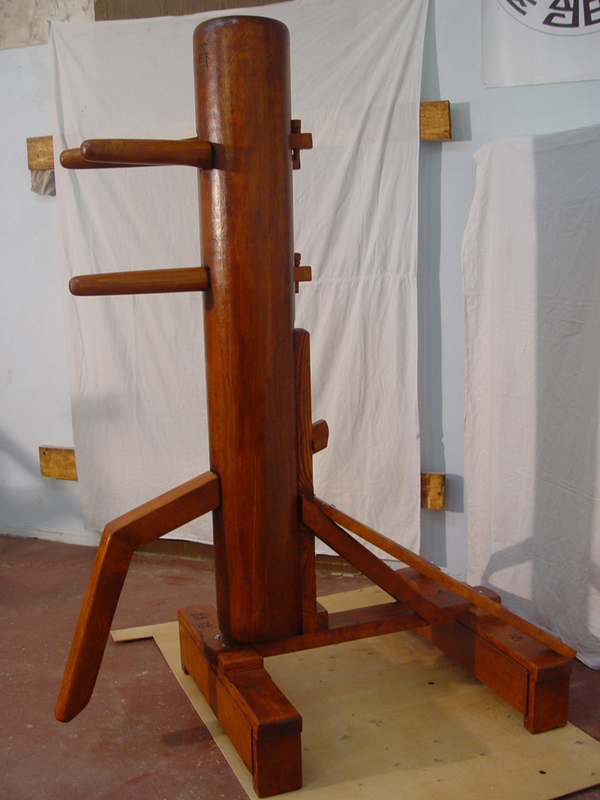 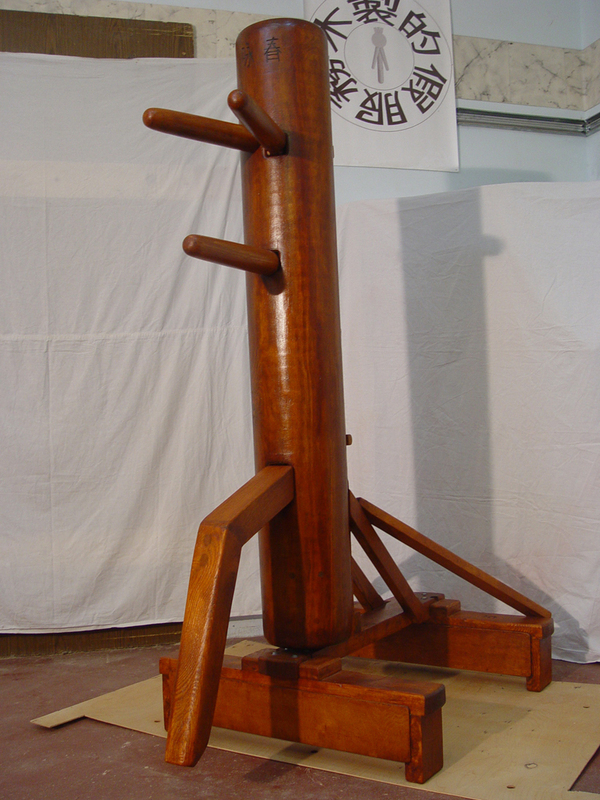 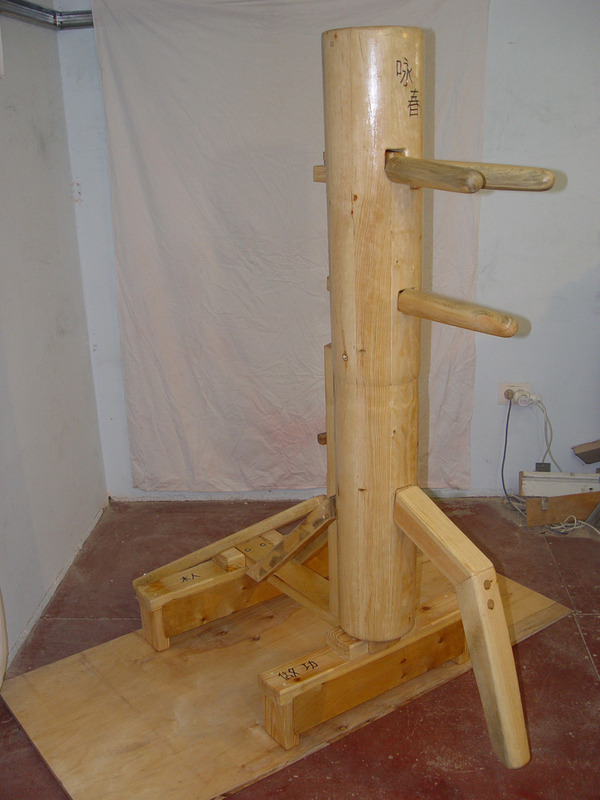 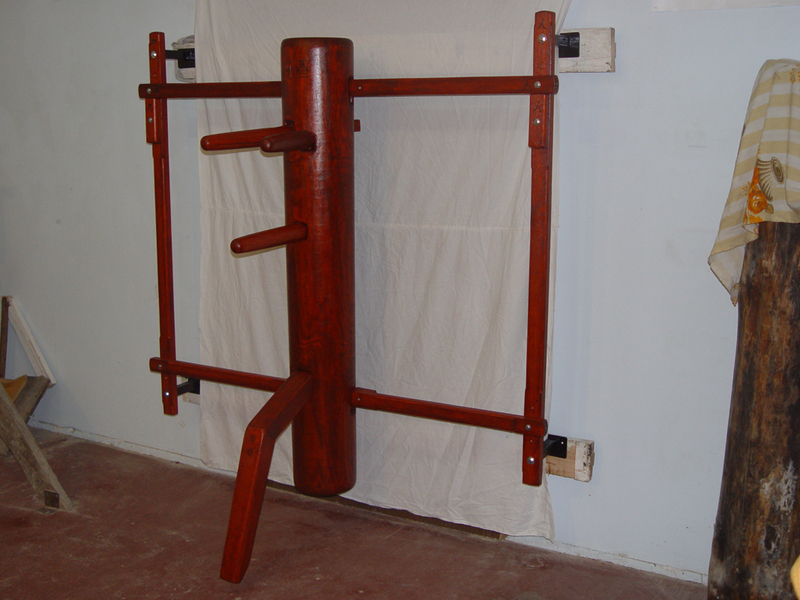 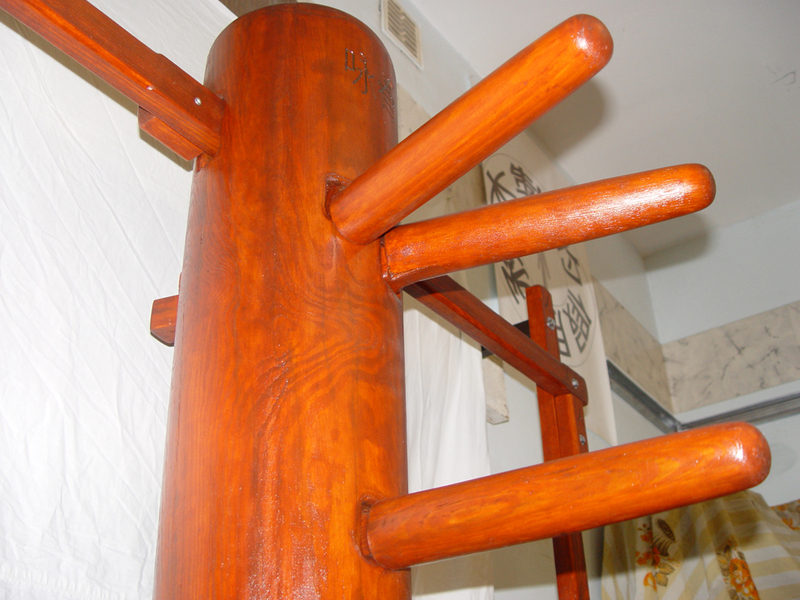 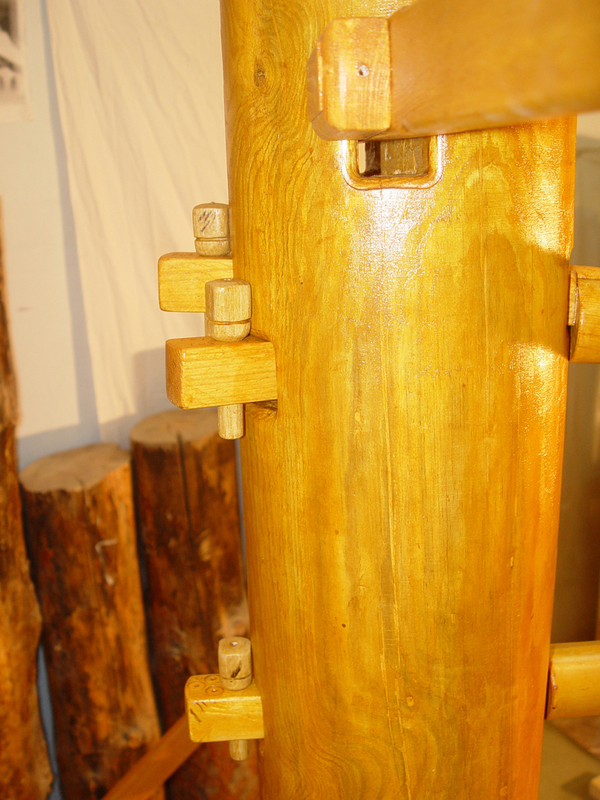 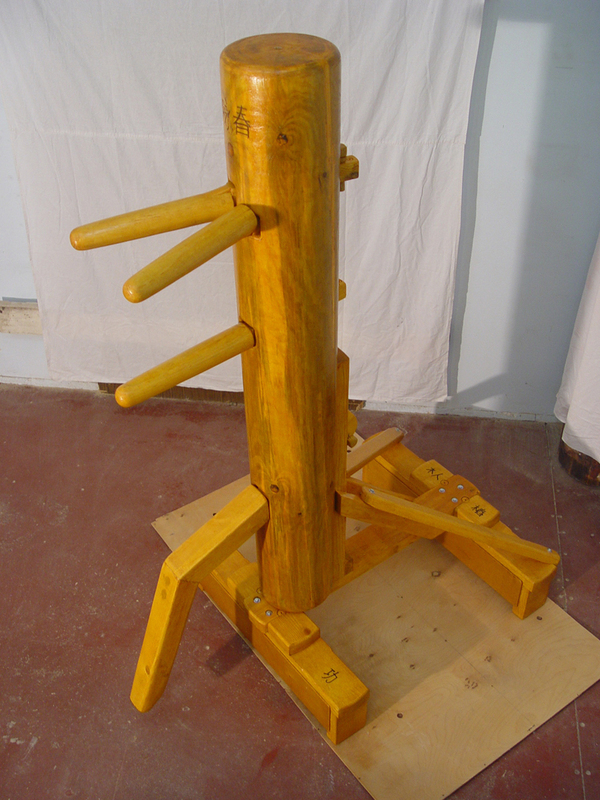 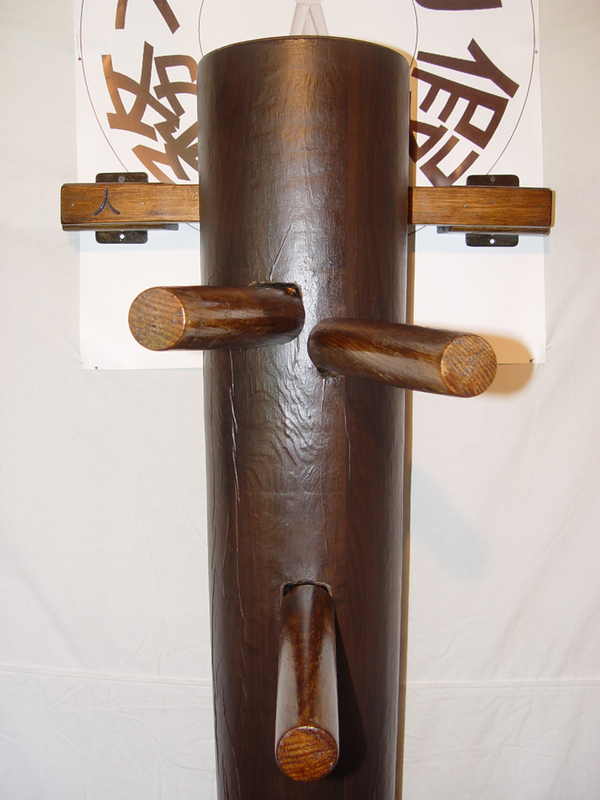 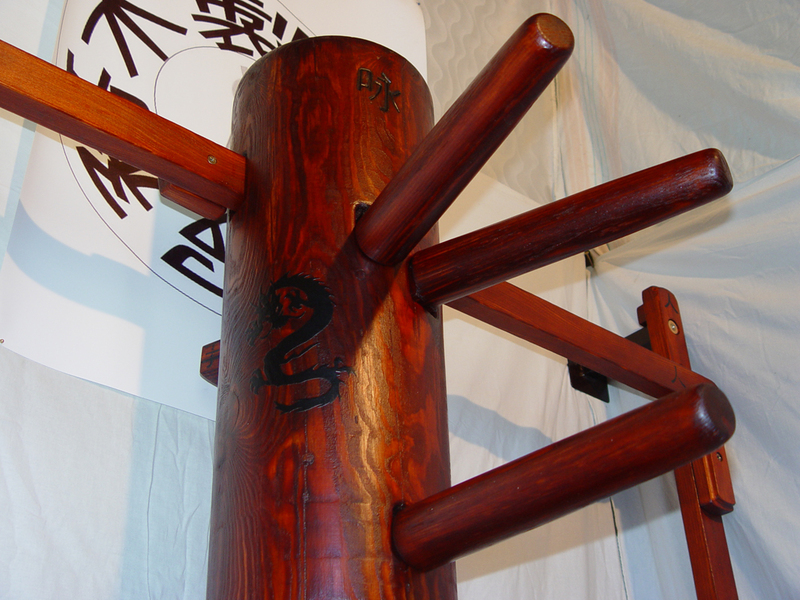 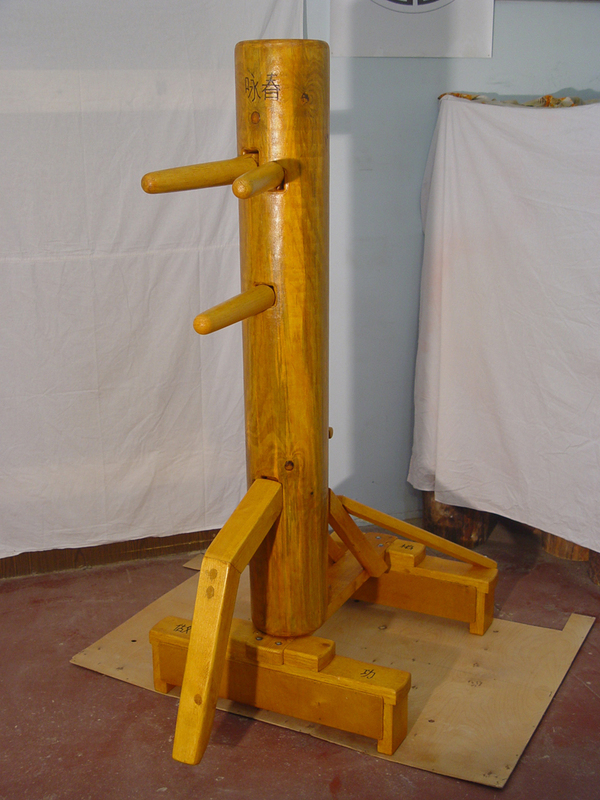 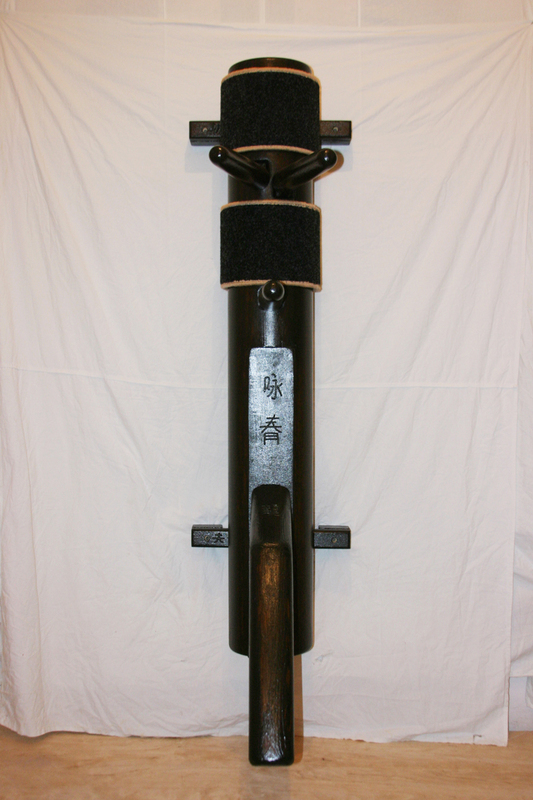 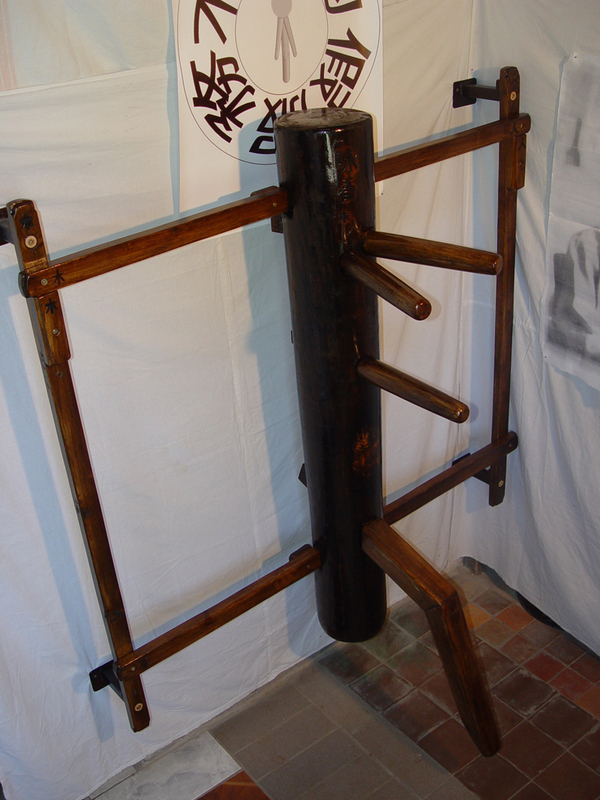 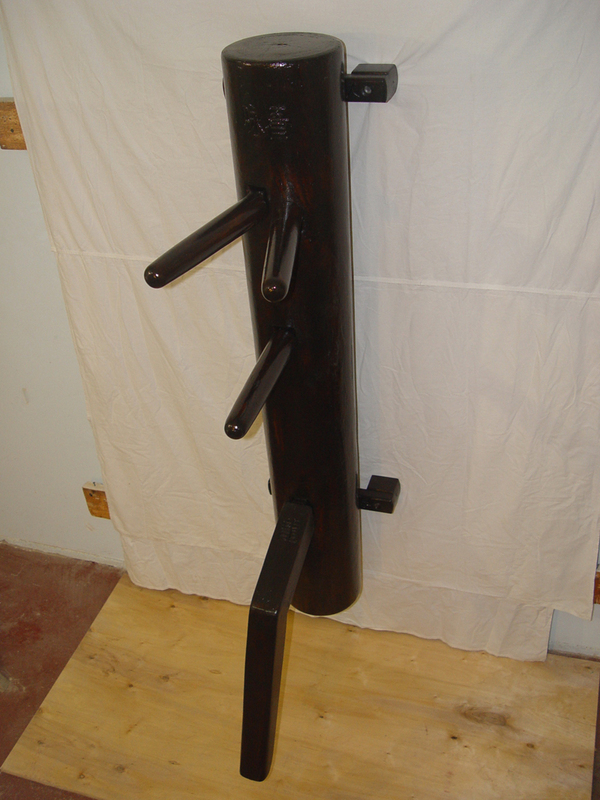 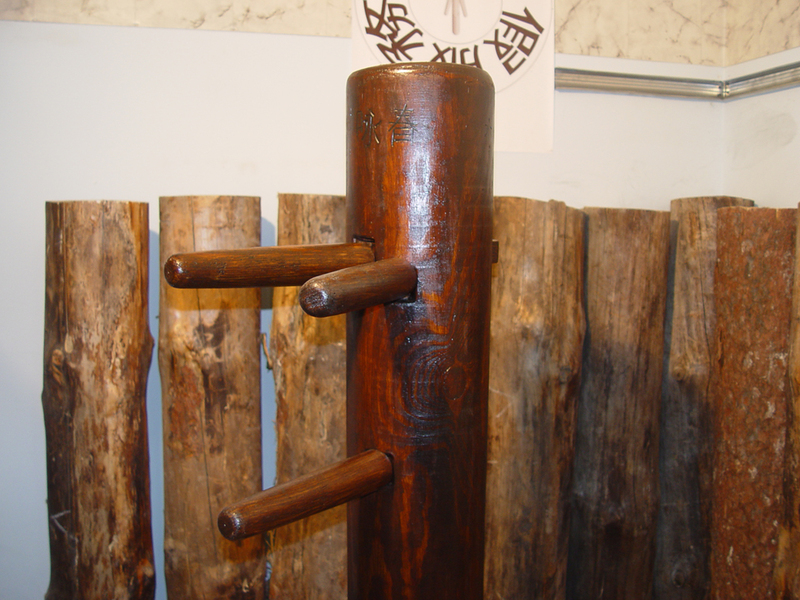 In 2009 was designed and built the first wooden dummy of Master Yip Man (classic version), who rightfully earned the trust. 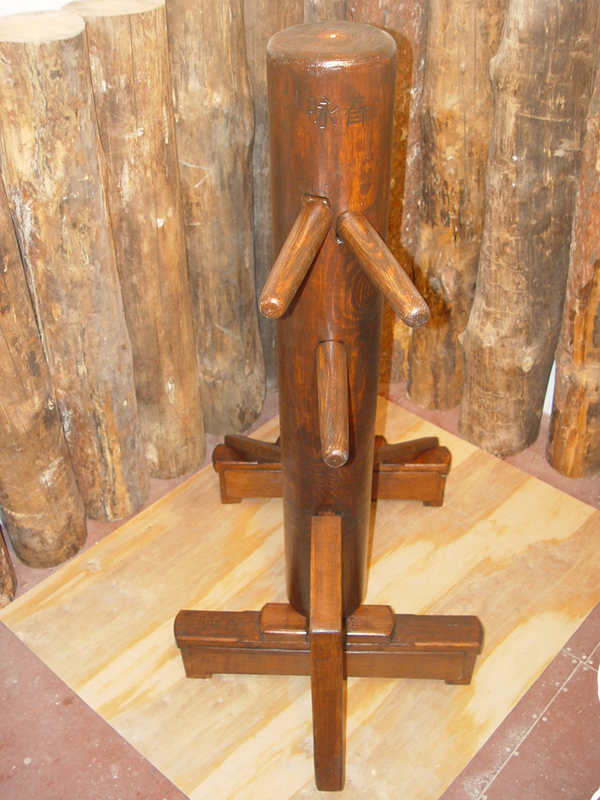 Later that same year, the first free standing wooden dummy was developed. 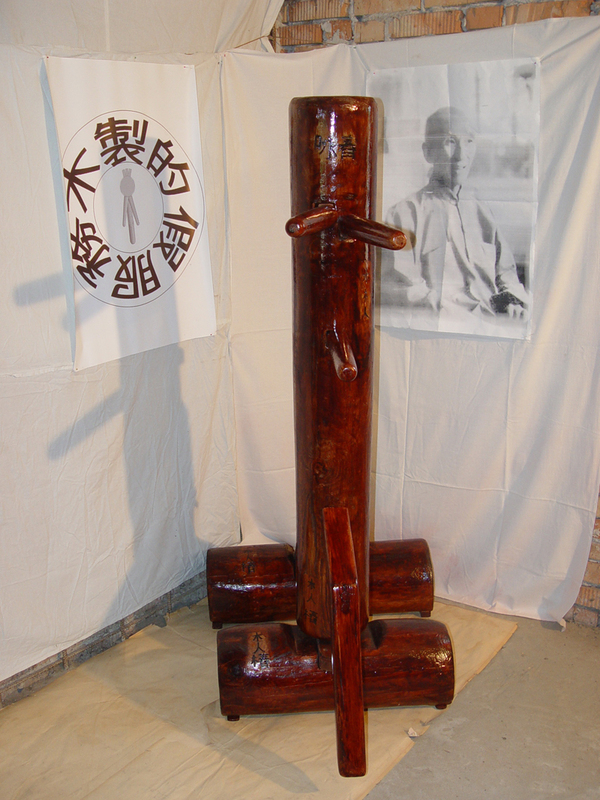 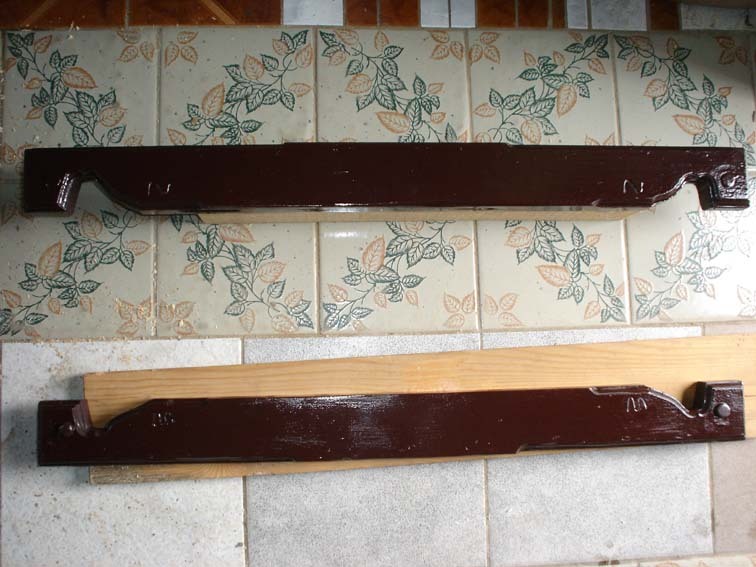 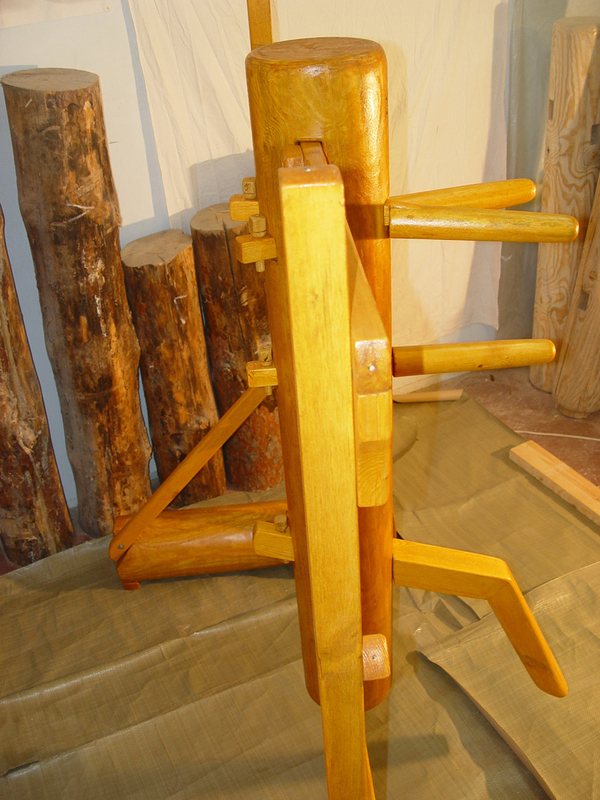 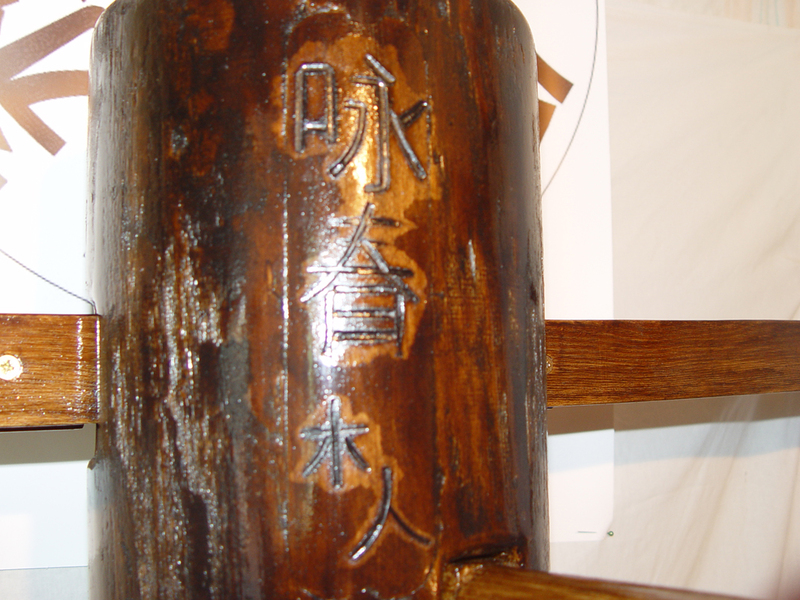 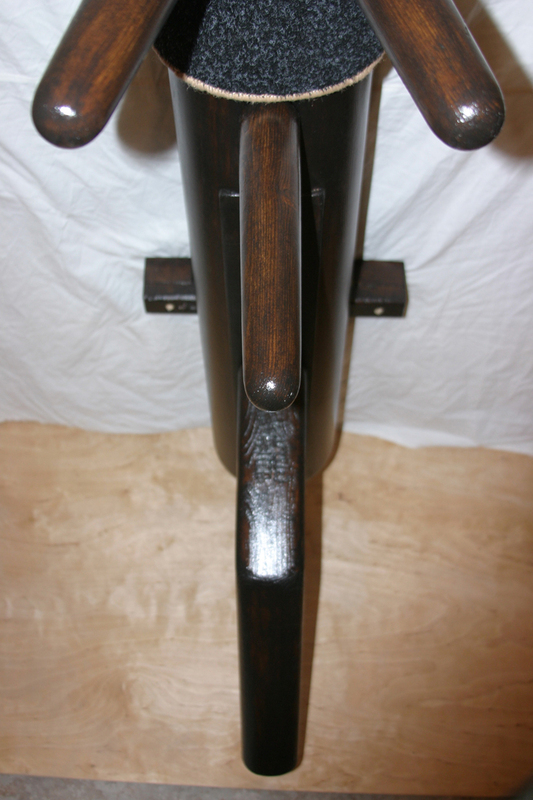 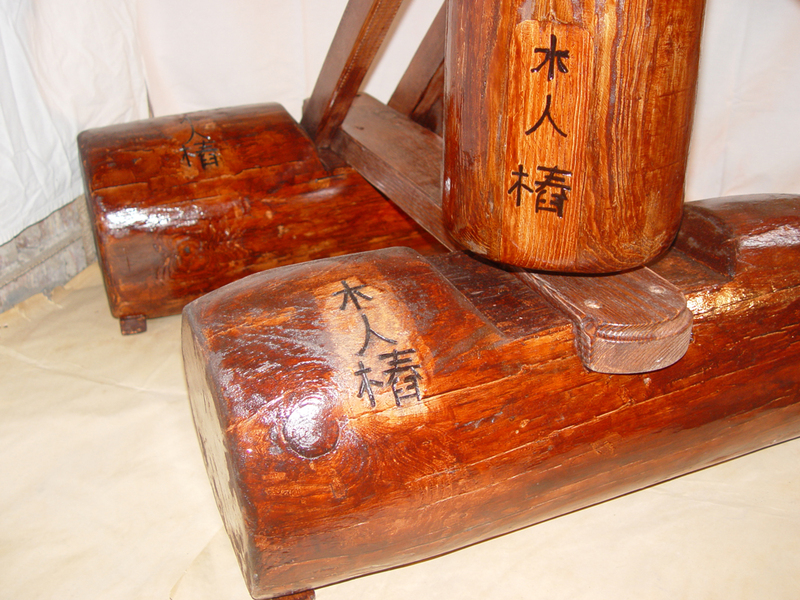 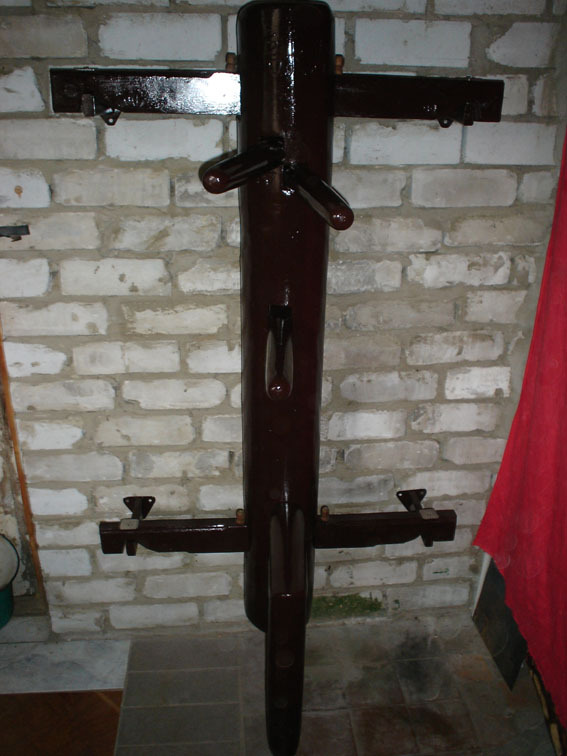 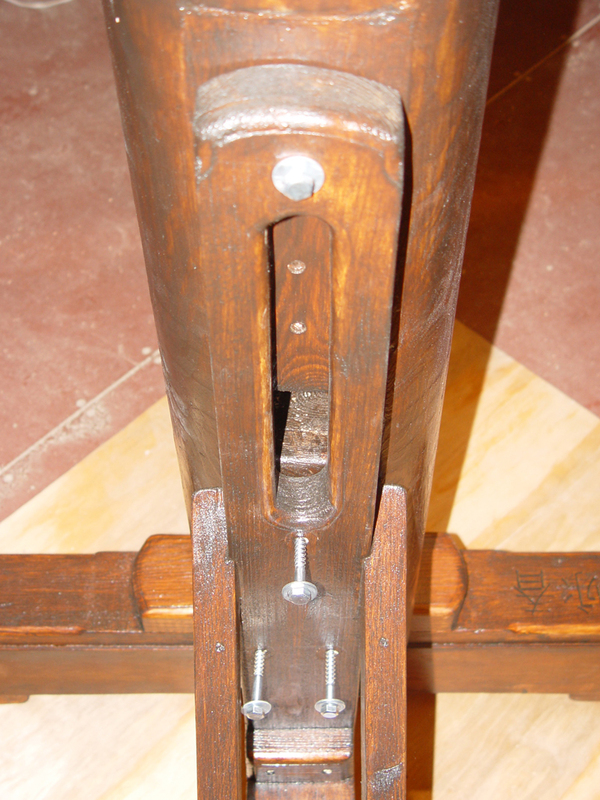 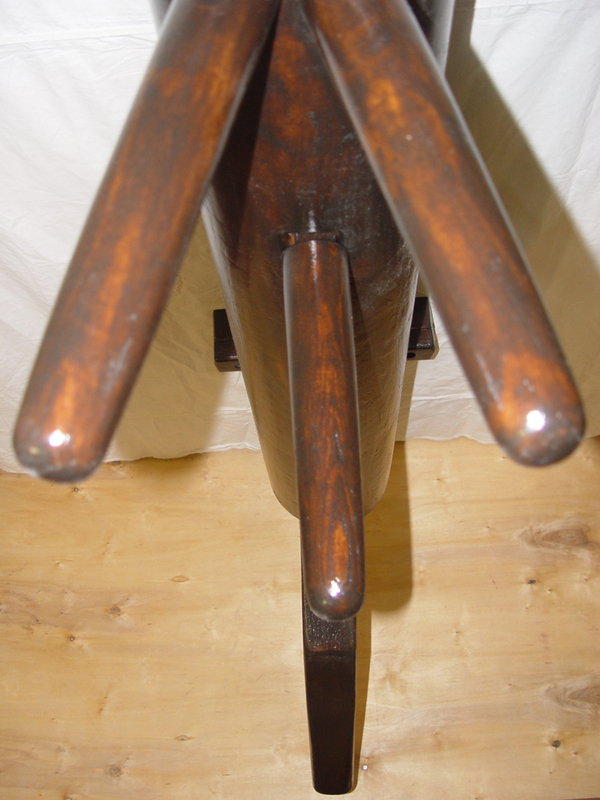 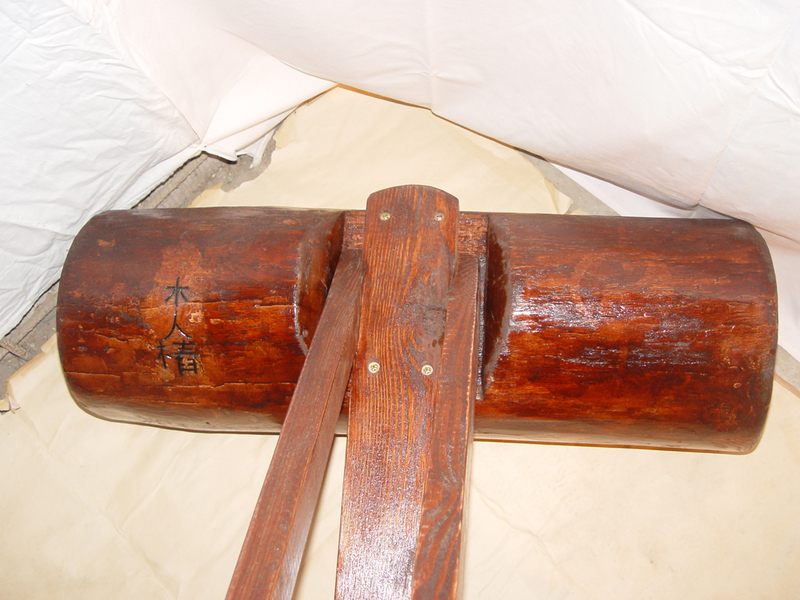 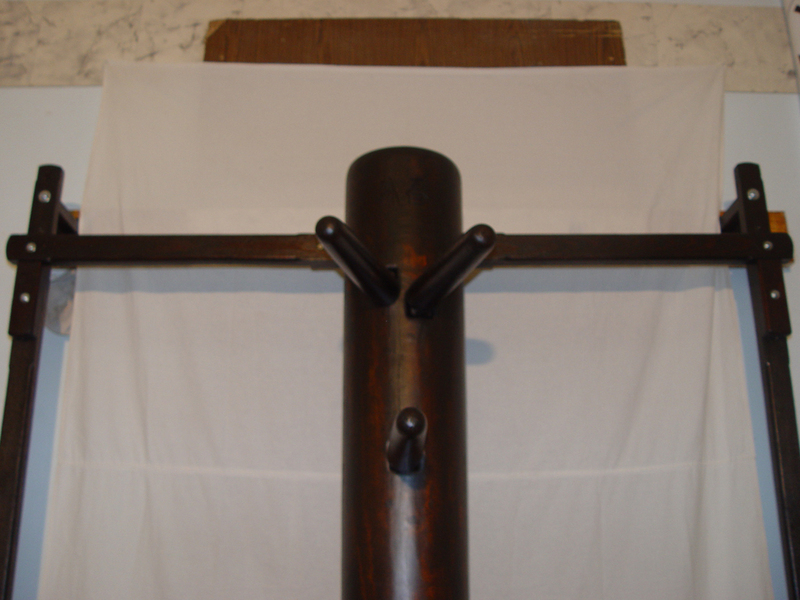 Wooden Dummy Service was created as a manufacturer. 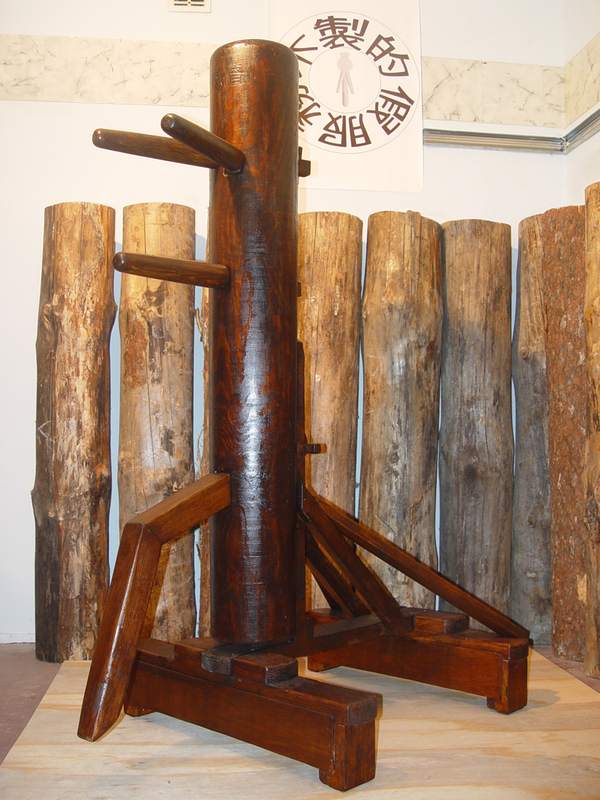 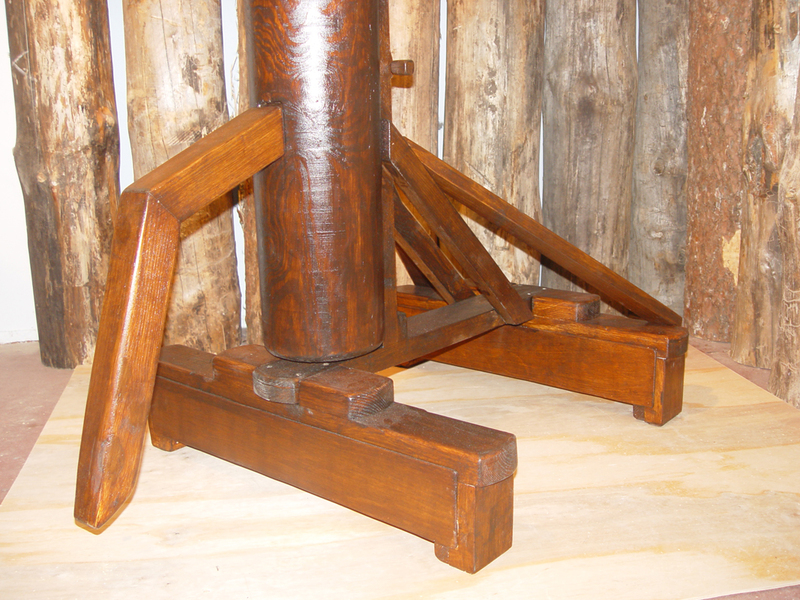 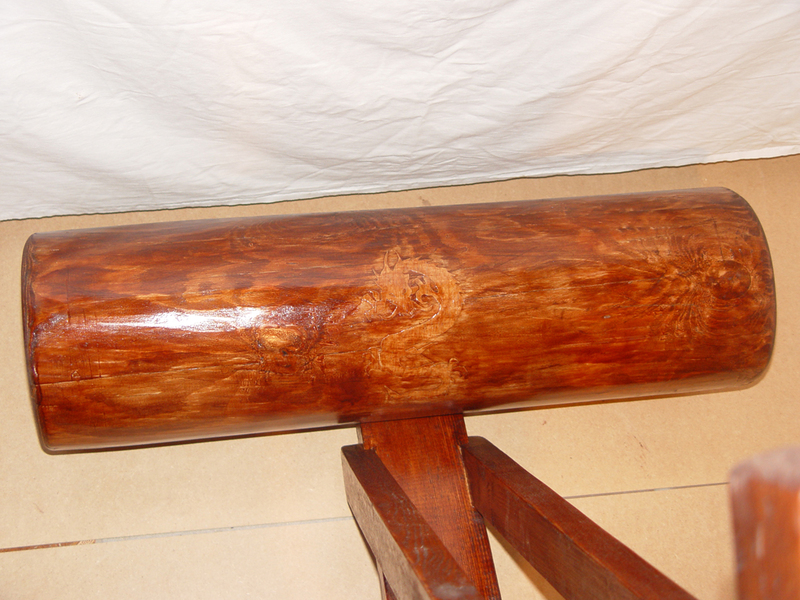 The period of manufacture of solid logs, the time of production of one unit was 10 days. 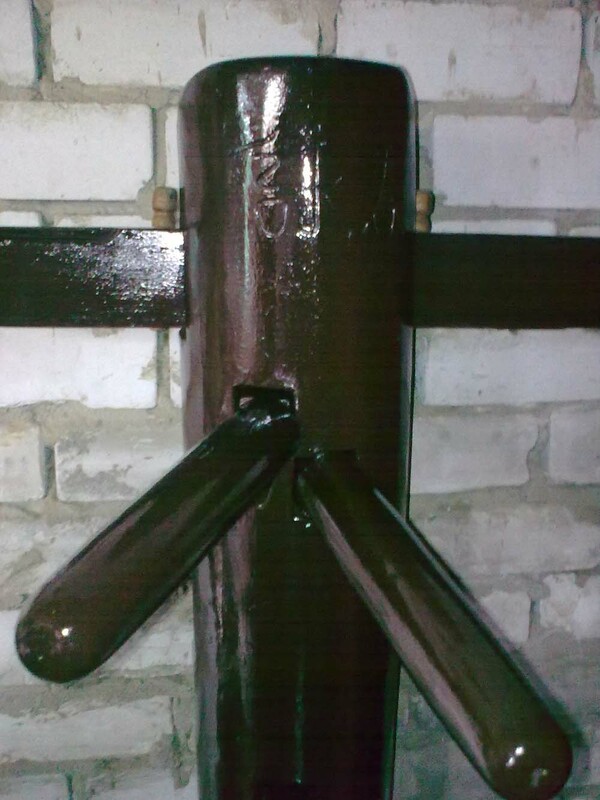 In December 2010, WDS faced uncorrectable factor of production - the hogging of the log in service during alteration of the temperature, leading to a defect in the design. 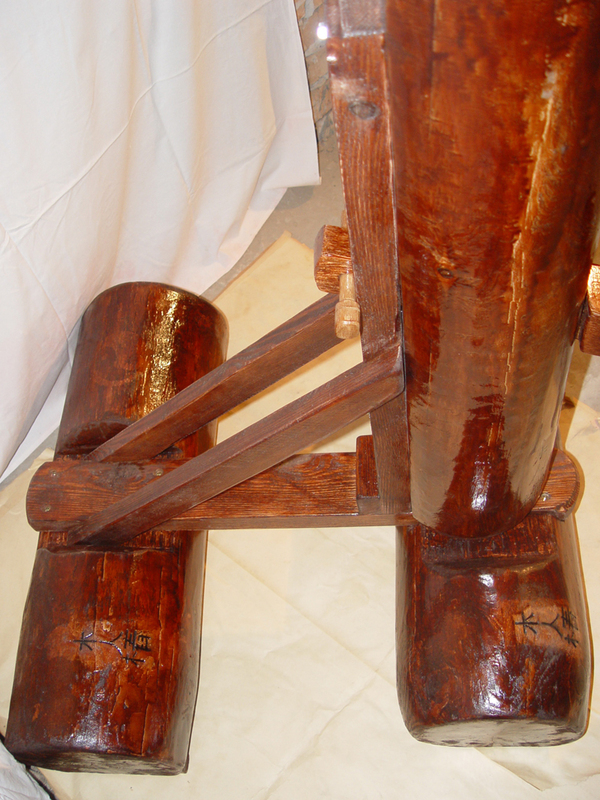 Hogging - the process of cracking of wood within a time duration. 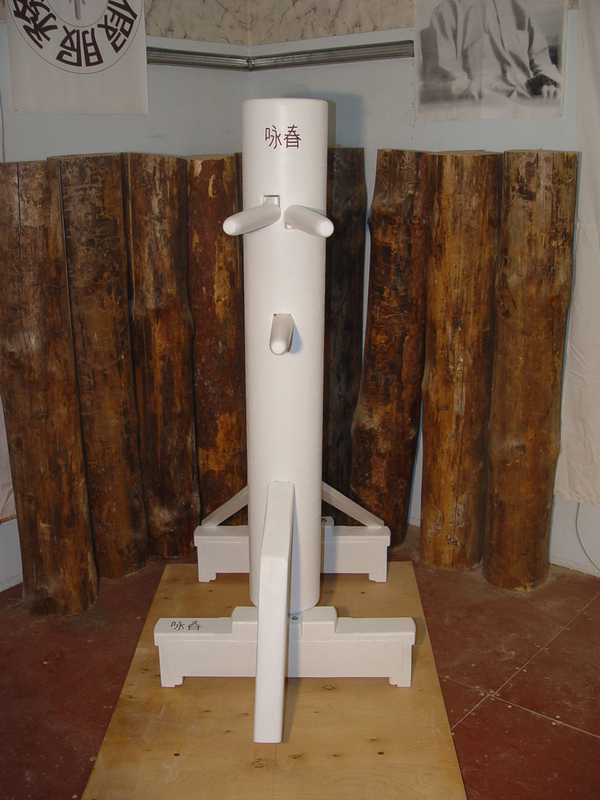 In the period from 2008 to 2010, 10 models of various types and needs were designed and implemented. 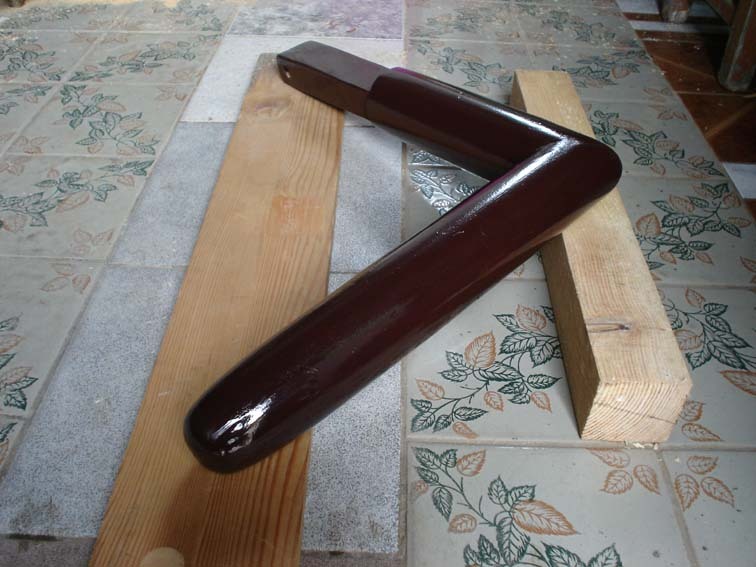 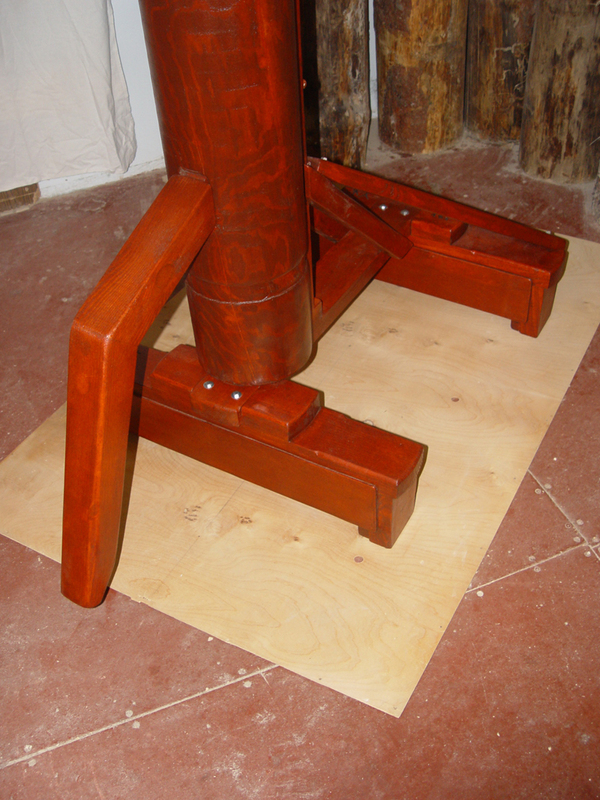 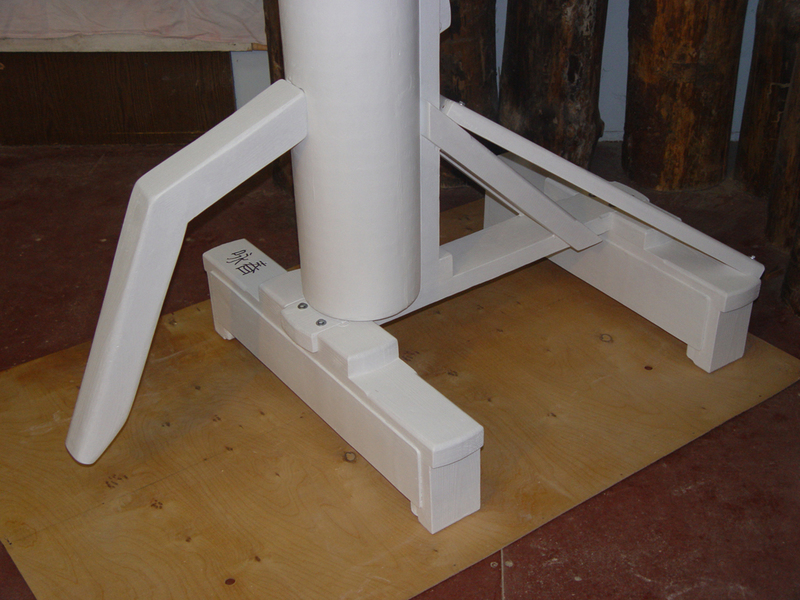 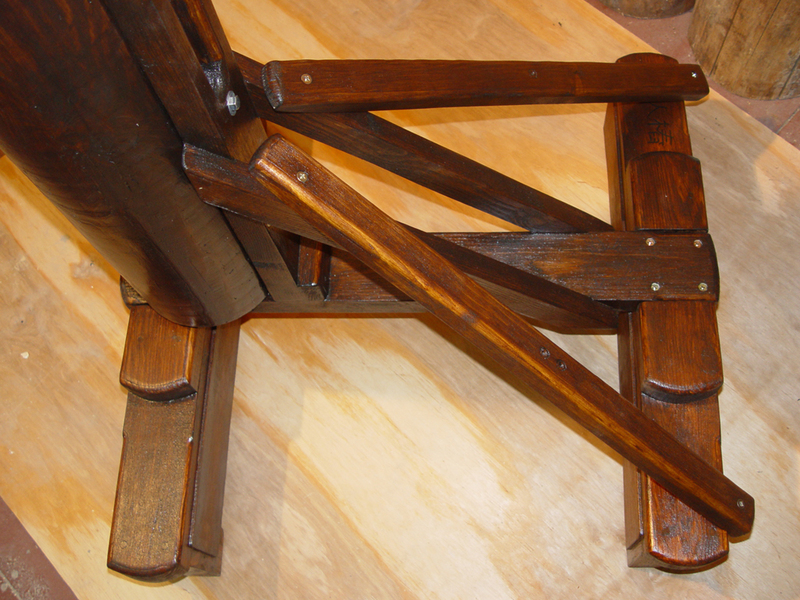 In the beginning of 2011, this issue has been resolved using "the arch technology of assembly", hogging is absent, defects are not observed, the log became lighter and more practical, the overall weight of the structure has been reduced. 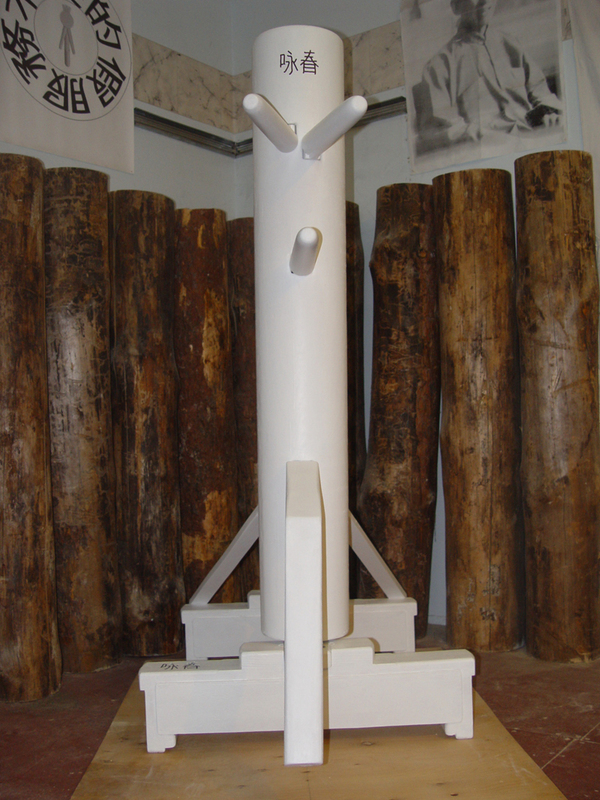 Production of whole logs was left in the past, and arch technology is used to this day. 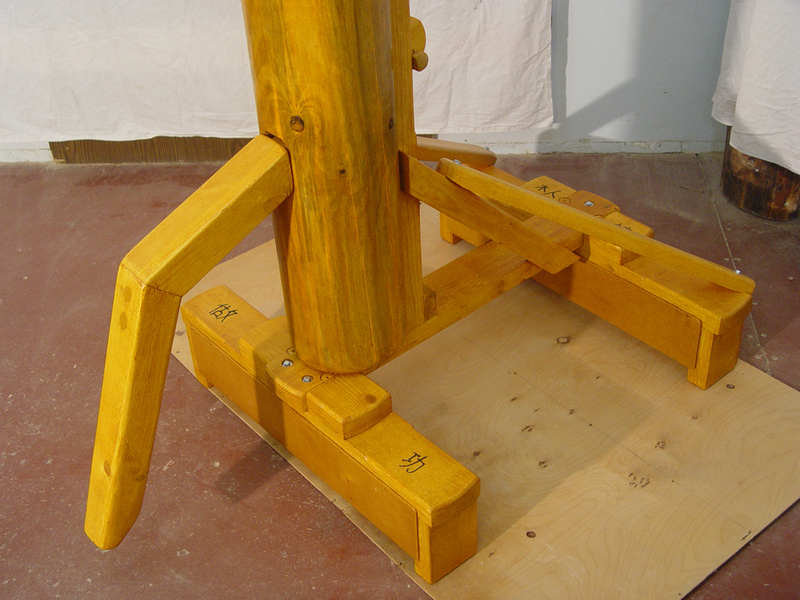 Production of one unit was reduced to 5-10 days. 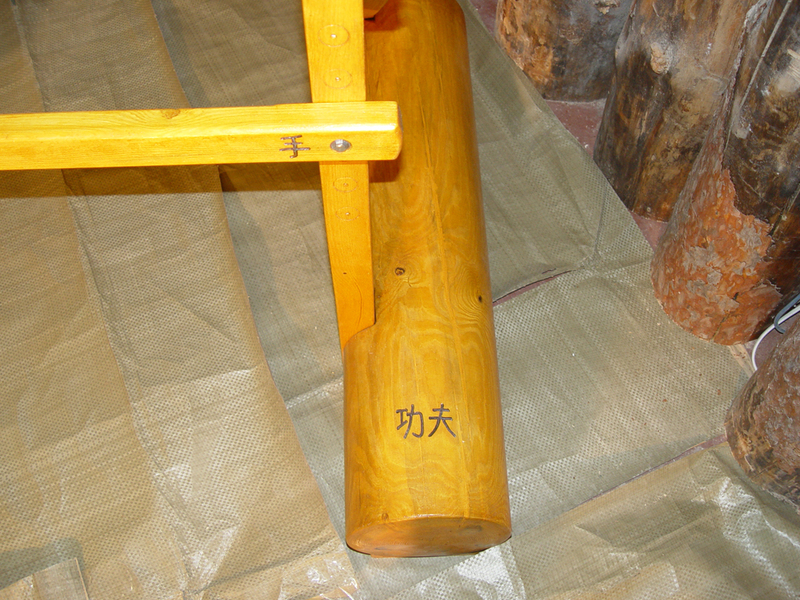 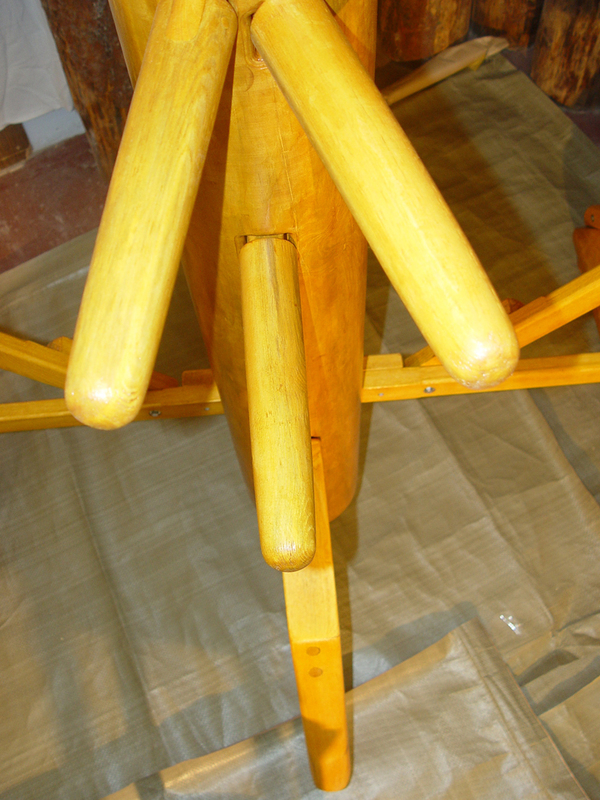 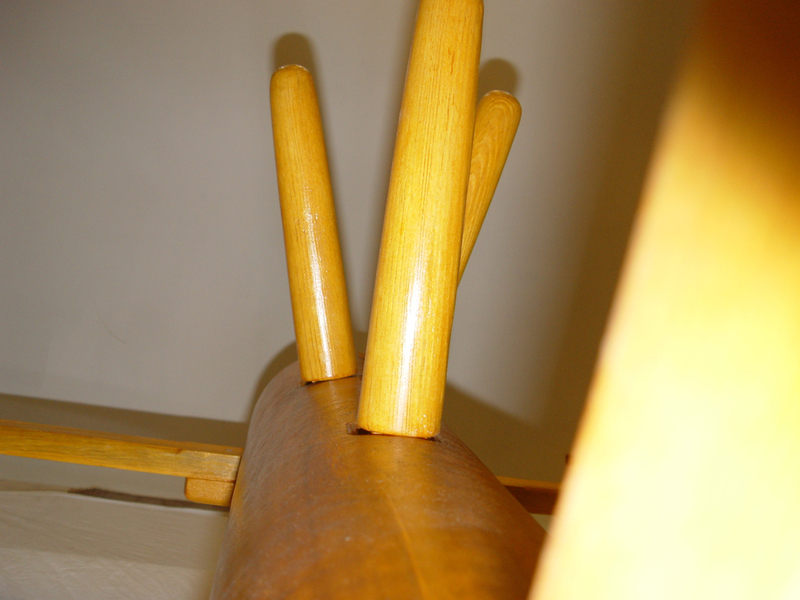 Wooden Dummy Service does not stop and continues to refine the model. 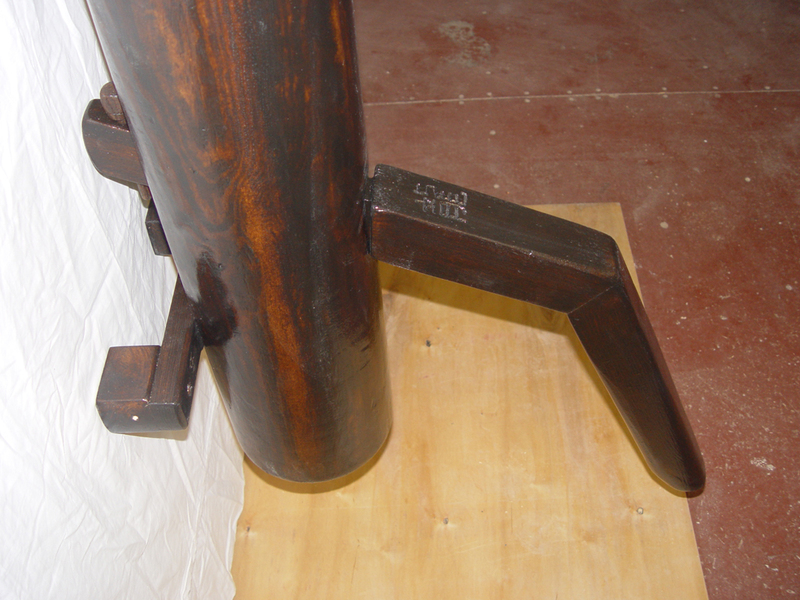 Each model upgrade is carefully planned to achieve new quality and comfort. 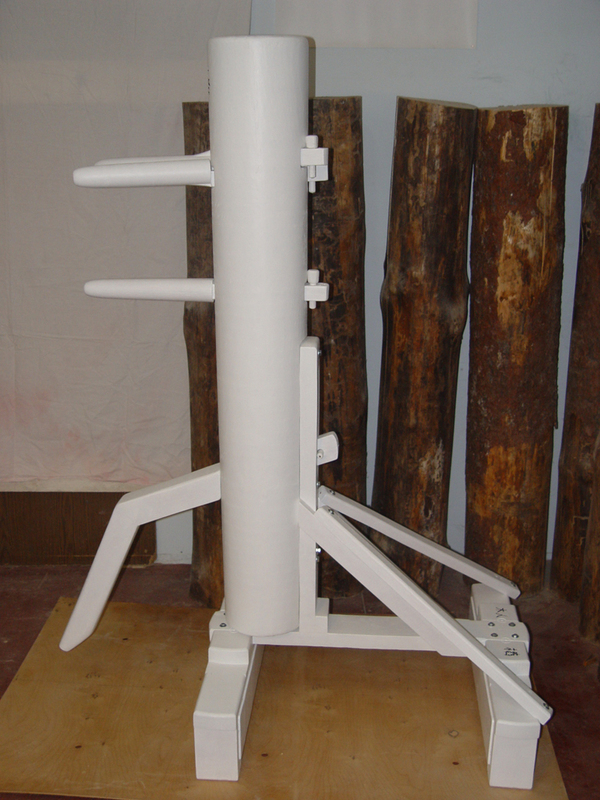 WDS is works every day, regardless of the number of orders. 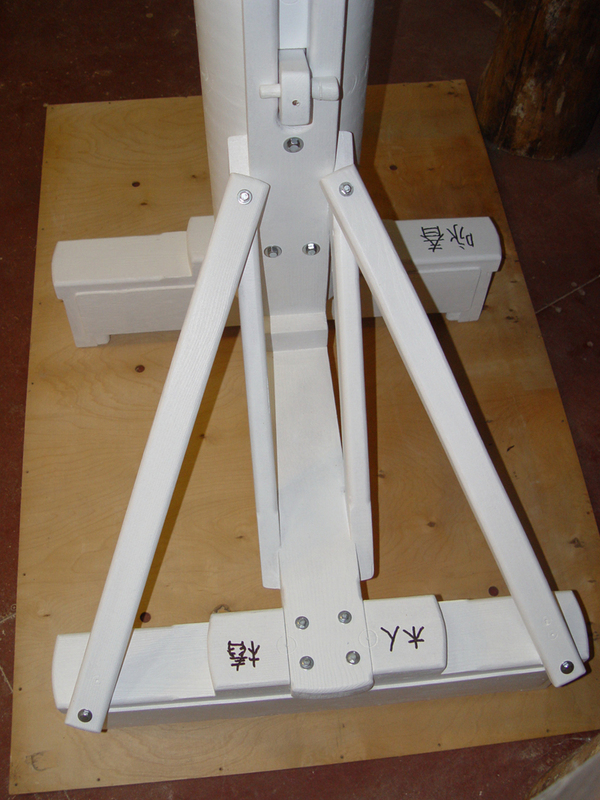 New models are periodically created and launched into production. 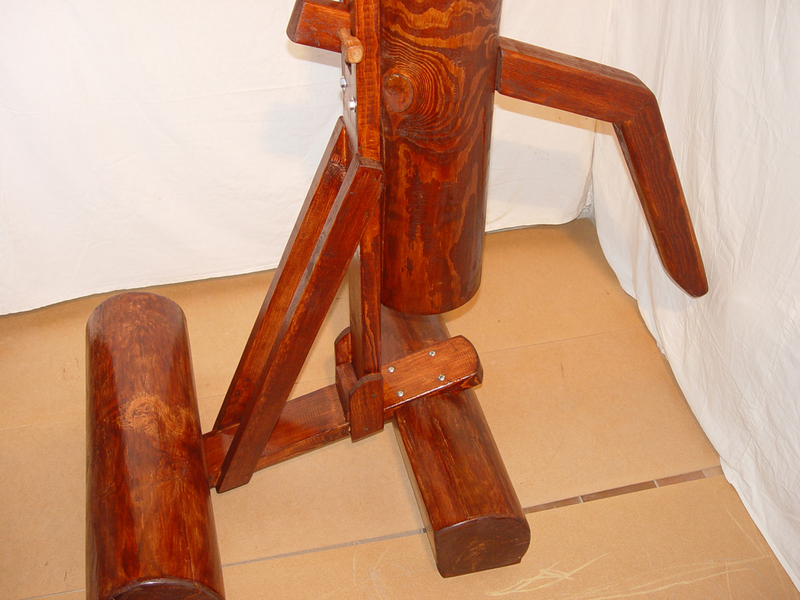 Previous versions of wooden dummies made of solid wood are discontinued. 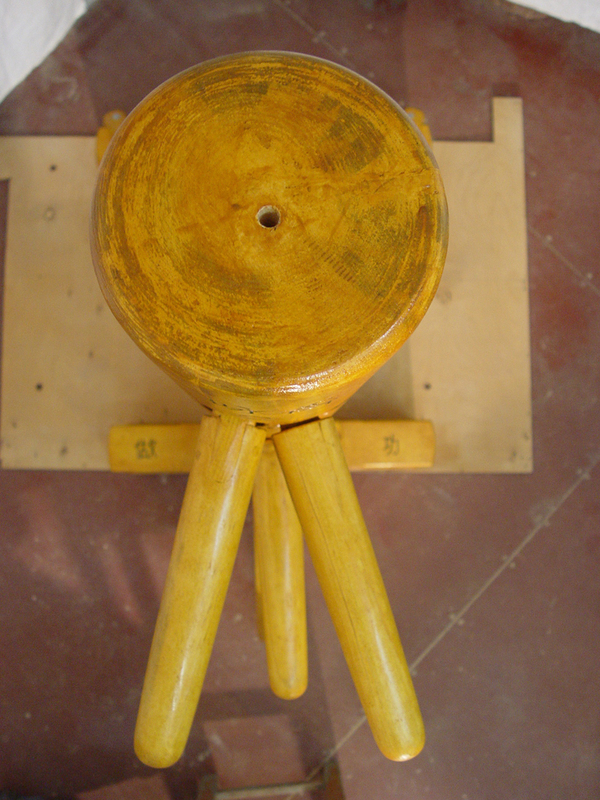 Reason: defects and hogging of central rods during operation. 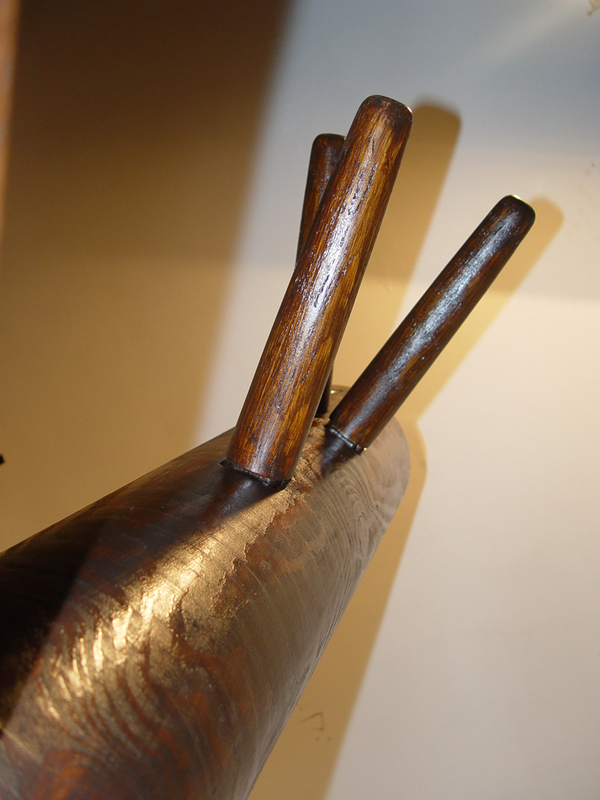 Hogging - cracking of wood during temperature changes.